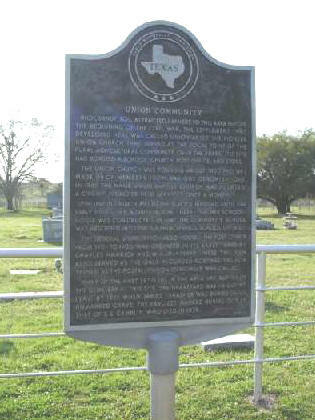 Located about 6 miles south east of Sulphur Springs off State Highway 154 then left or east on County Road 1444 six tenths of a mile to the top of the hill. 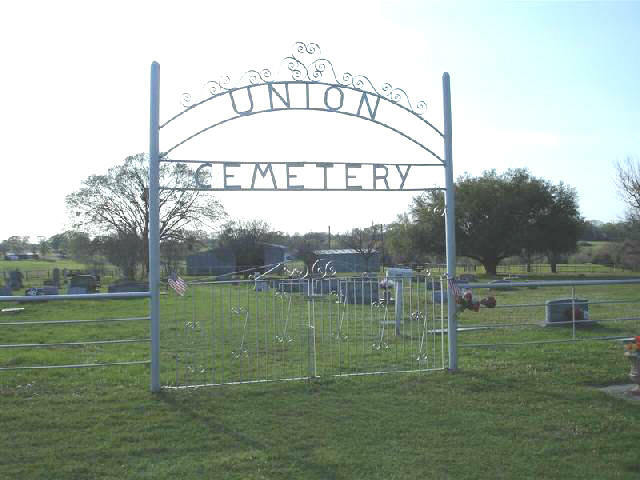 The 2 1/2 acre cemetery is on the right and the Union Baptist Church and parsonage are to the left. 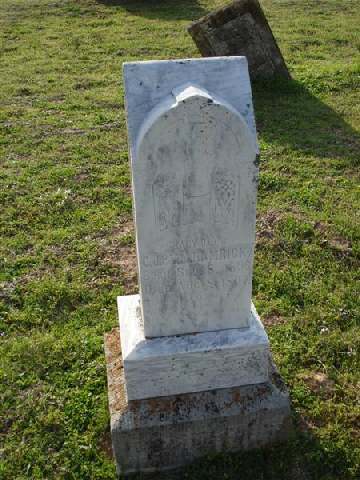 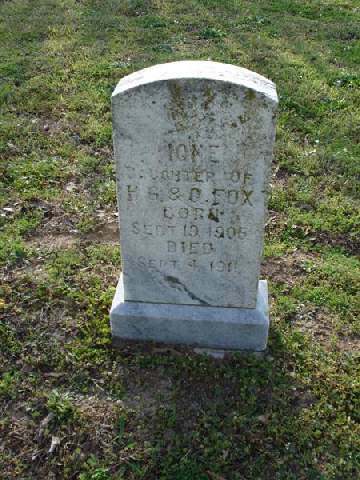 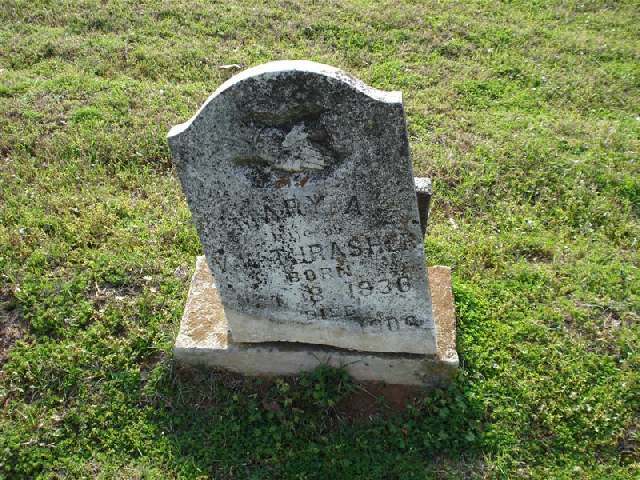 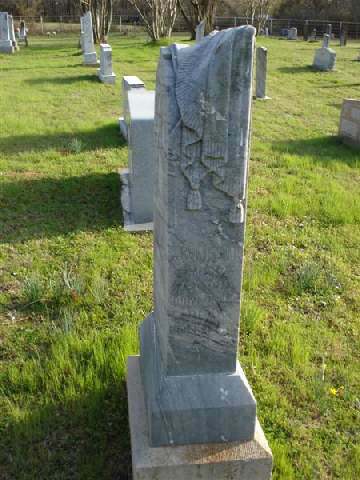 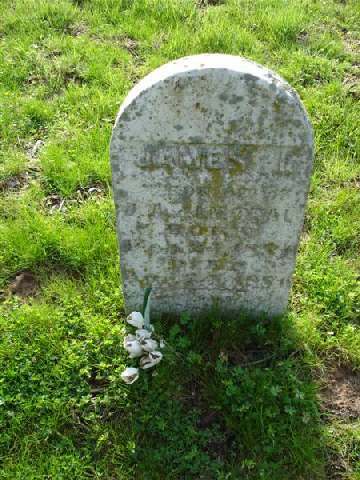 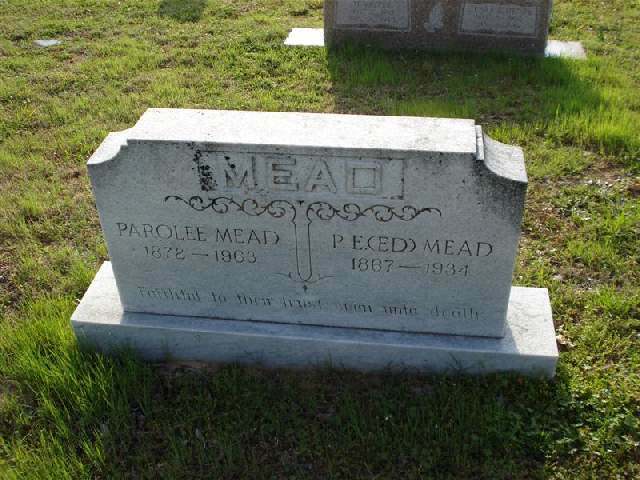 marked grave is dated 1875. 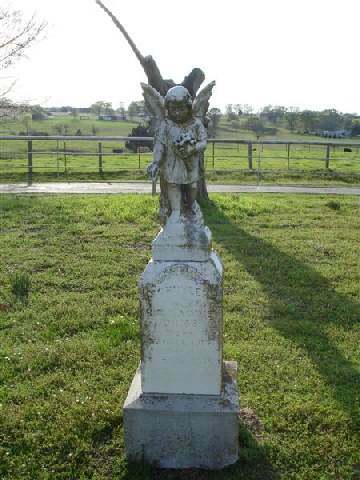 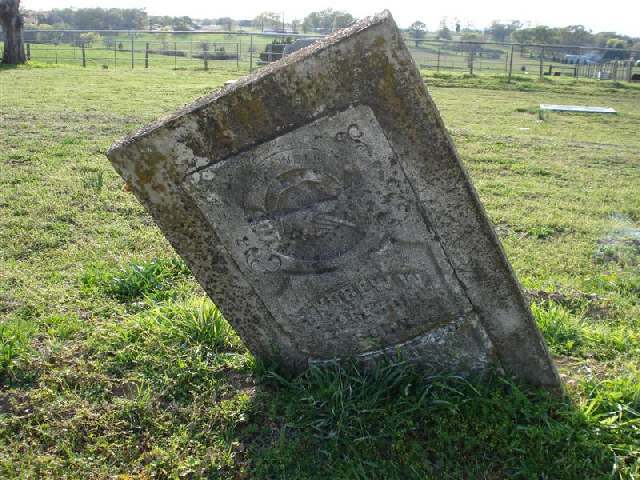 We believe the cemetery goes back to 1850 but no proof has been found to support this. 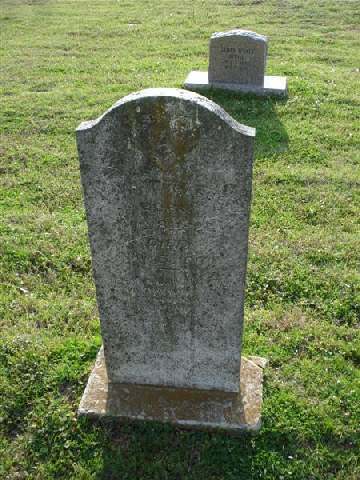 lost. 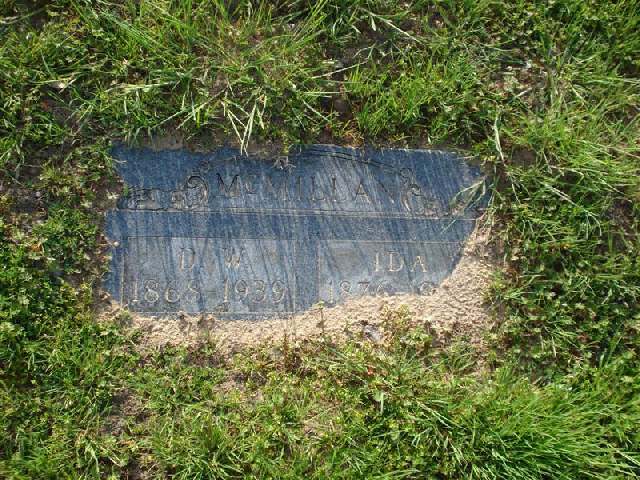 To date I have documented the names and some of the dates of 80 of the graves. 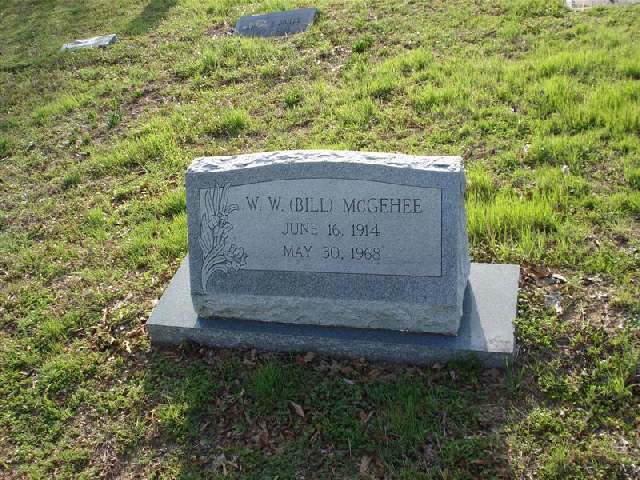 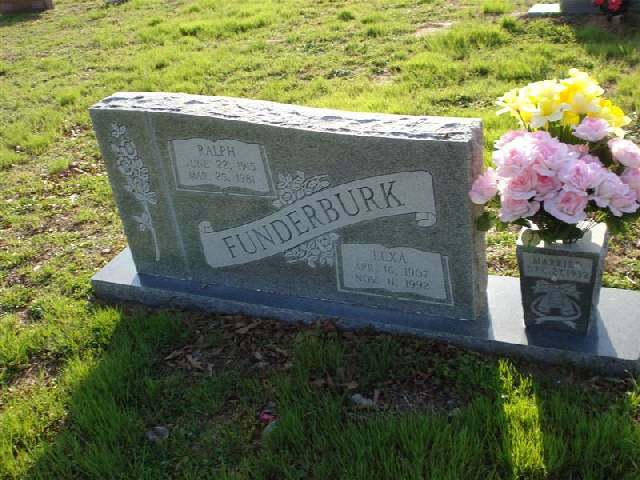 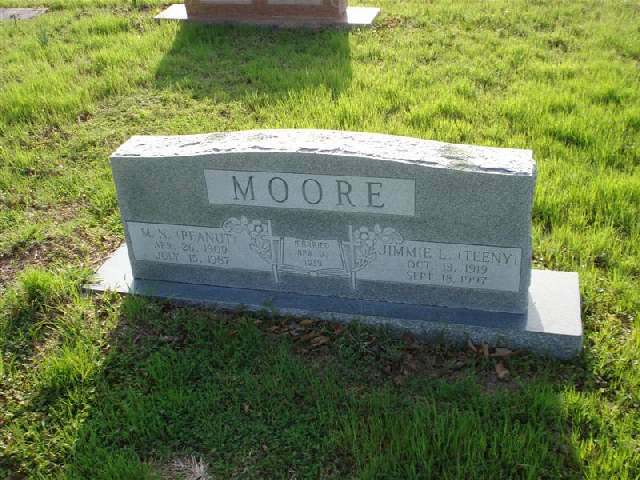 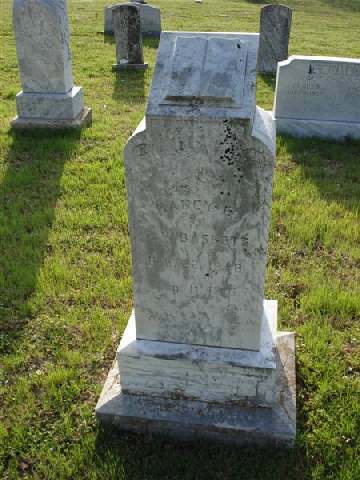 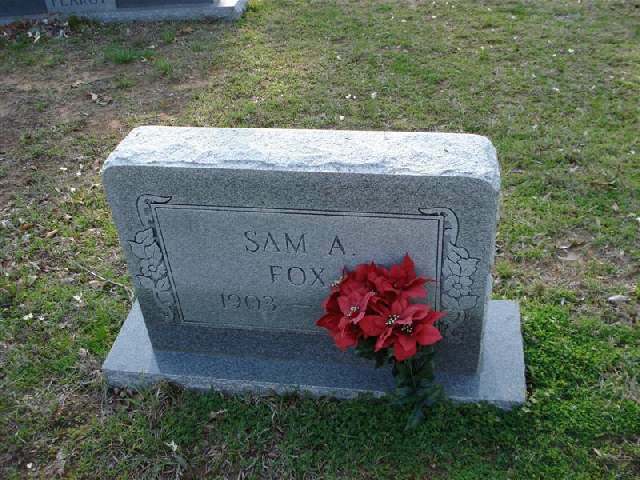 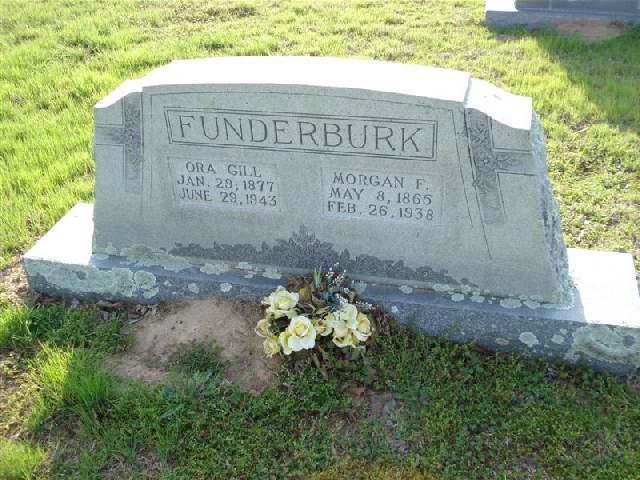 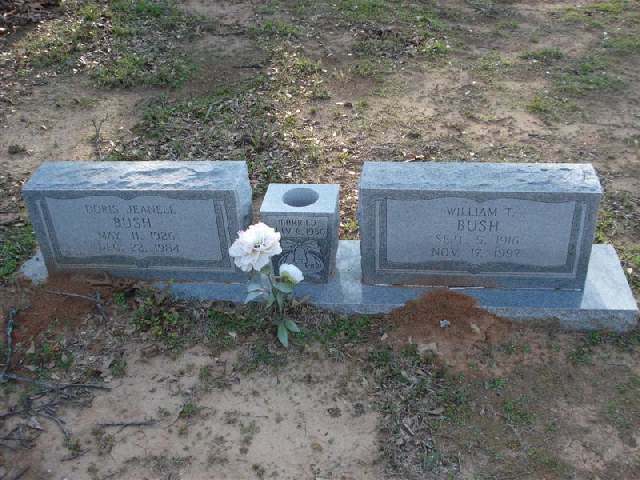 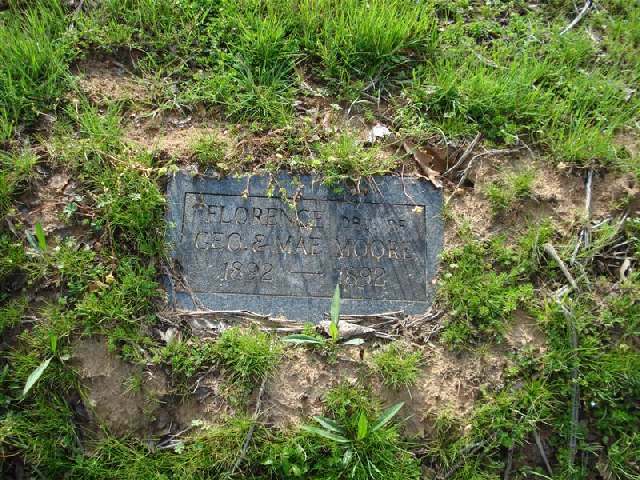 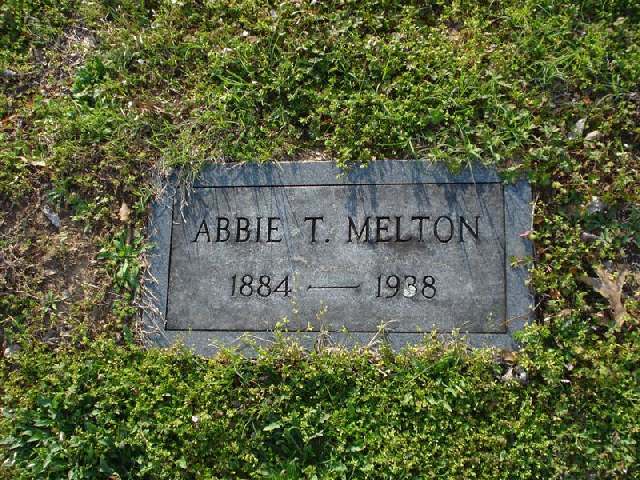 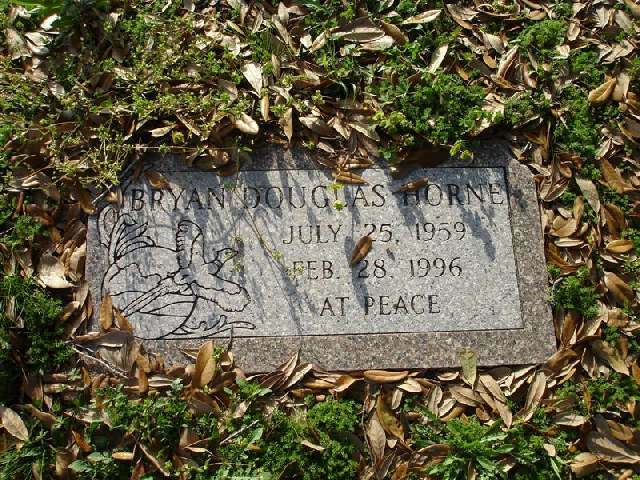 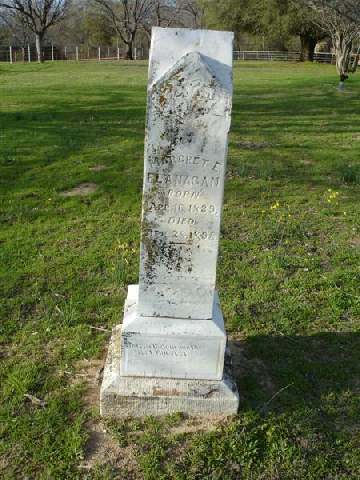 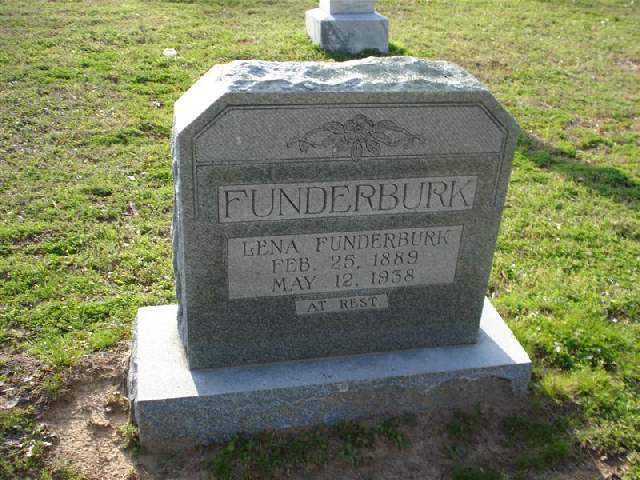 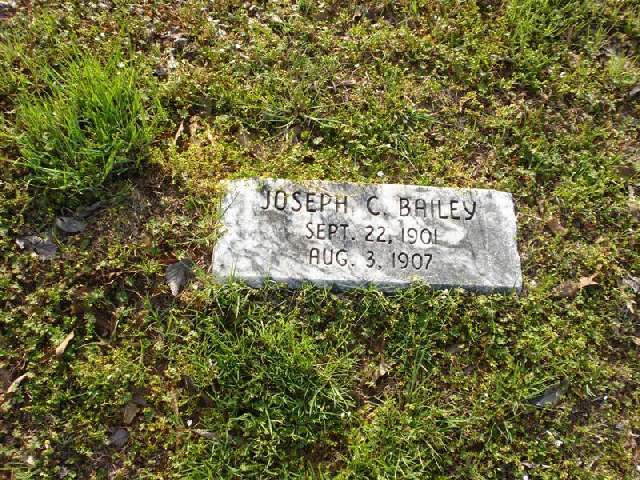 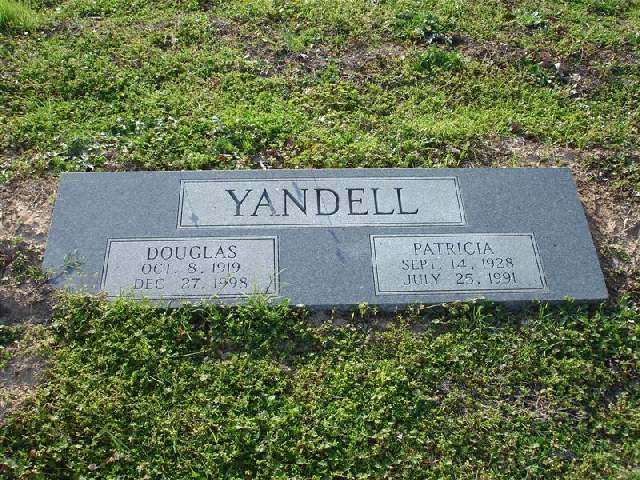 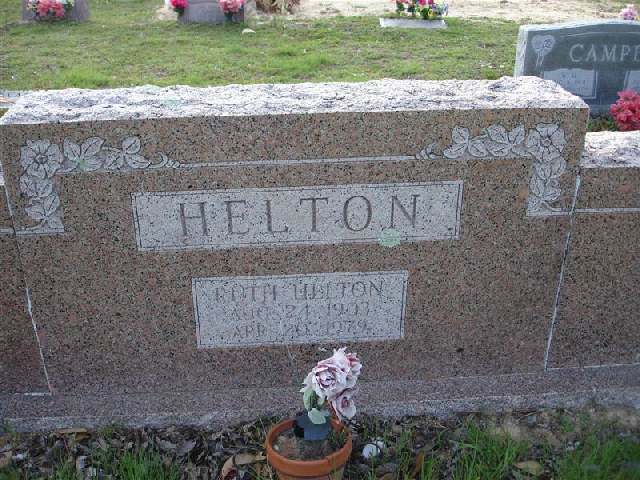 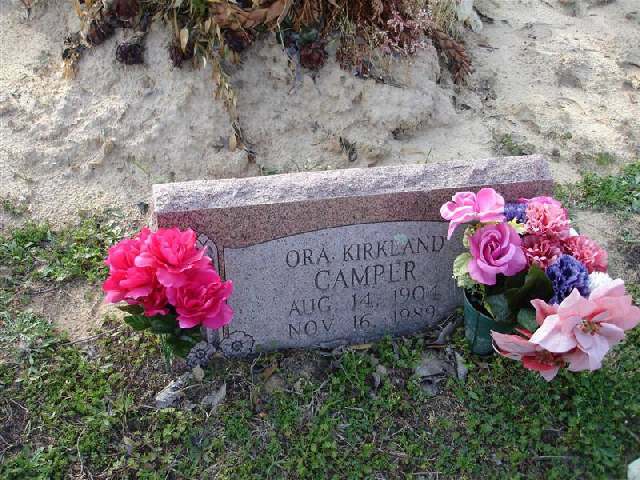 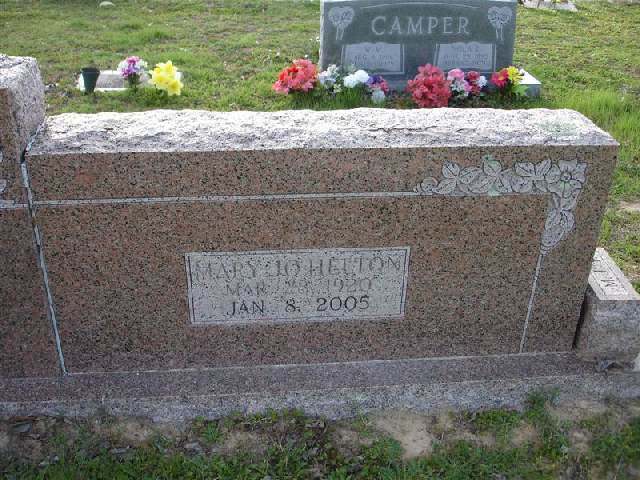 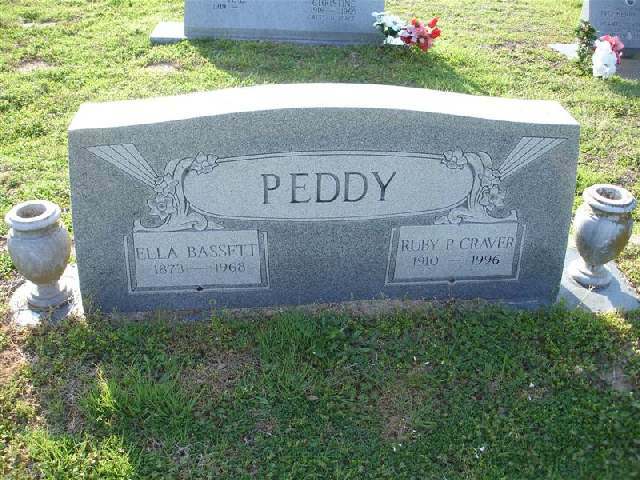 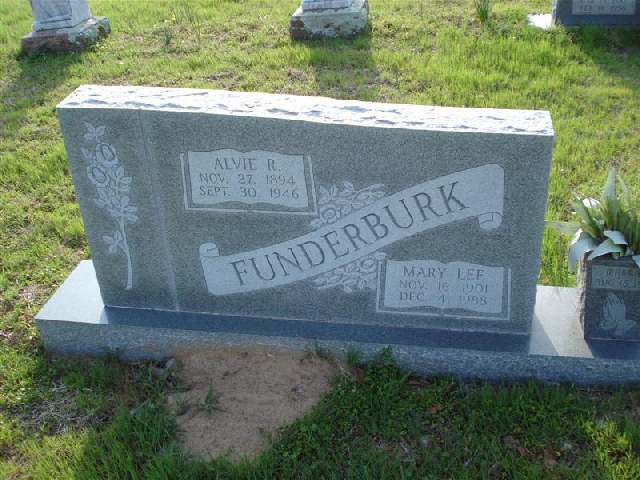 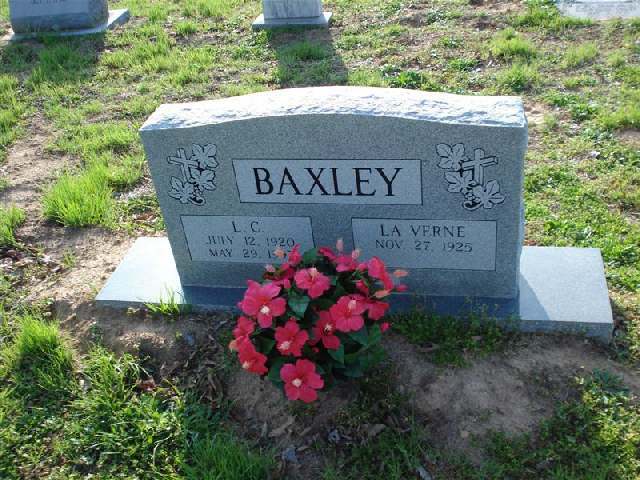 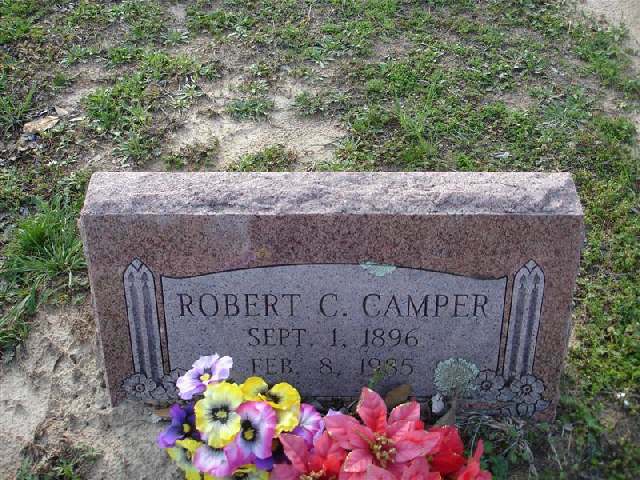 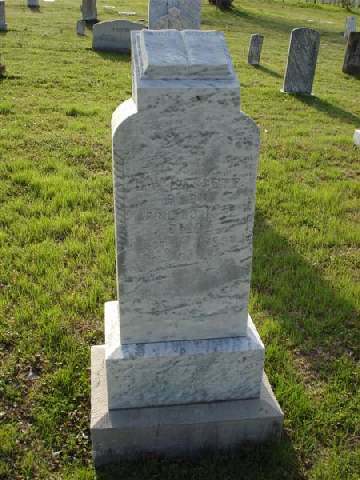 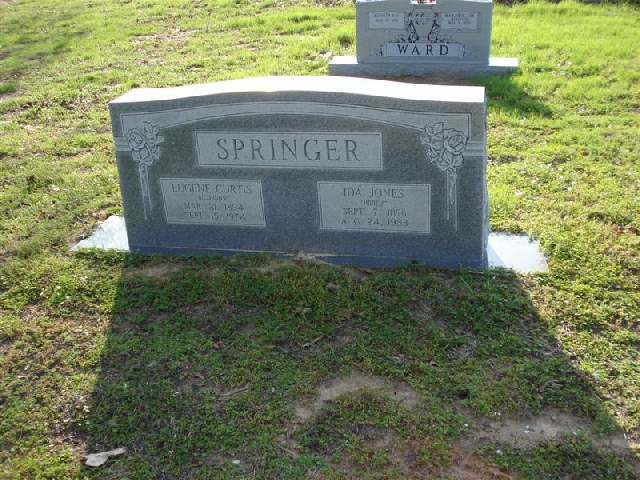 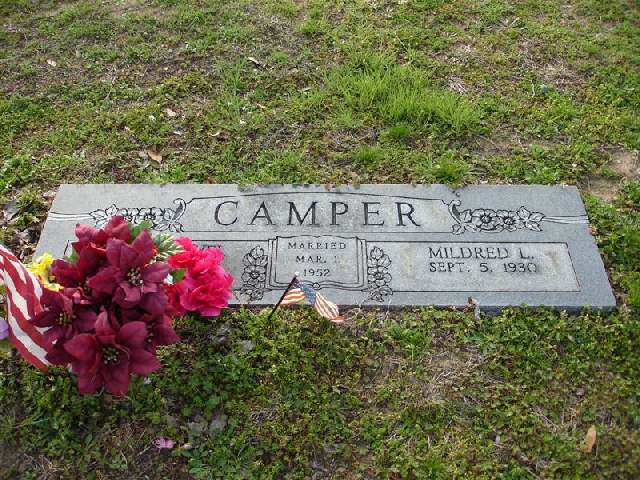 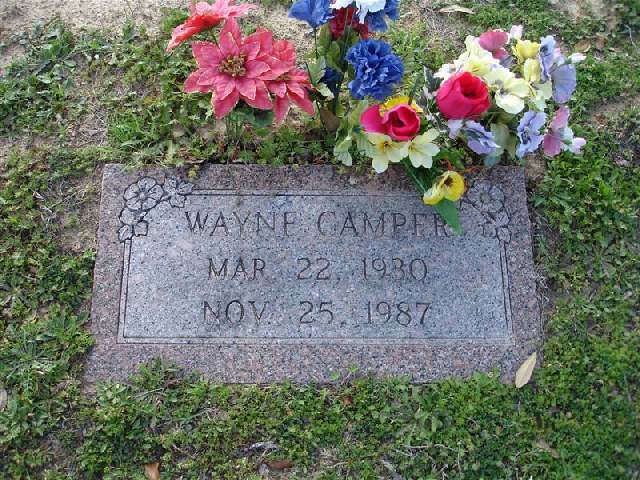 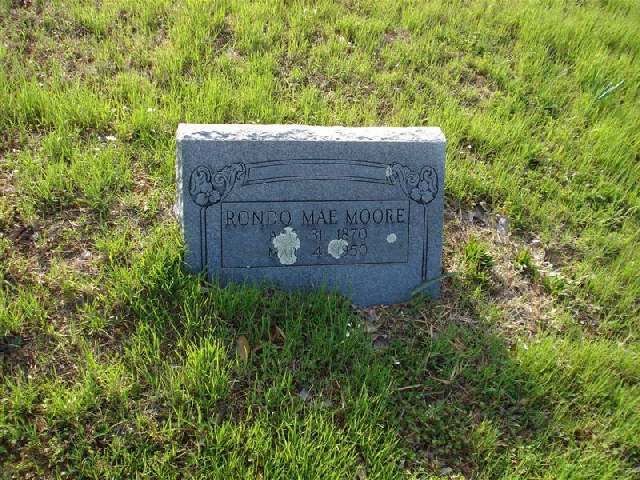 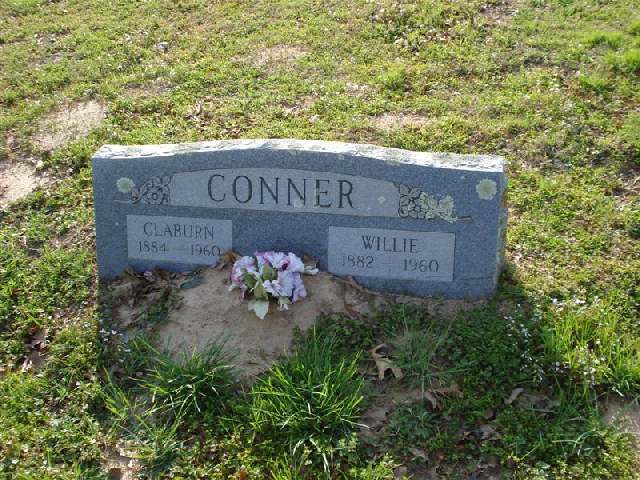 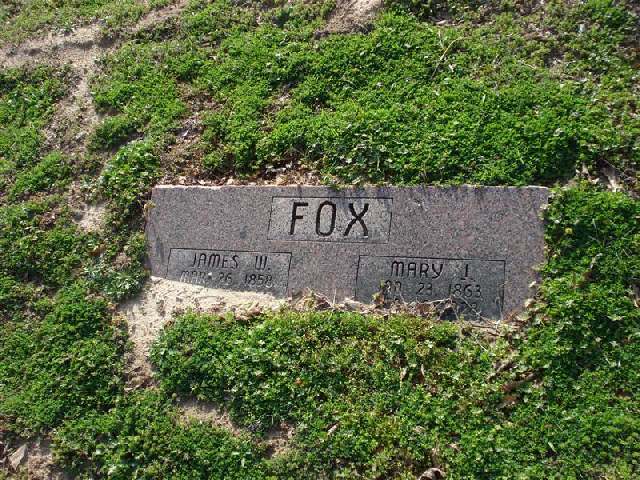 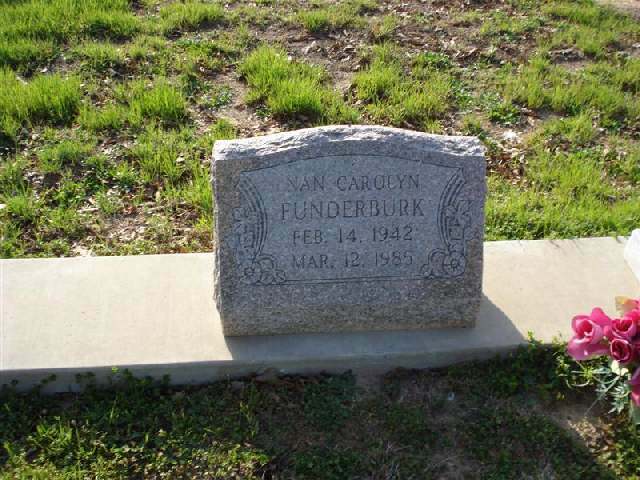 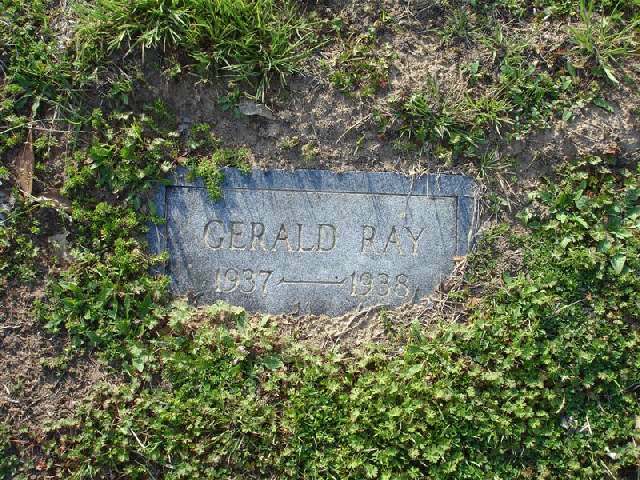 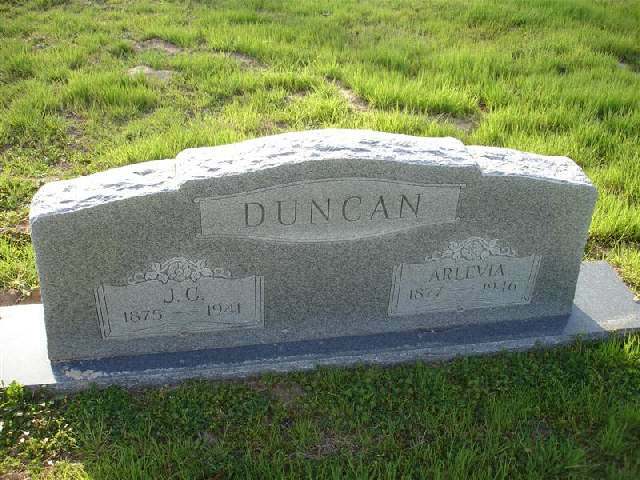 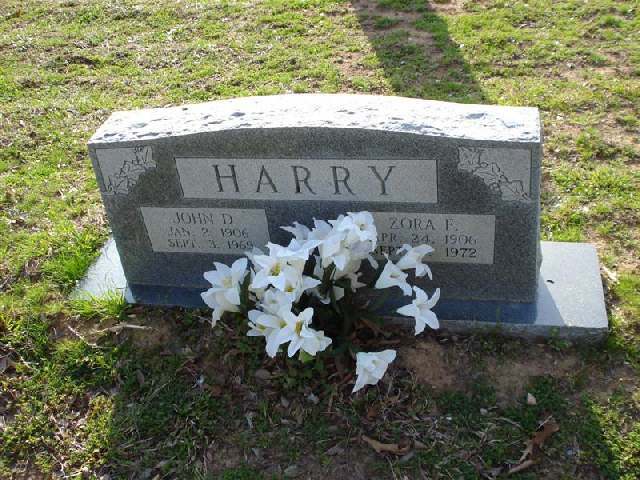 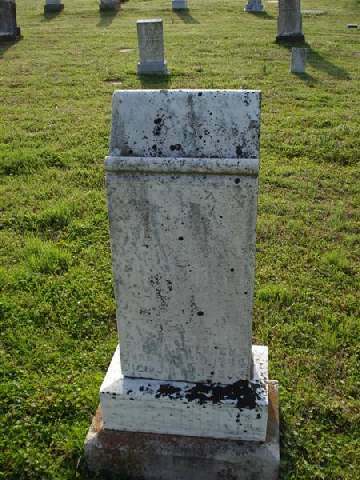 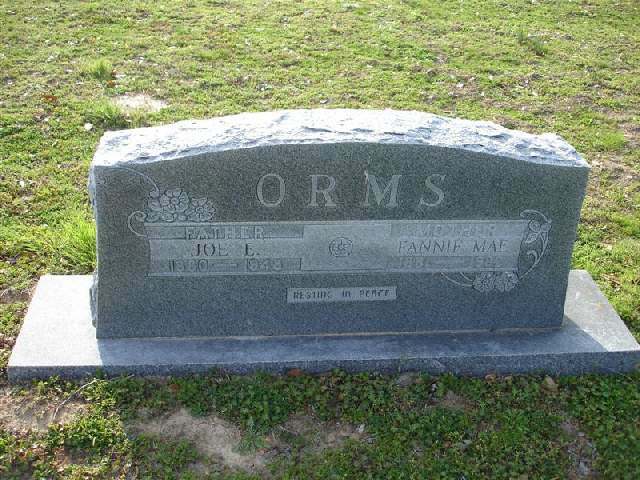 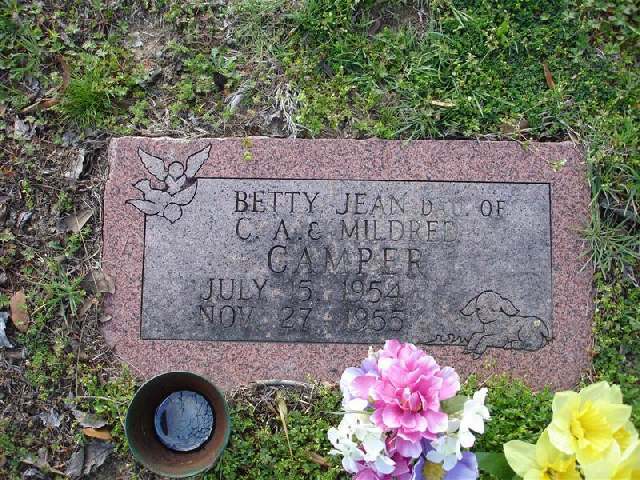 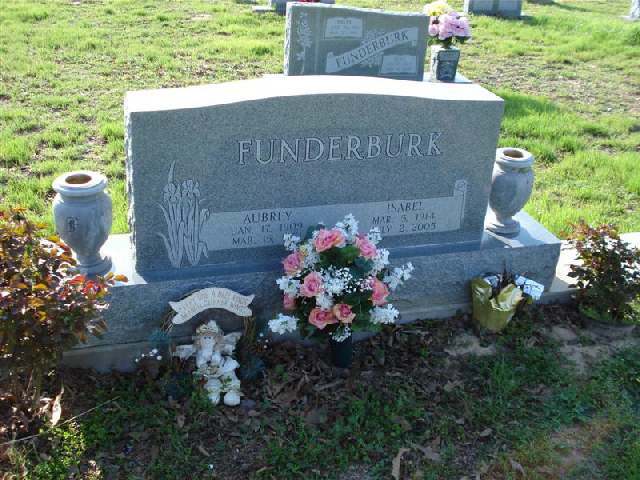 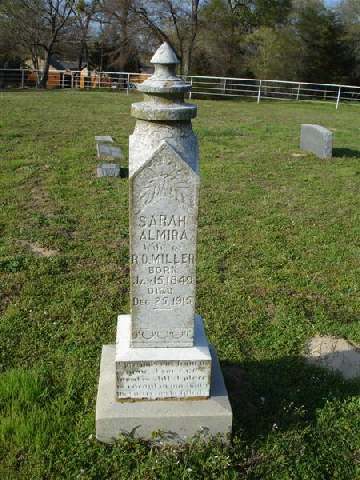 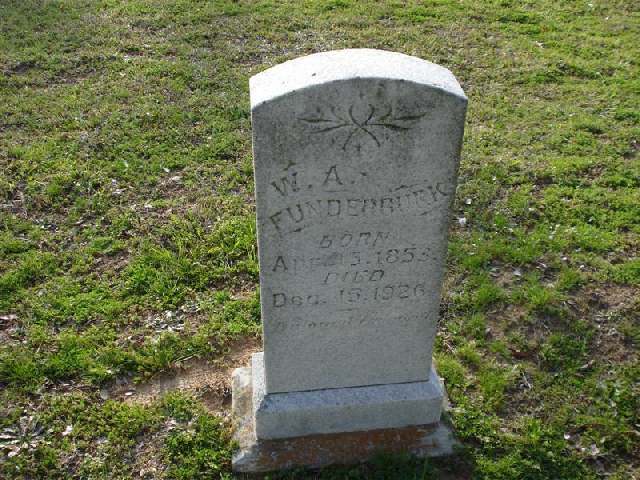 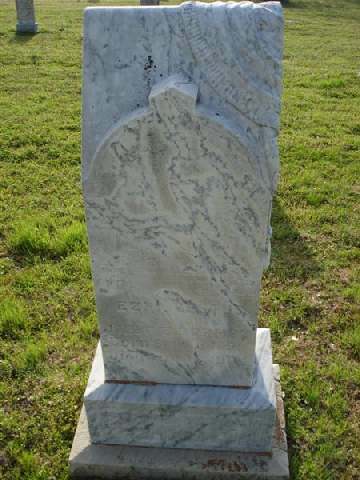 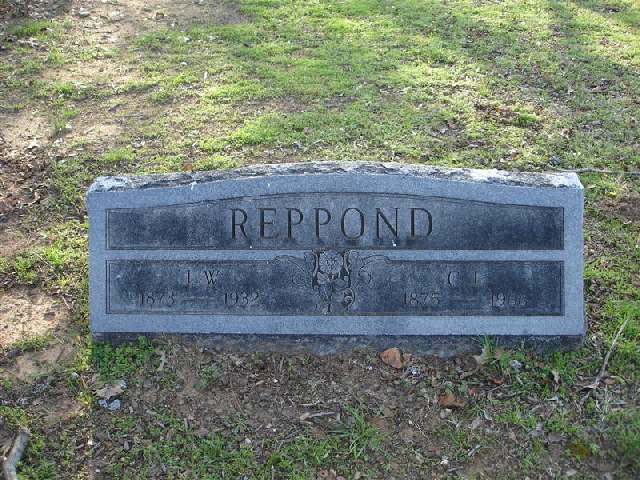 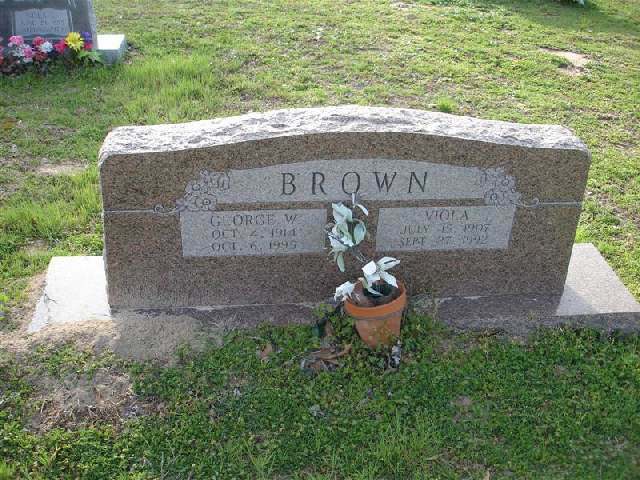 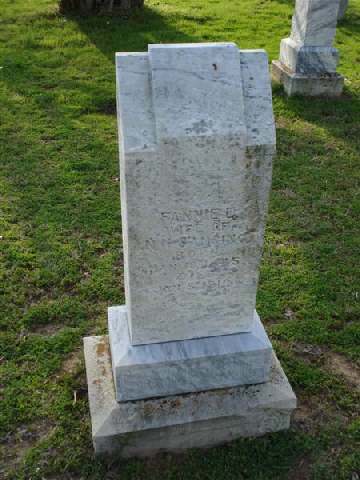 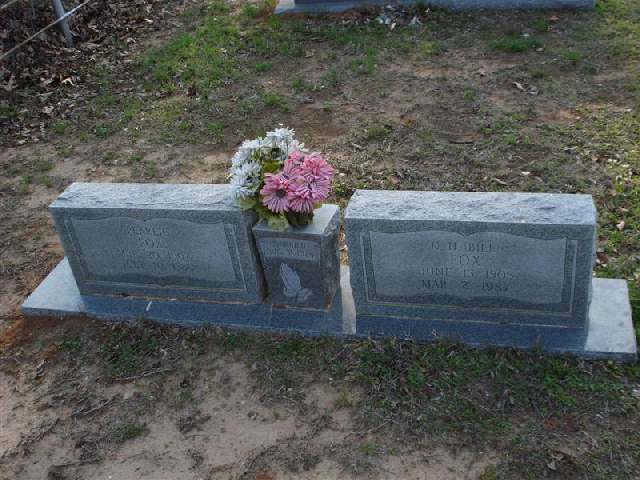 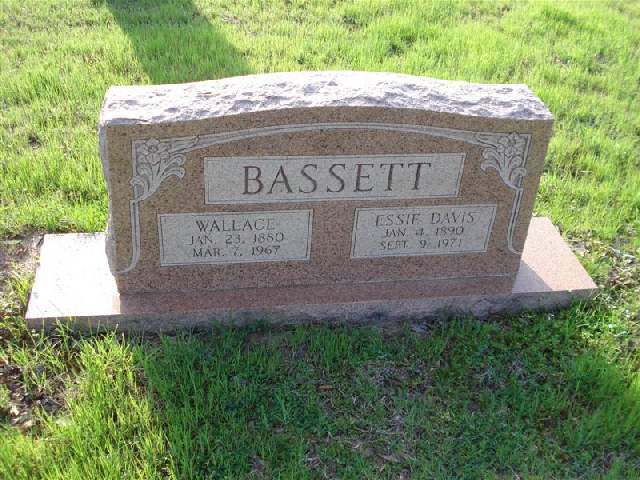 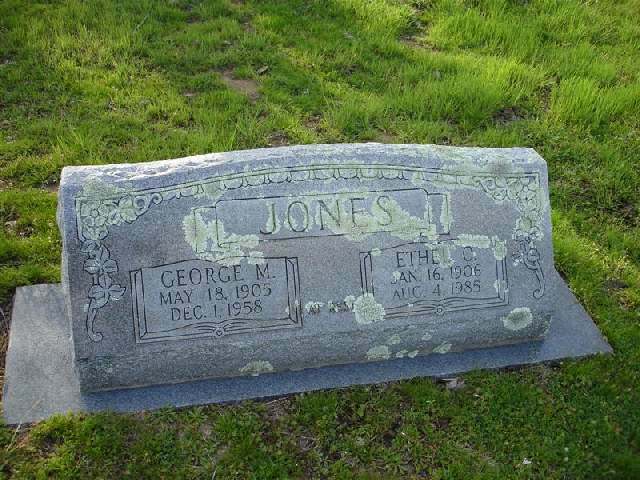 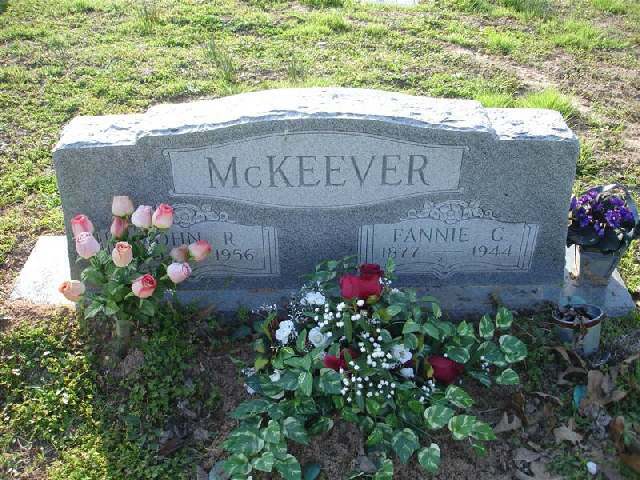 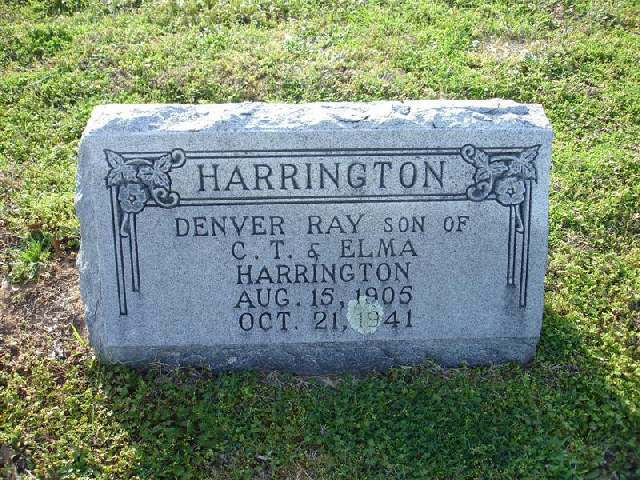 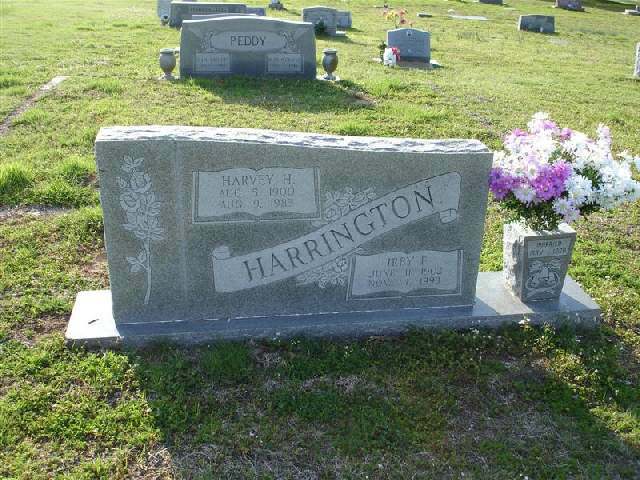 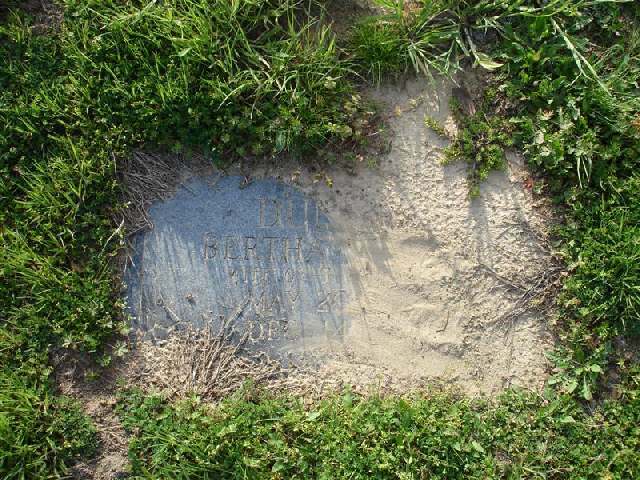 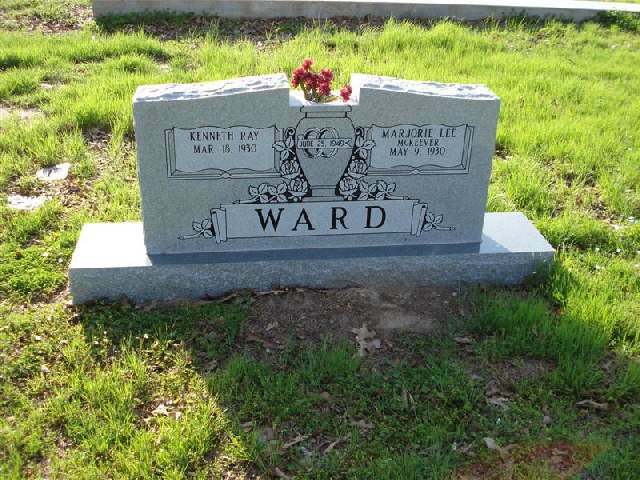 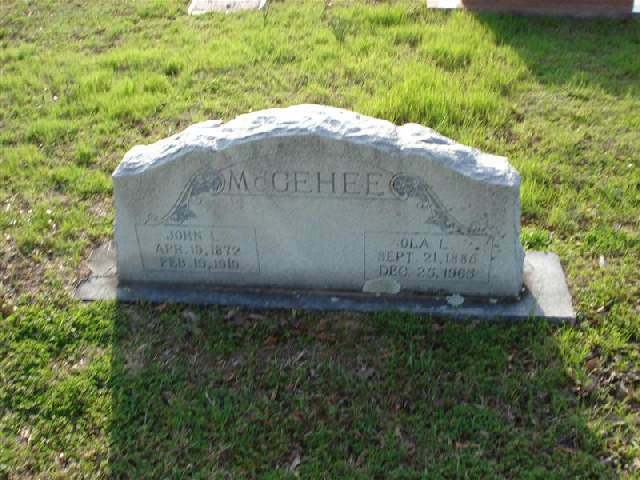 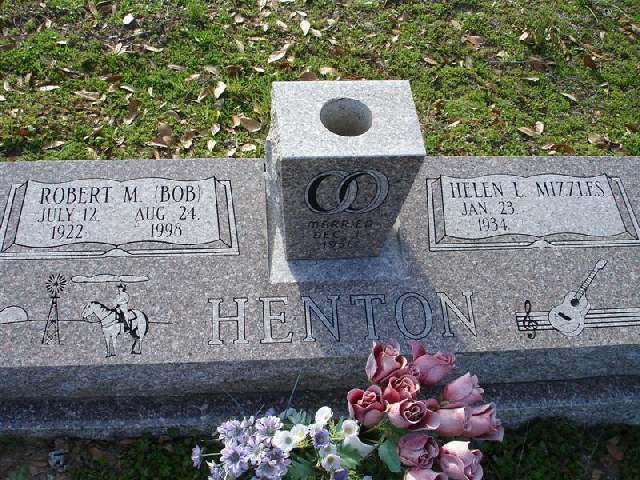 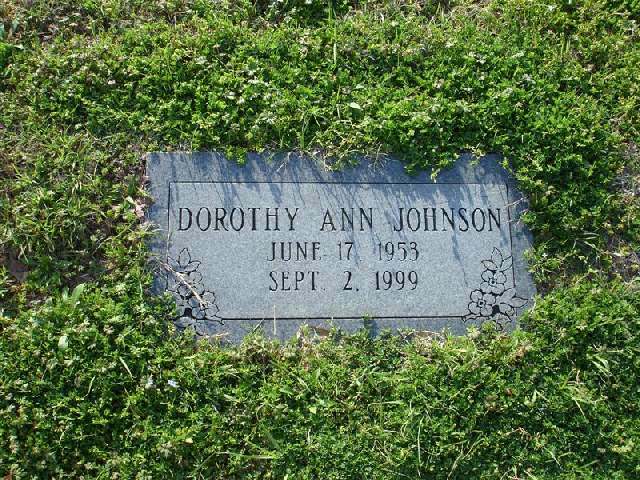 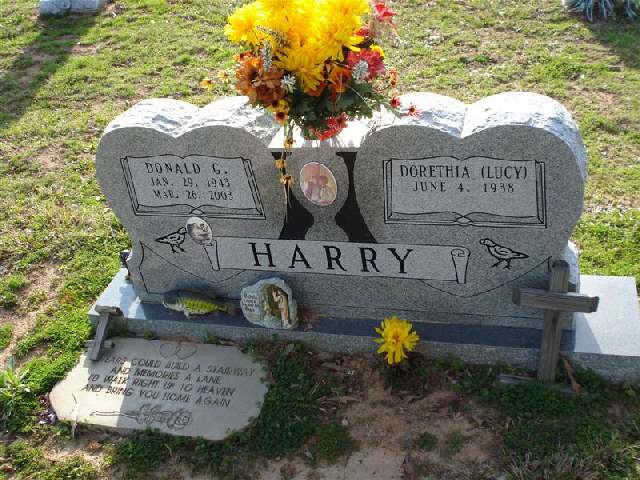 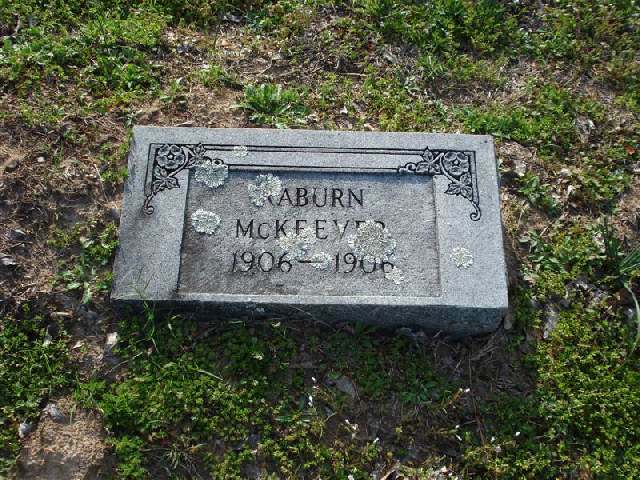 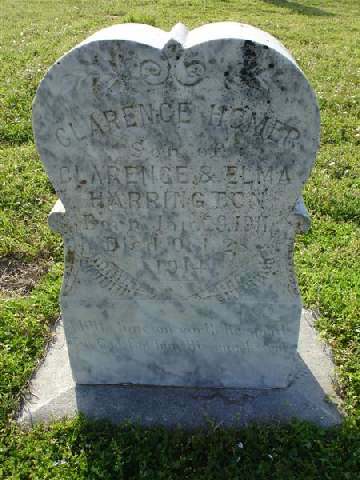 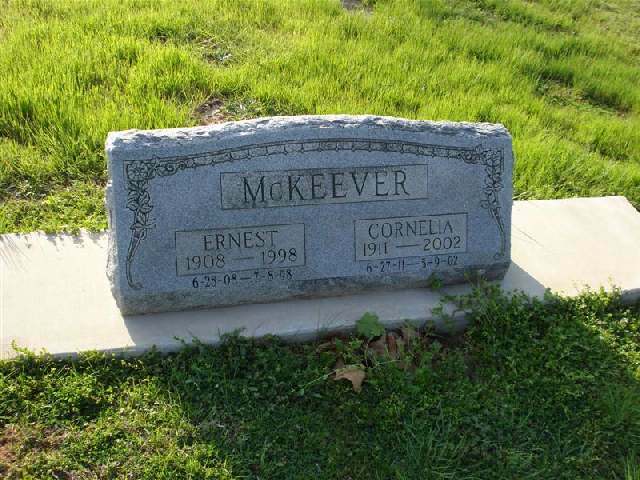 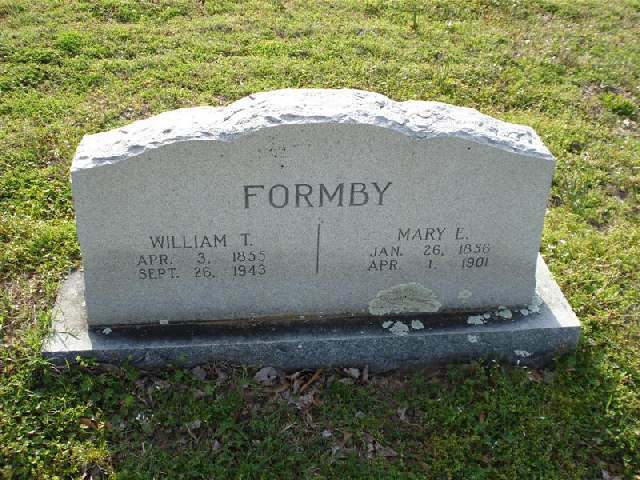 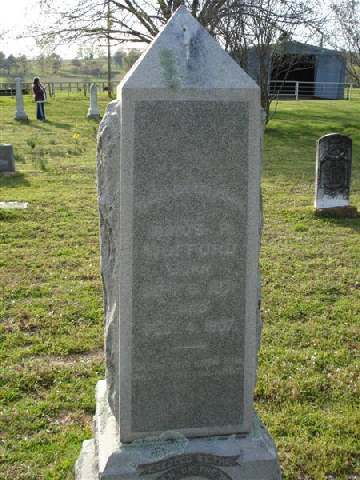 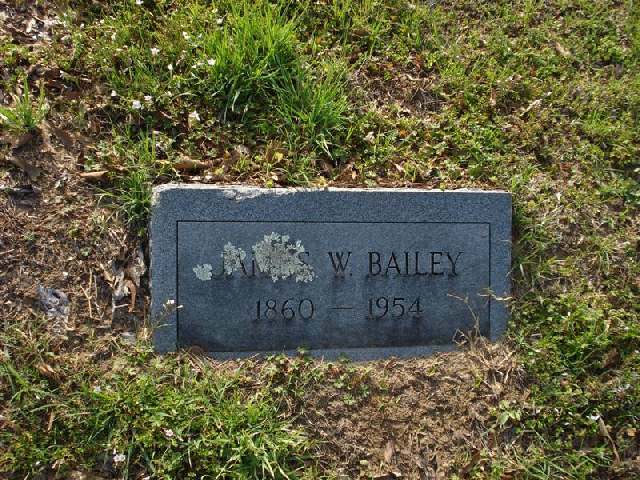 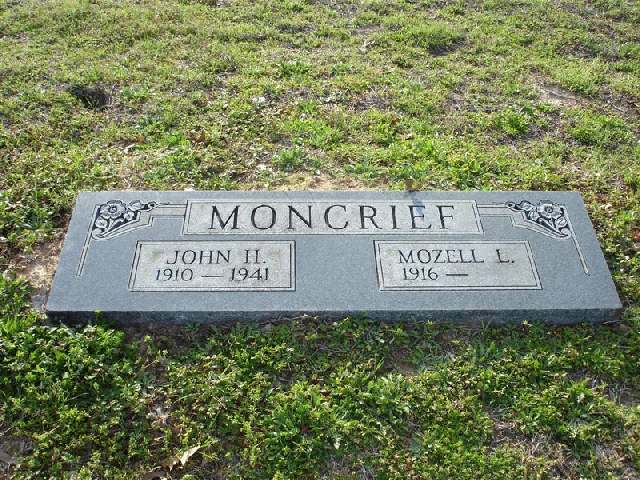 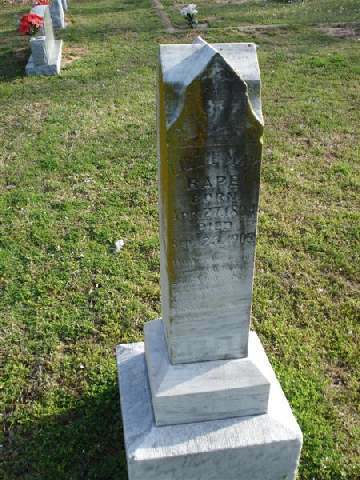 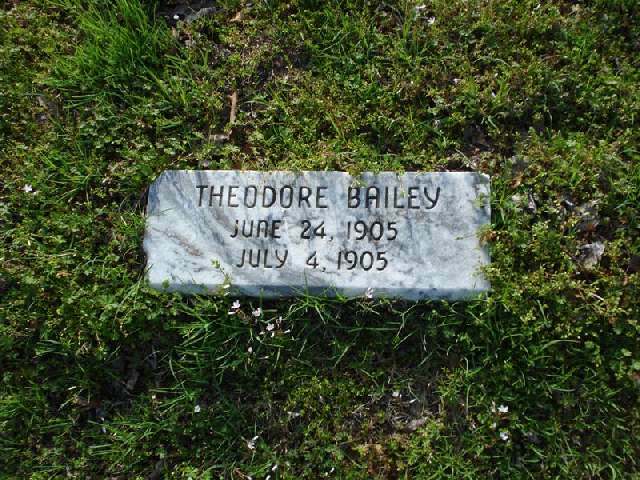 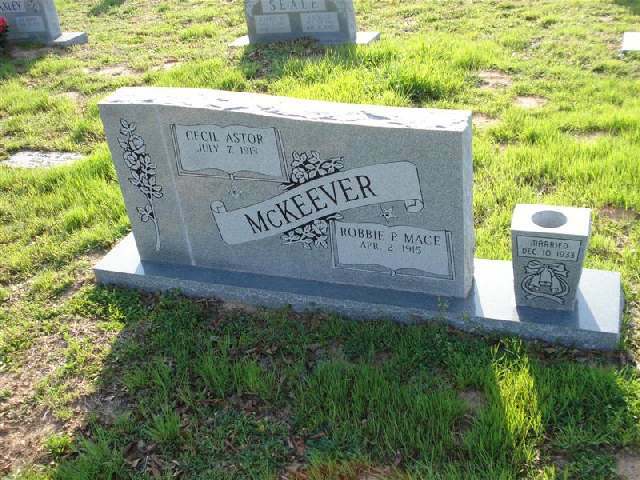 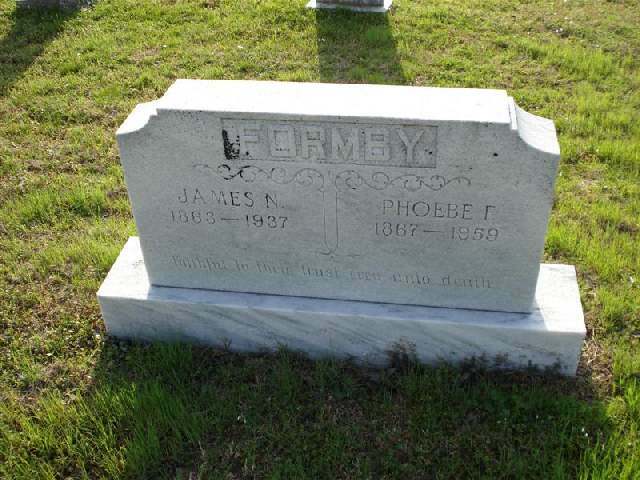 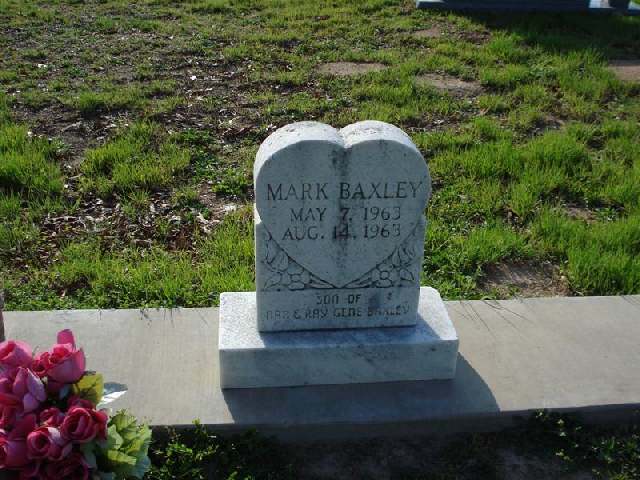 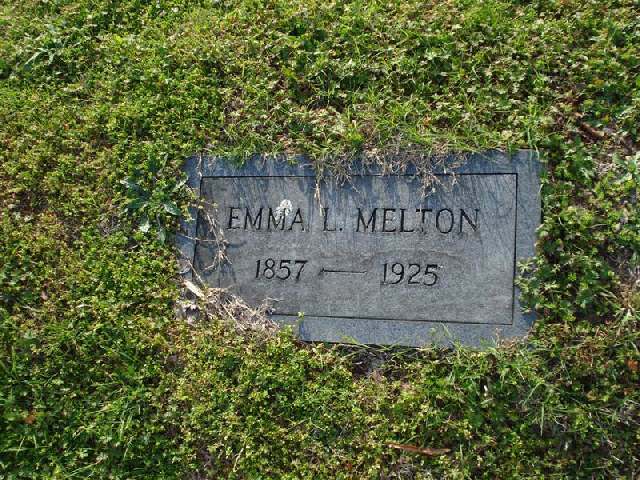 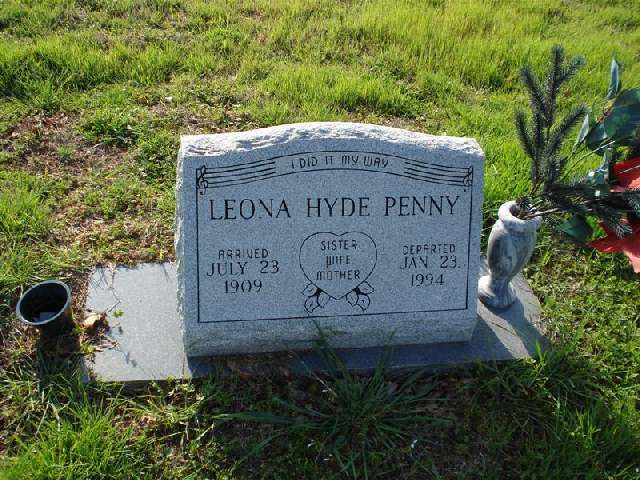 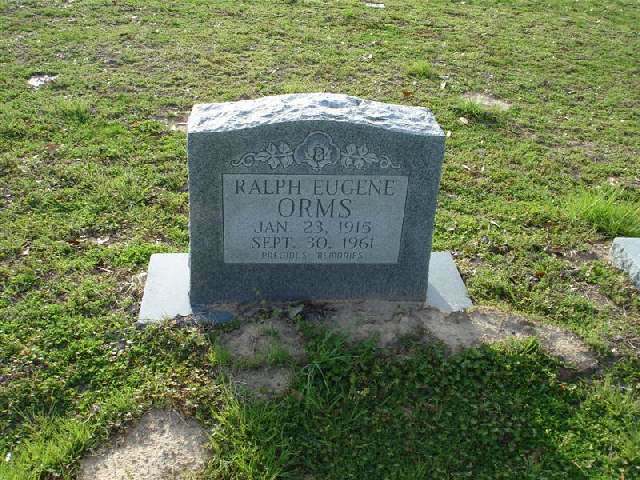 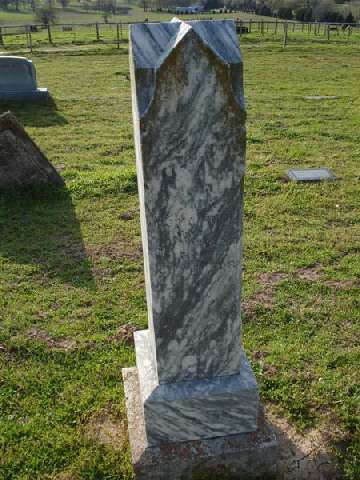 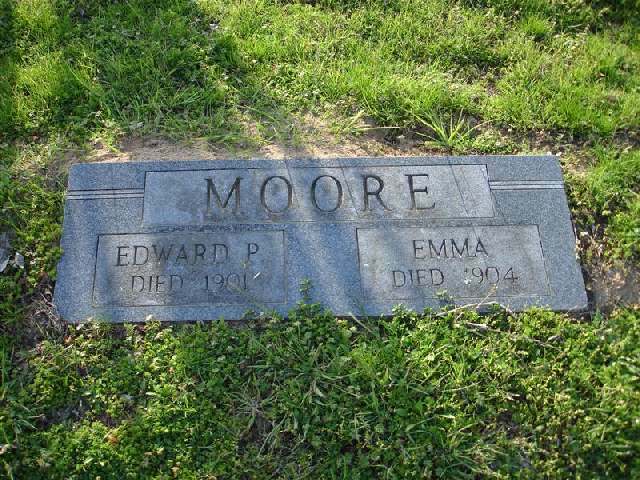 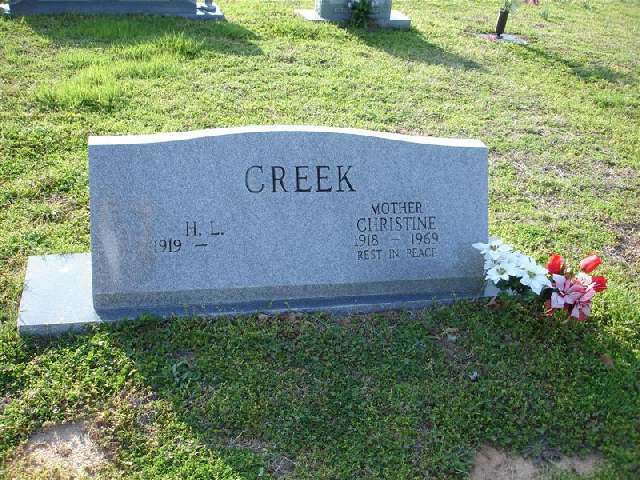 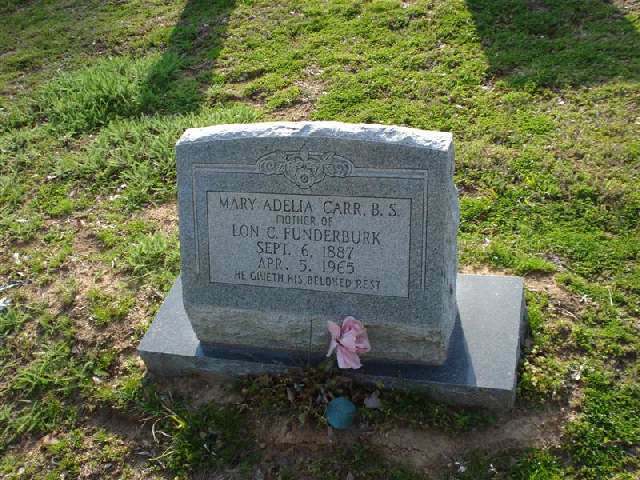 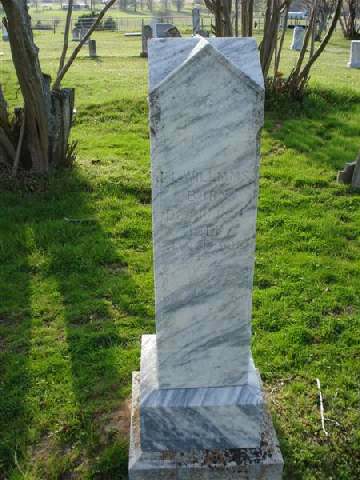 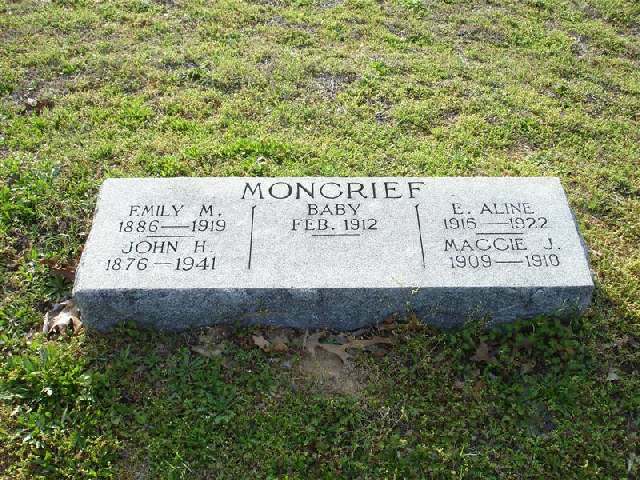 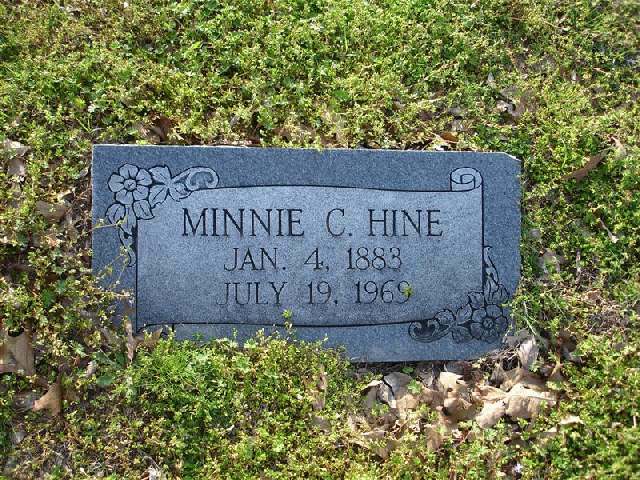 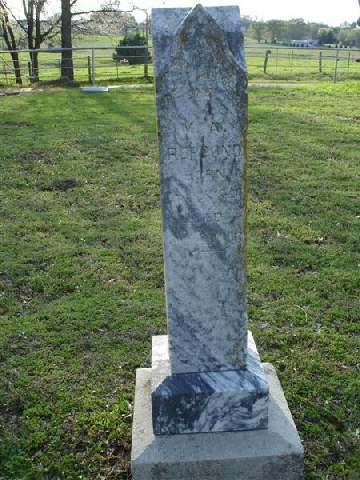 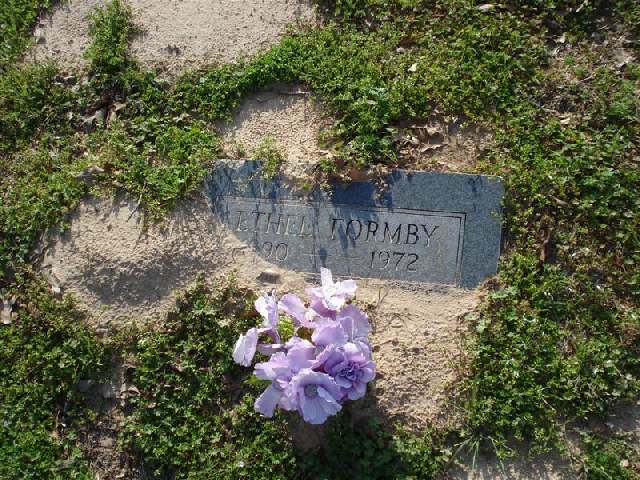 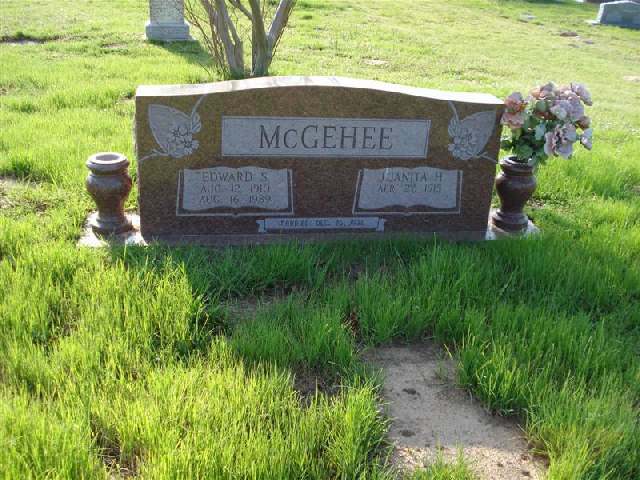 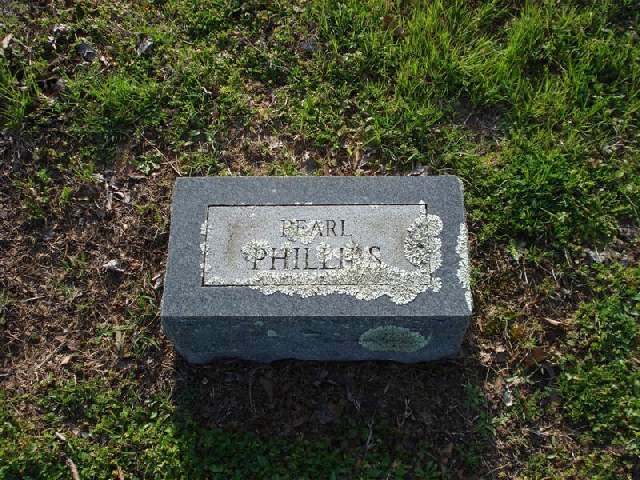 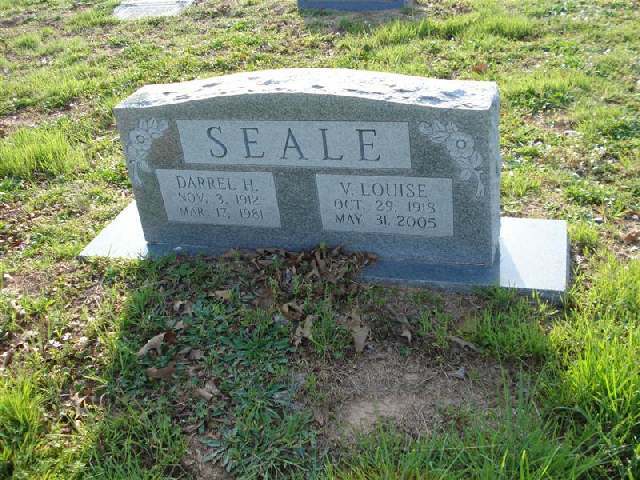 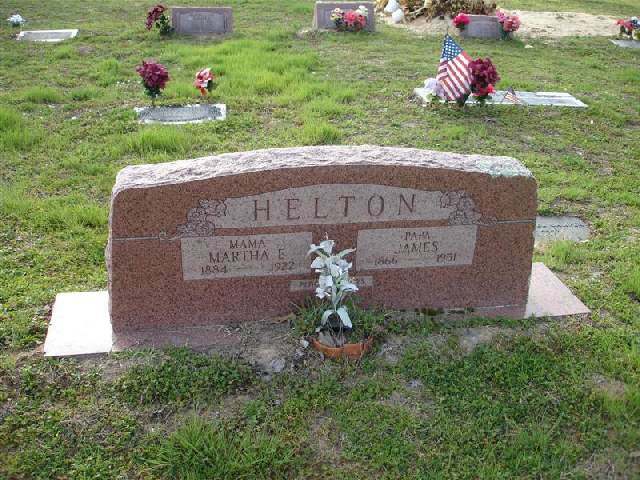 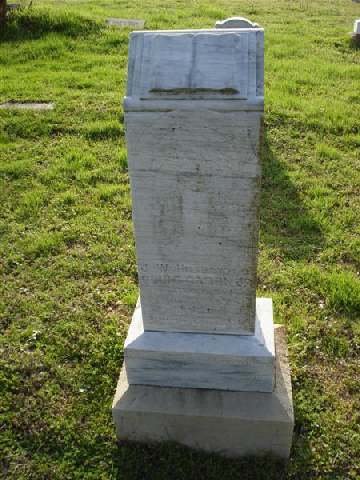 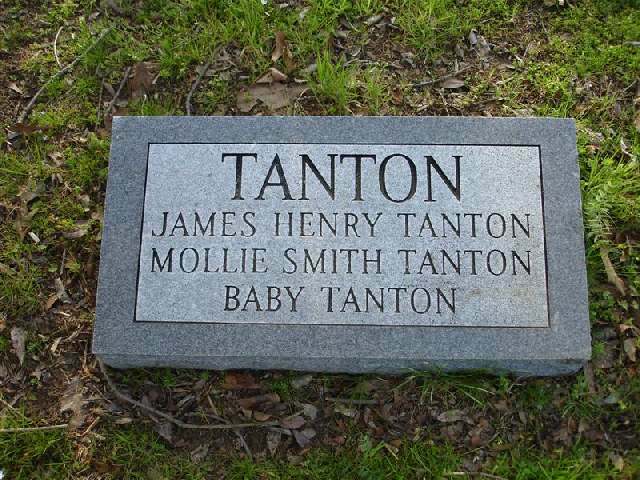 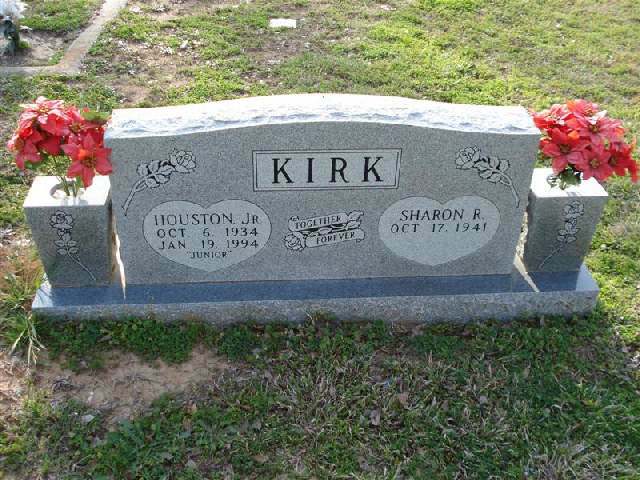 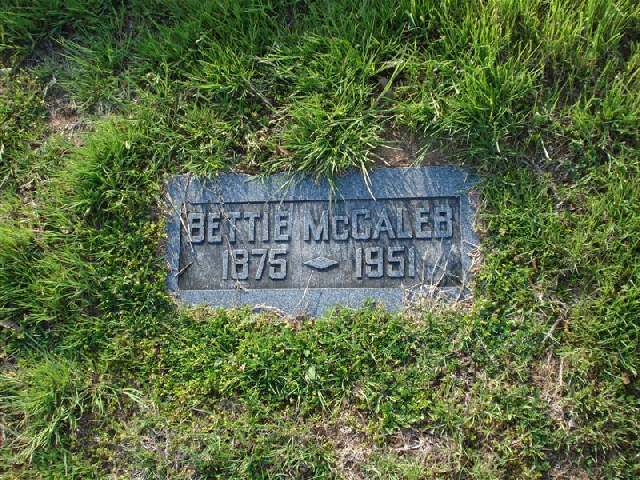 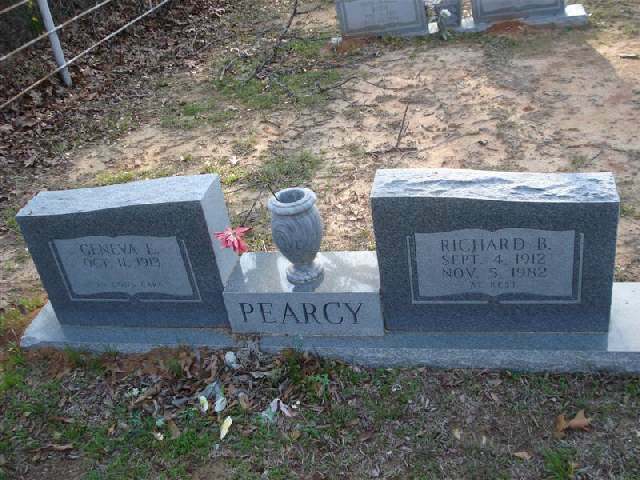 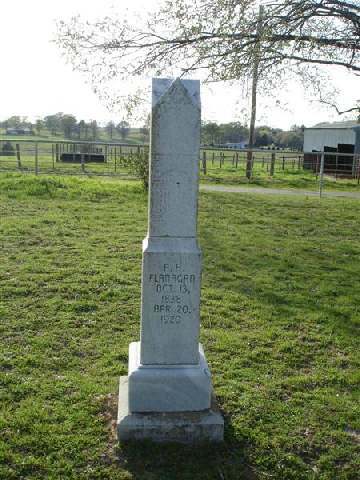 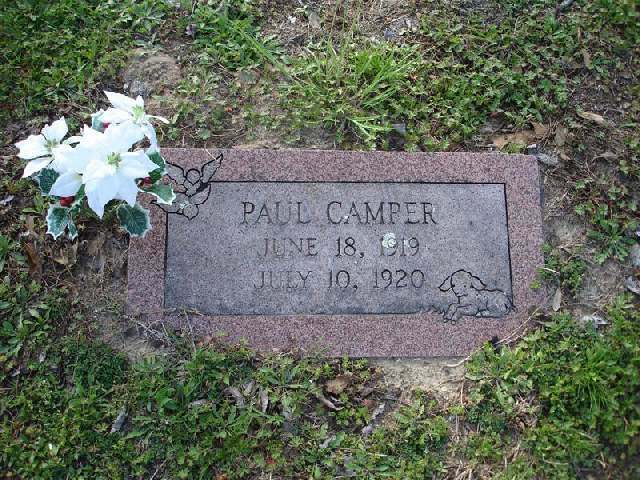 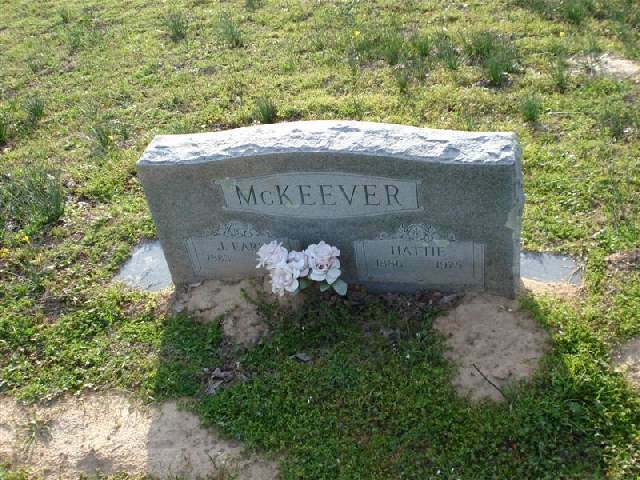 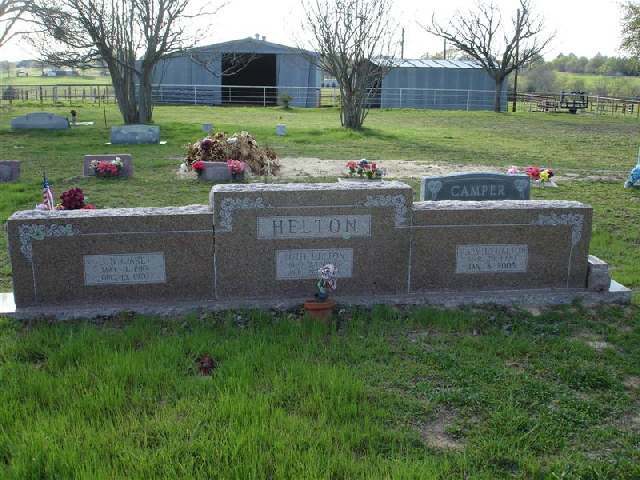 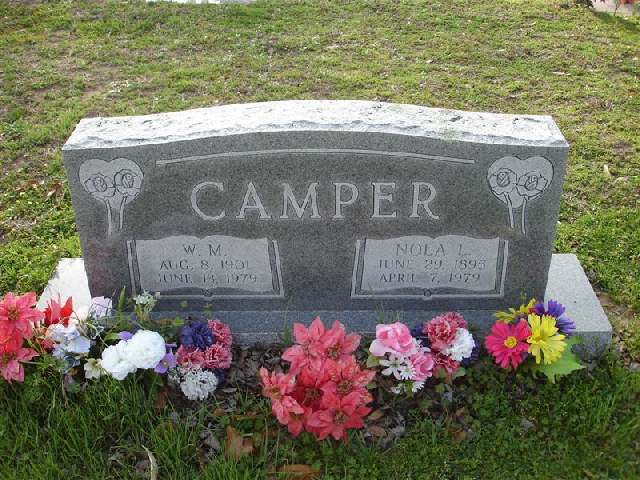 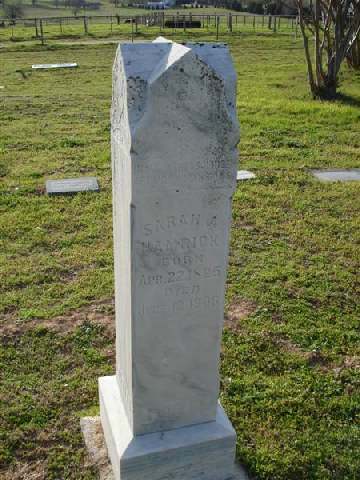 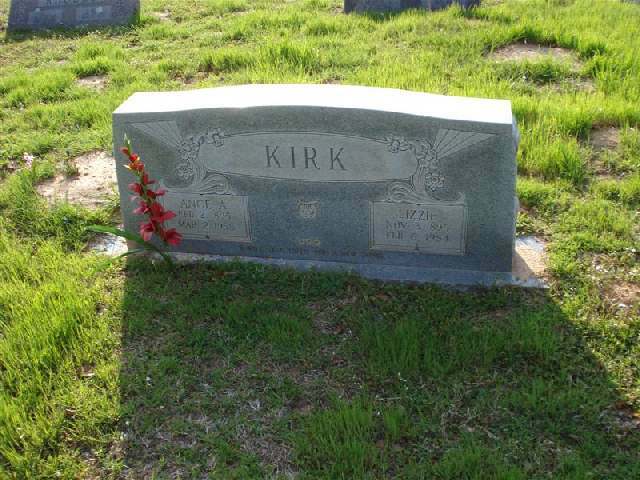 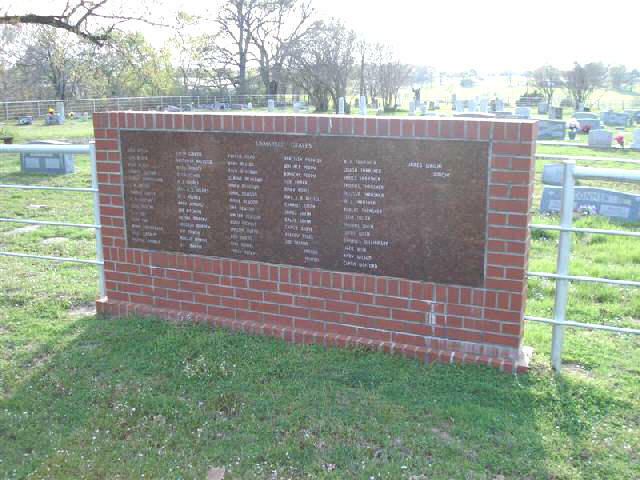 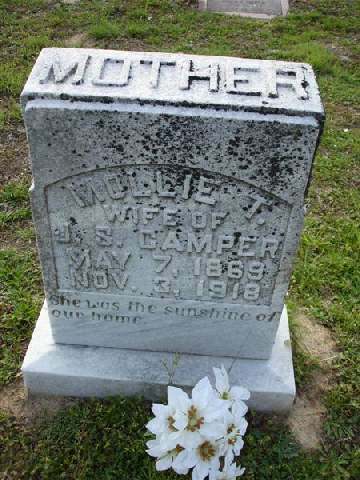 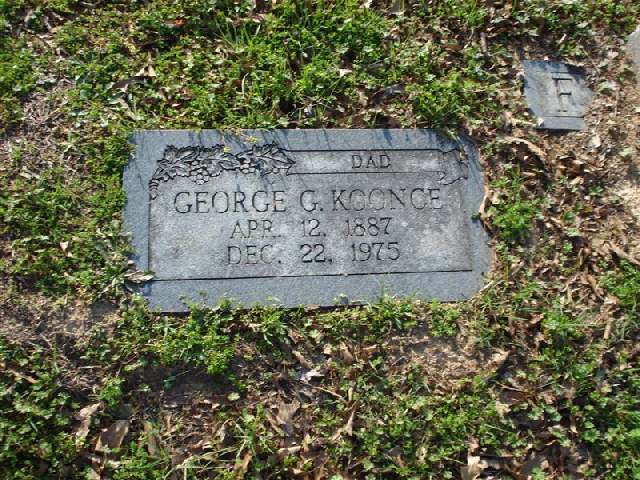 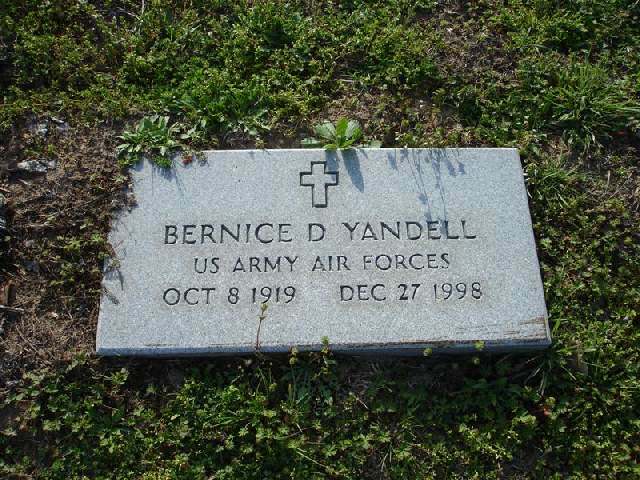 In 1995 the cemetery association members raised enough money to put a granite marker along the front fenceline that includes the names of those known to be buried in the cemetery. 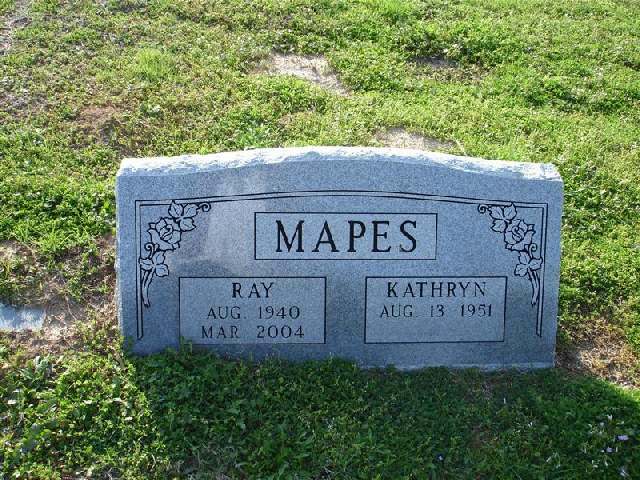 The following list will be in alphebetical order by last name with the womens maiden names given where known. 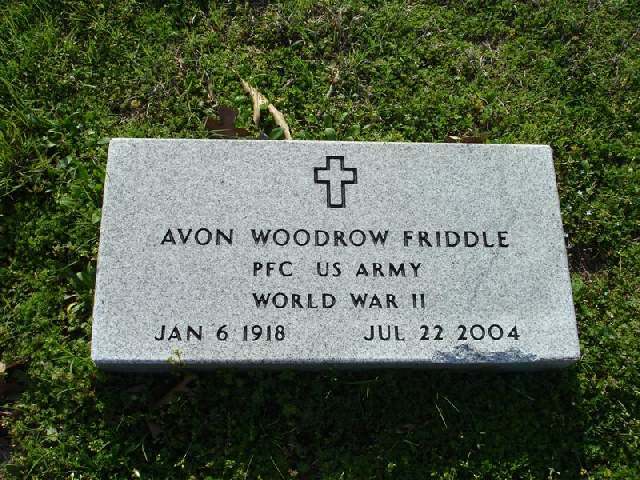 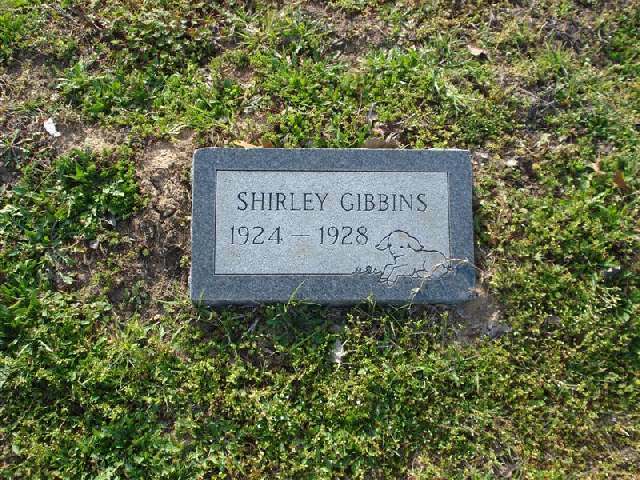 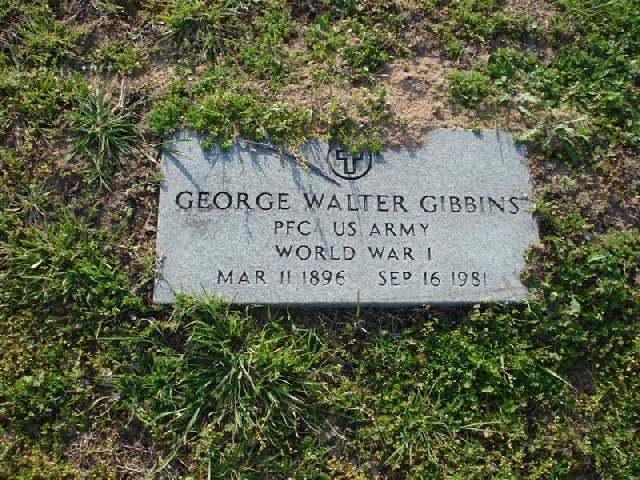 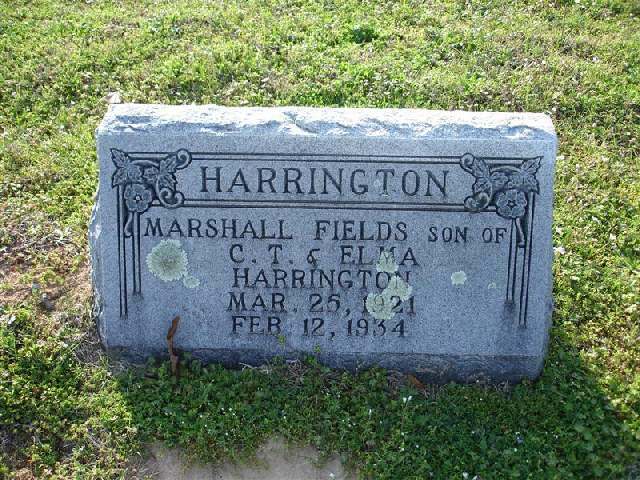 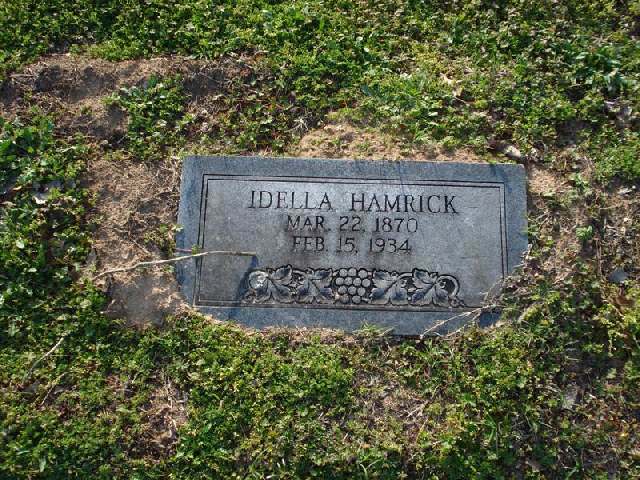 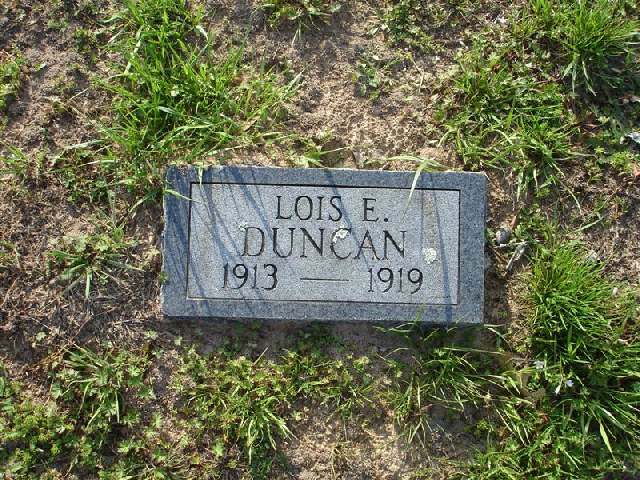 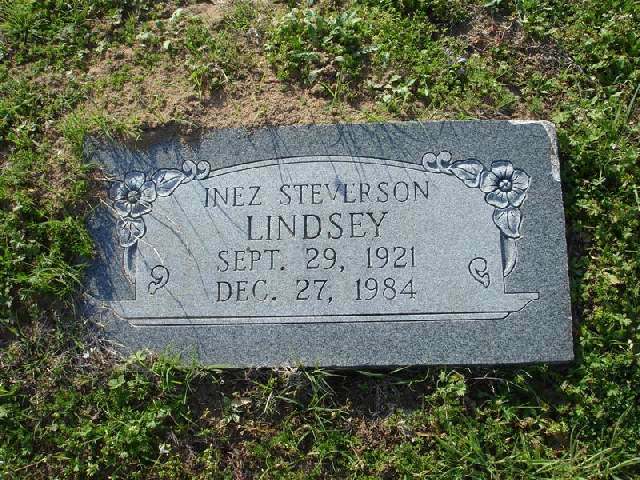 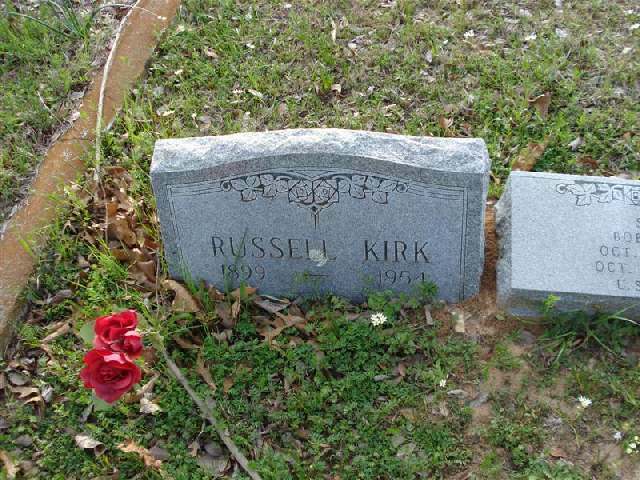 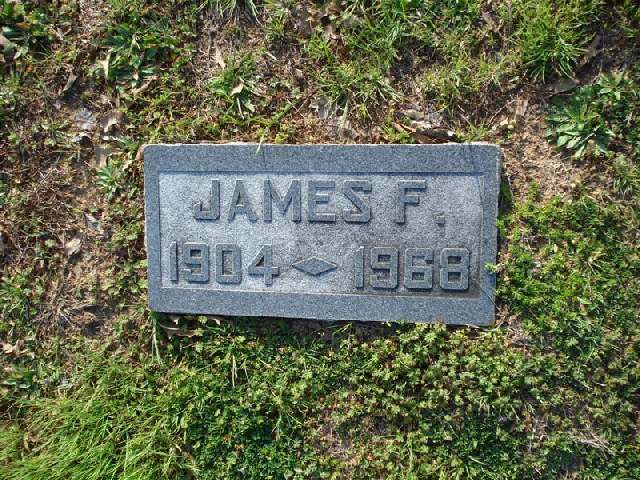 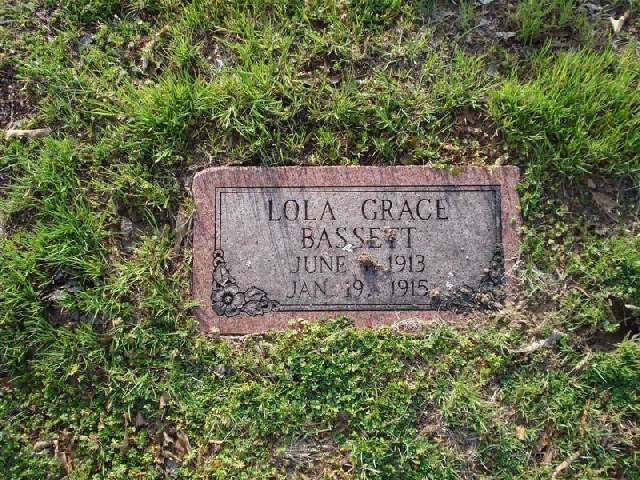 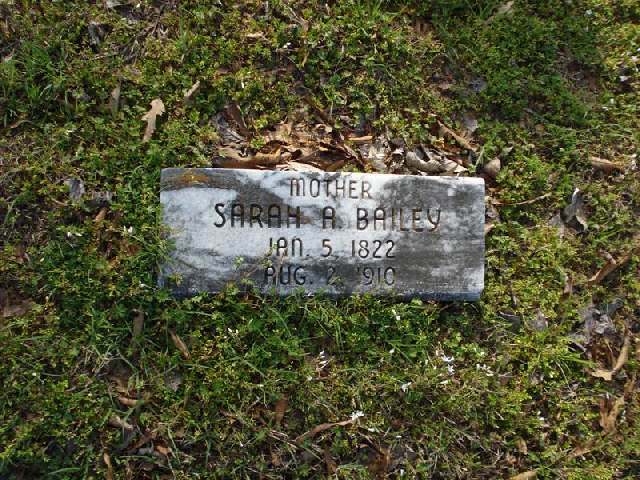 I have more information on this cemetery than can be included here and am always glad to share any information with those interested. 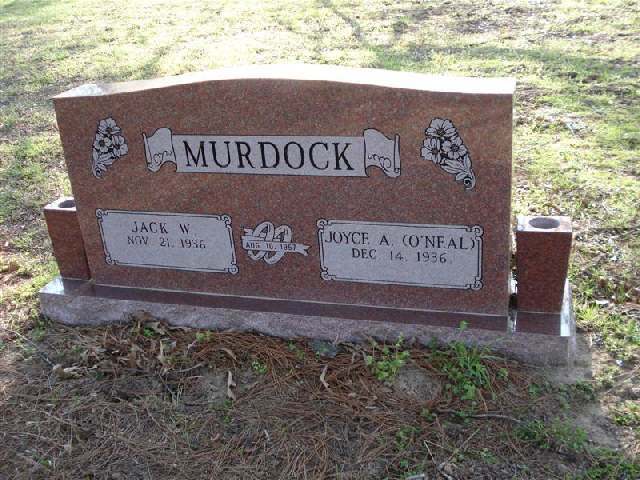 Also for anyone who might like to come. 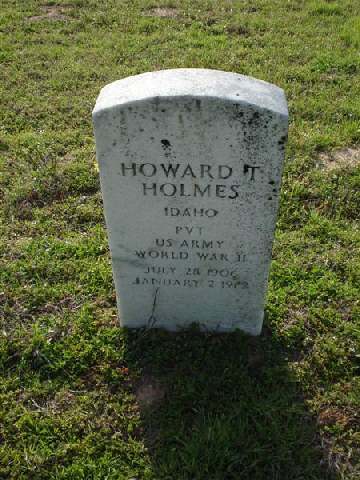 We have a Homecoming and Memorial Day Service the first Saturday in June each year. 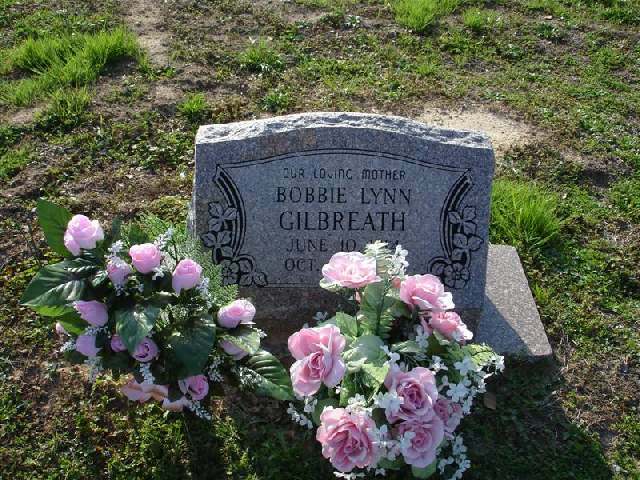 There is a program at 10:15am and then basket lunch in the fellowship hall of the church. 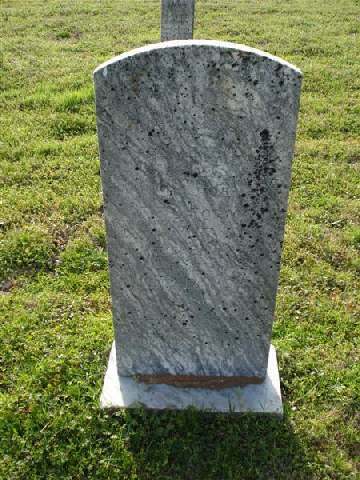 It is open for anyone to come and join us. 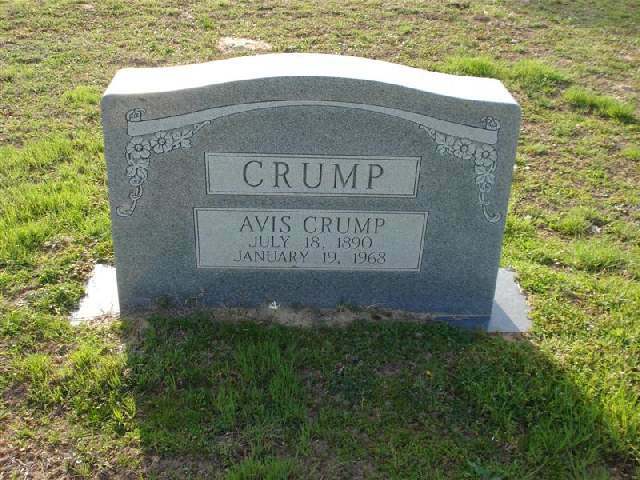 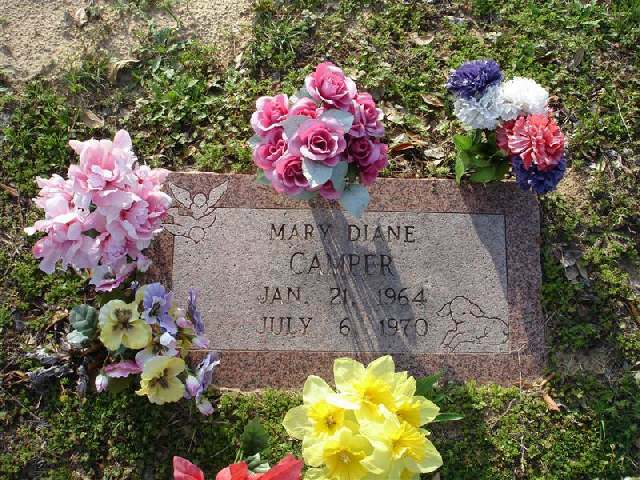 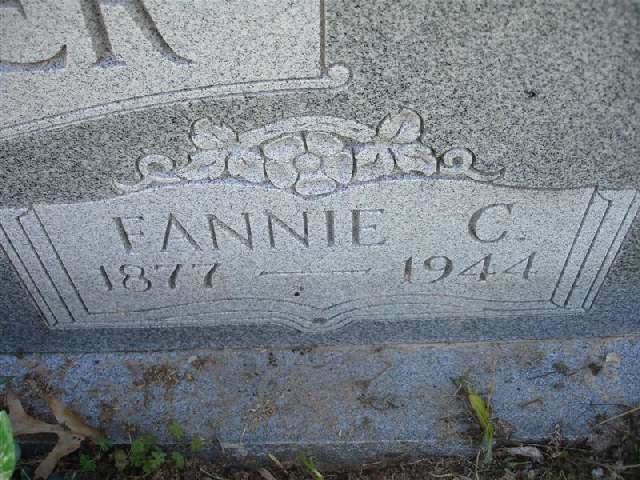 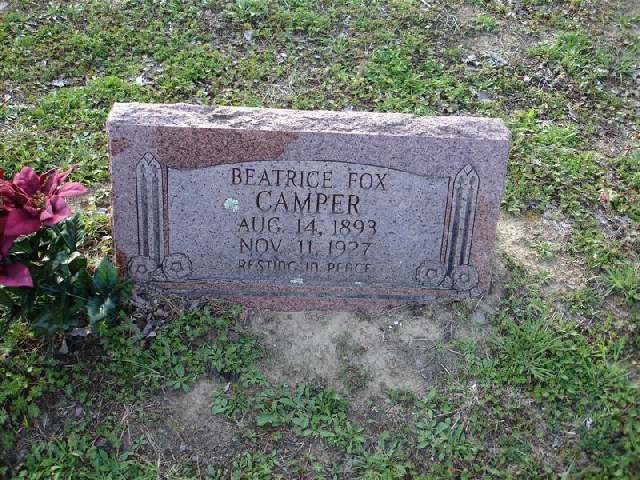 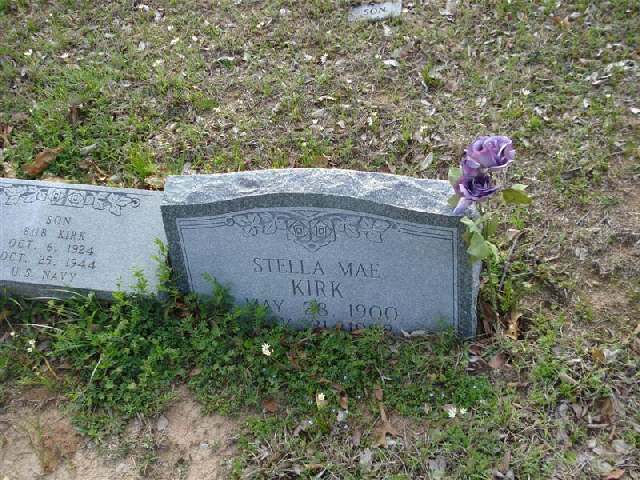 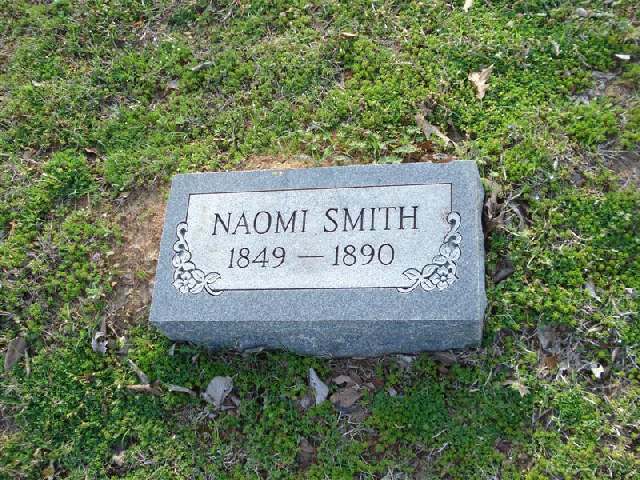 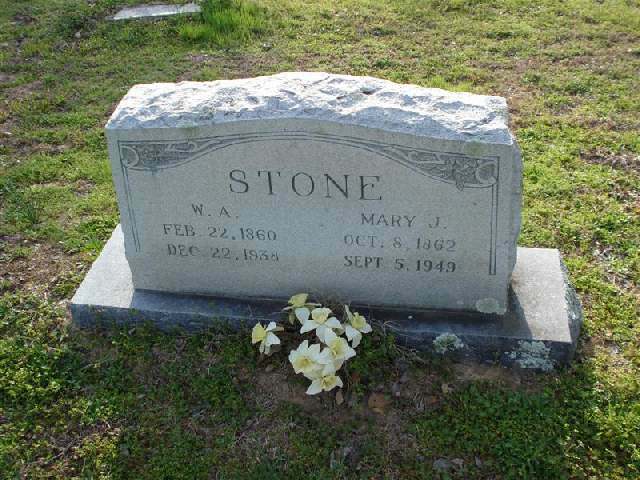 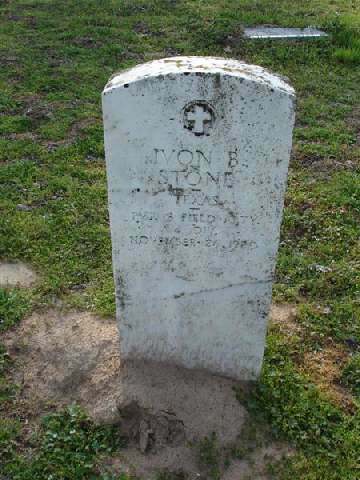 Tapp Funeral Home records say her initials were N.M.
stone marked with initials F.S. 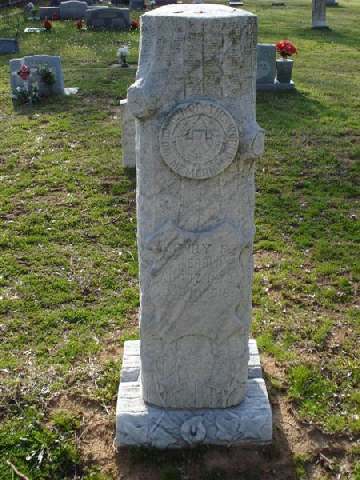 stone marked with initials G.S. 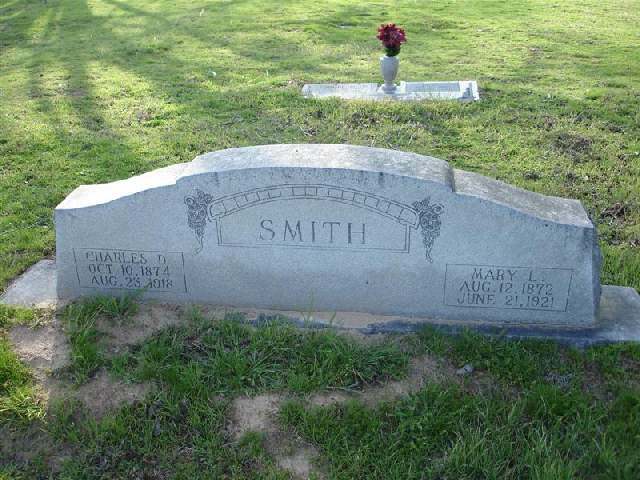 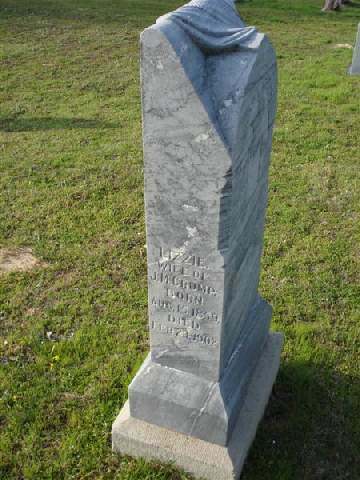 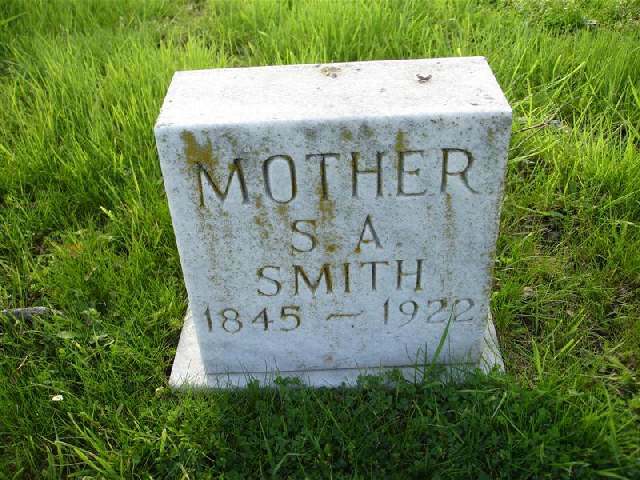 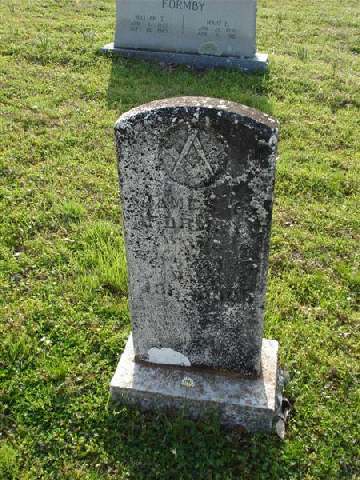 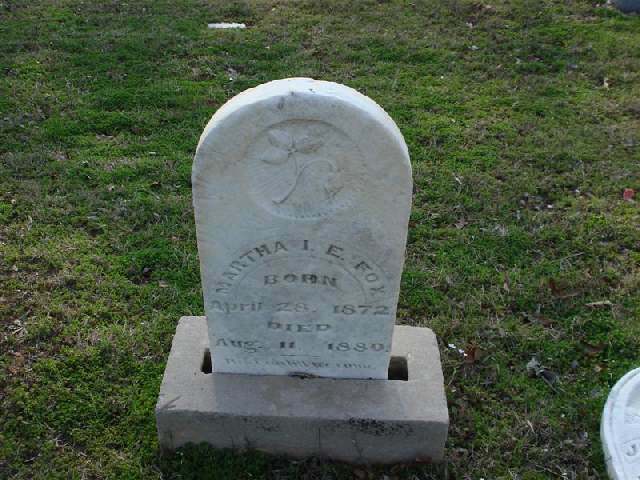 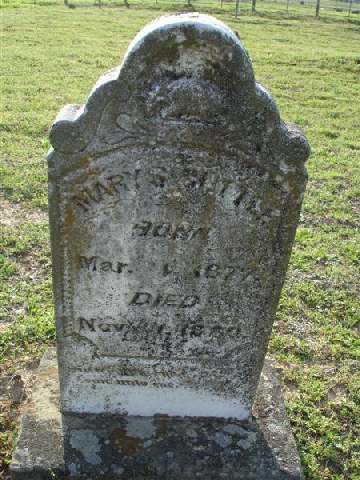 h/o Louisa Jane small stone with initials A.P.T. 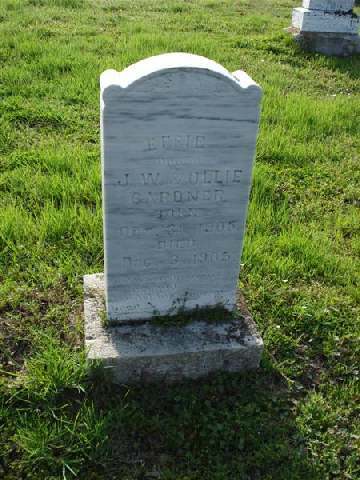 small stone with initials J.T. 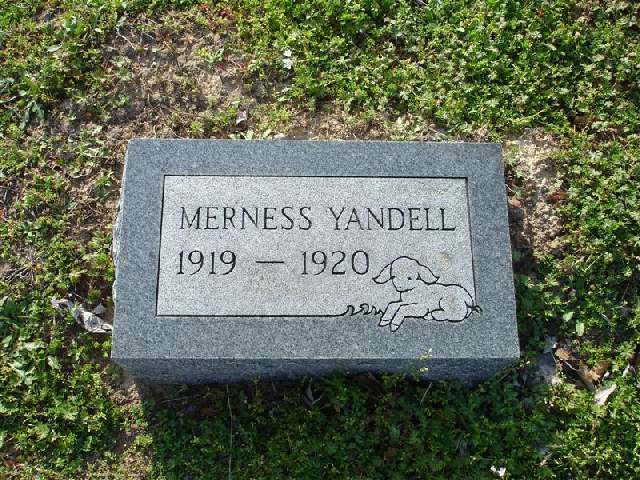 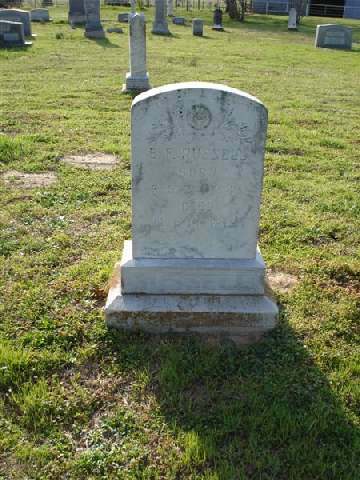 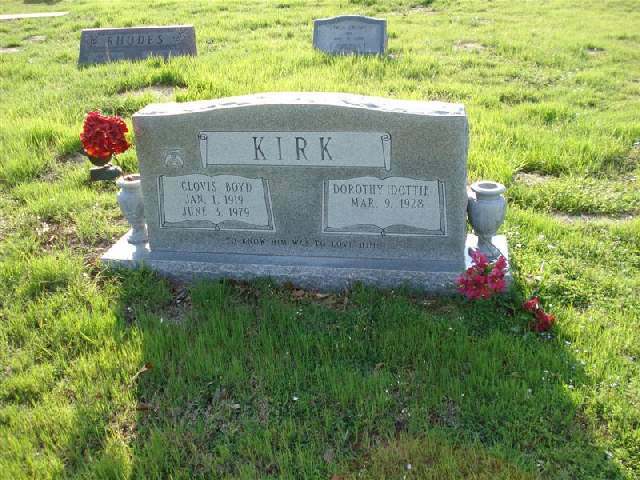 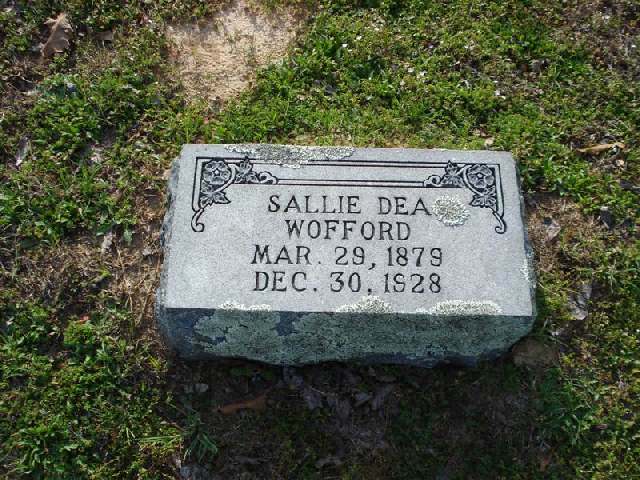 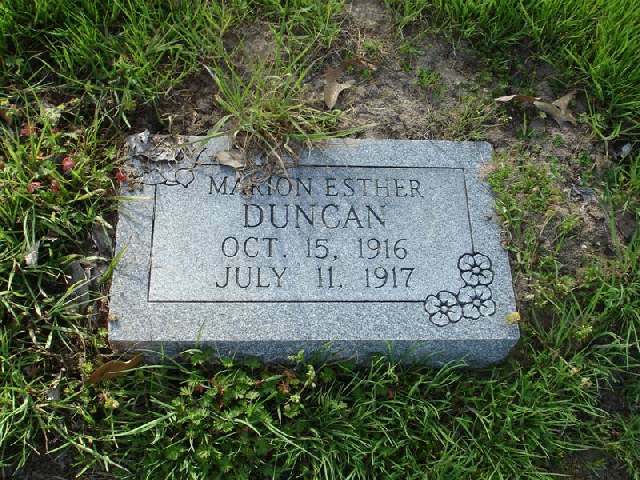 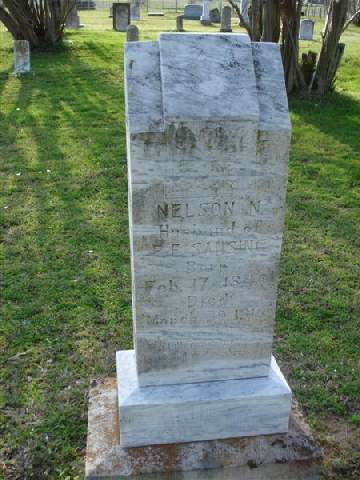 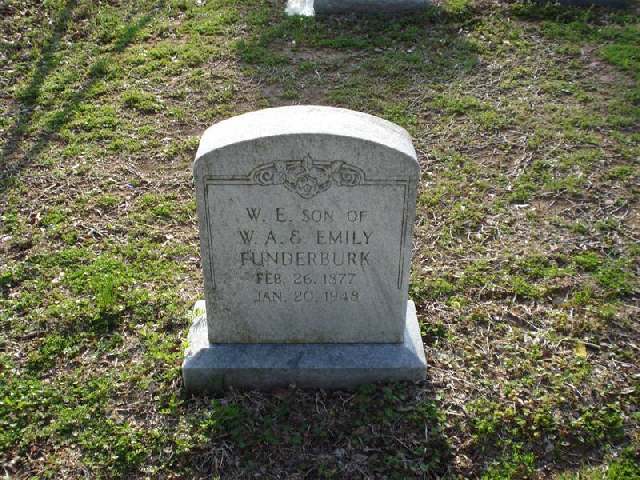 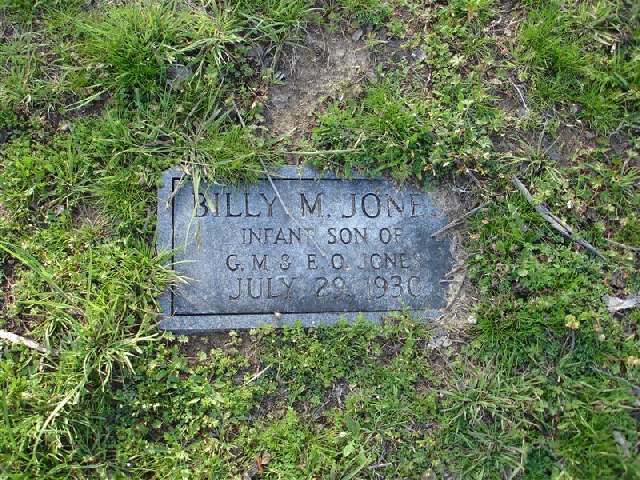 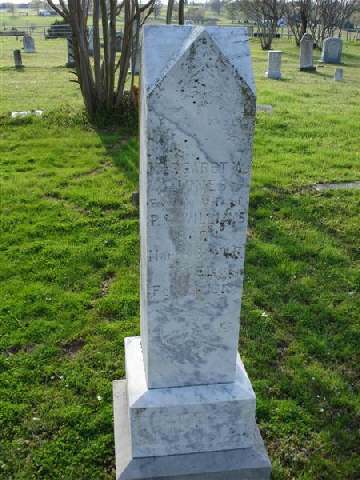 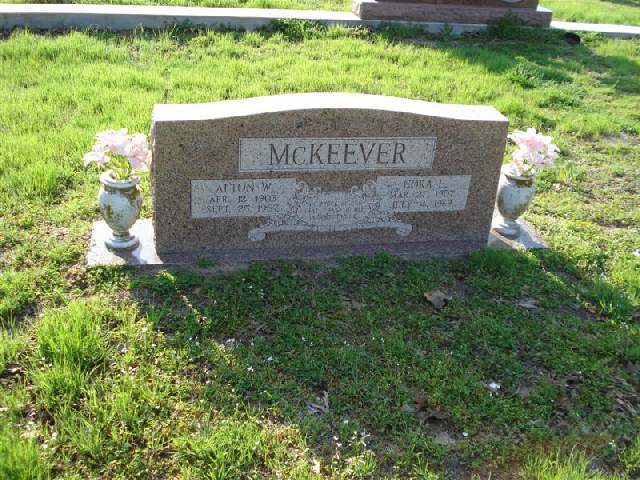 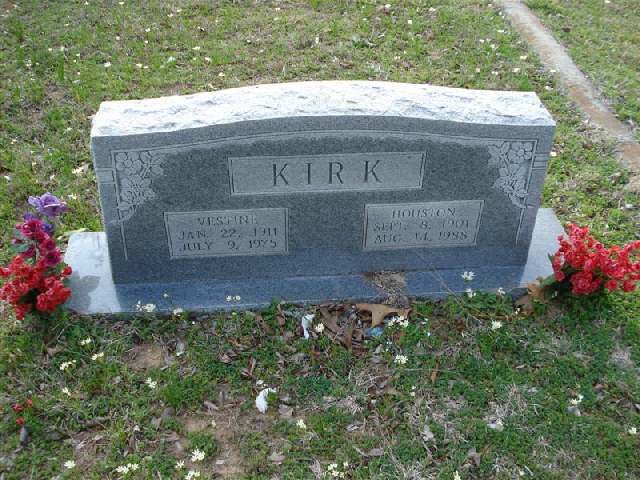 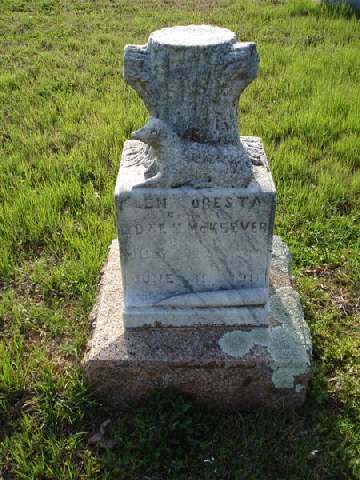 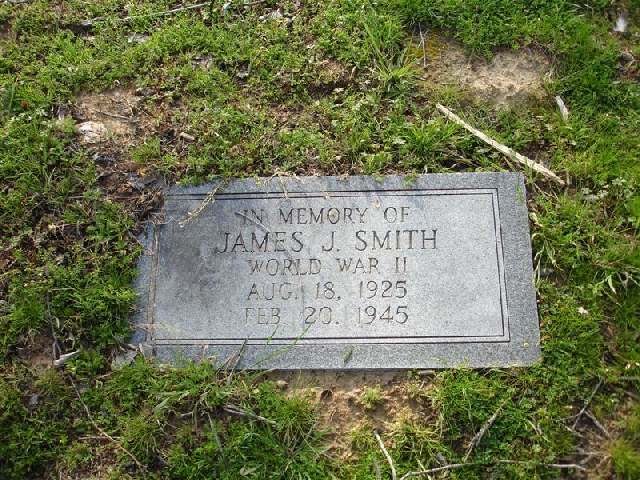 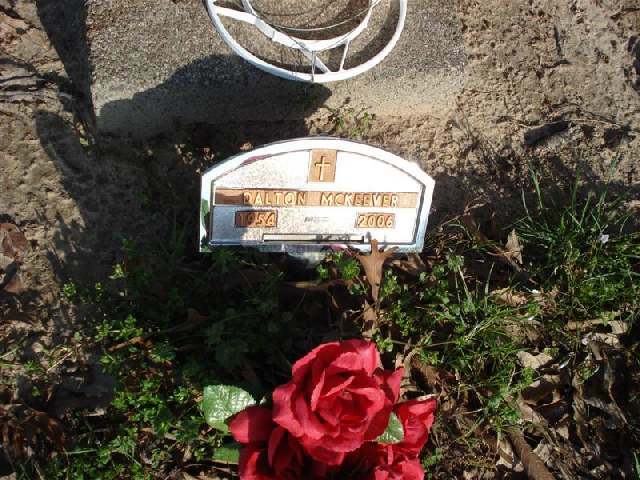 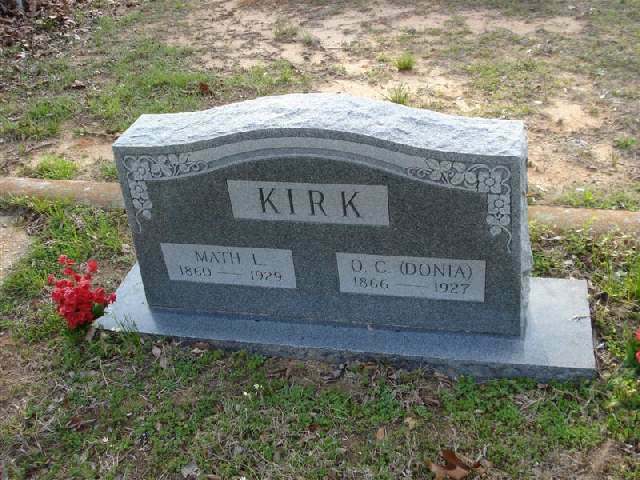 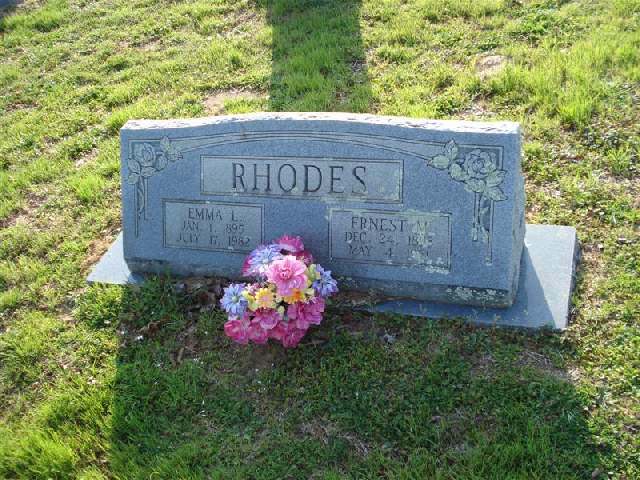 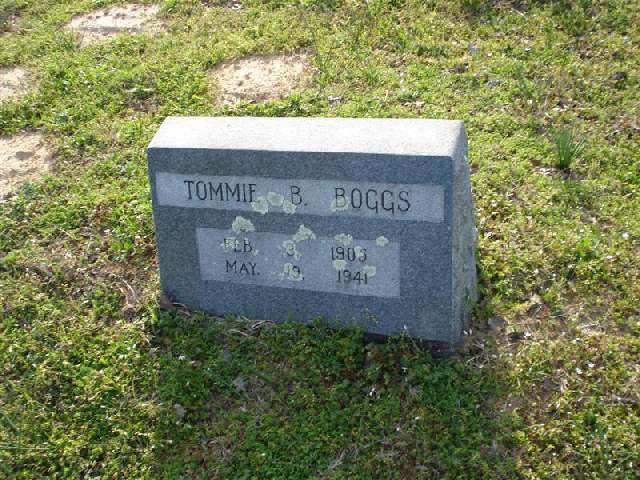 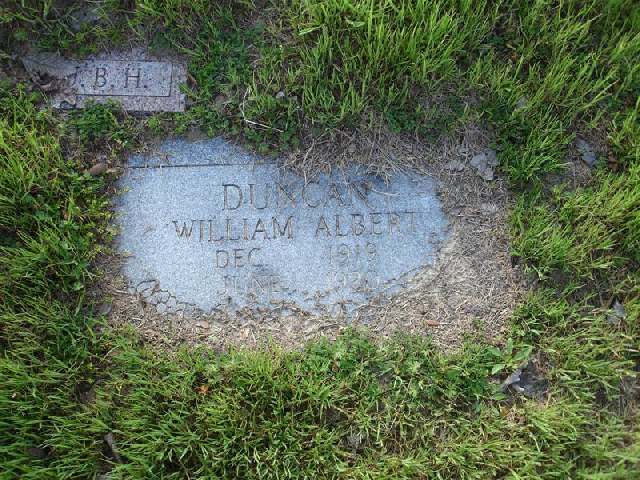 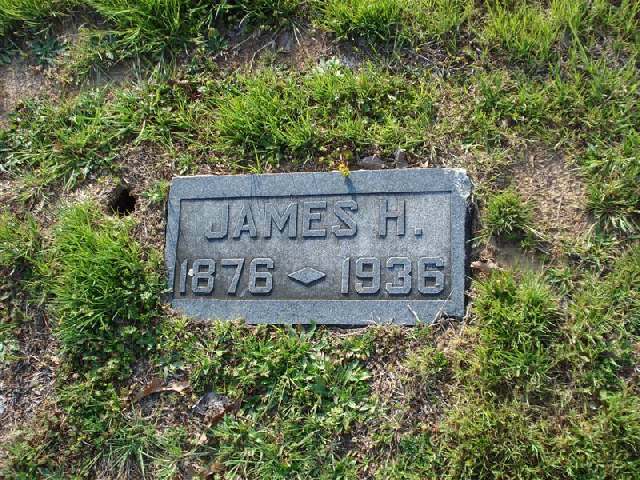 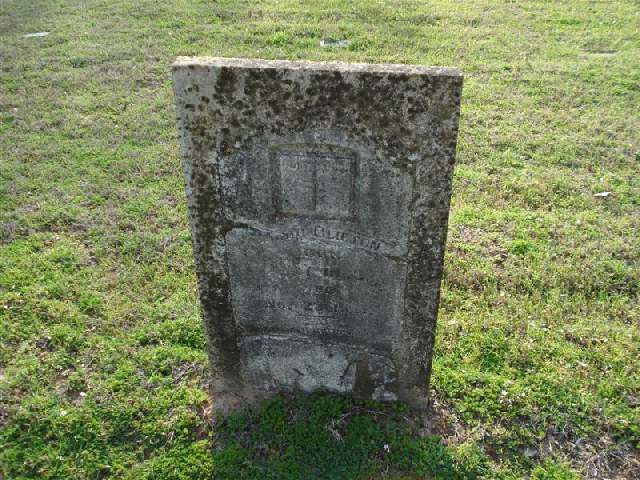 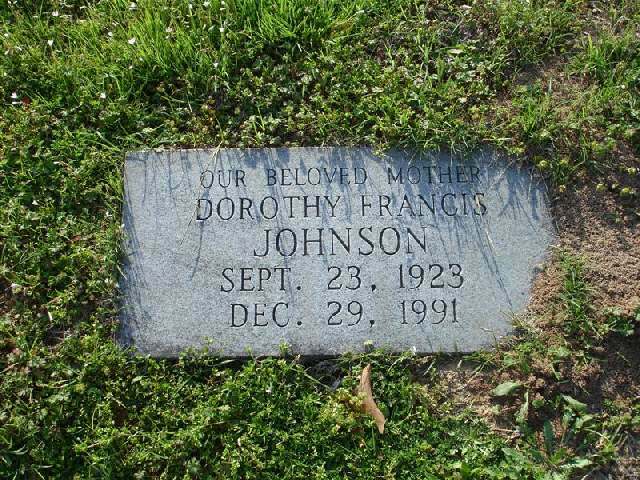 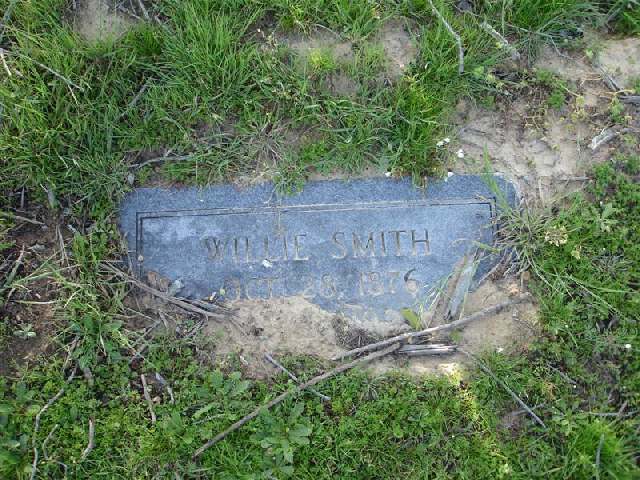 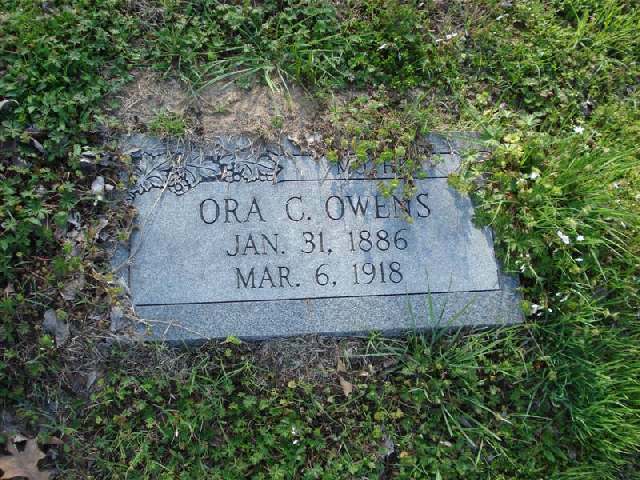 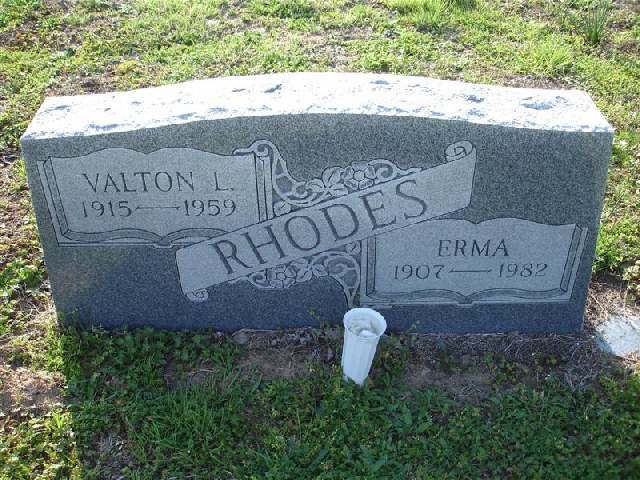 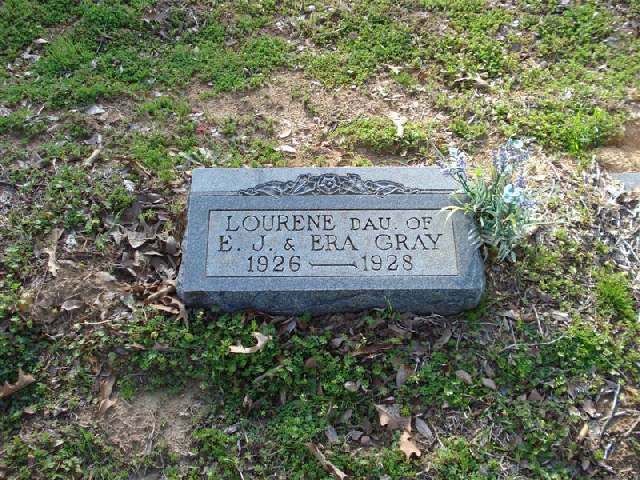 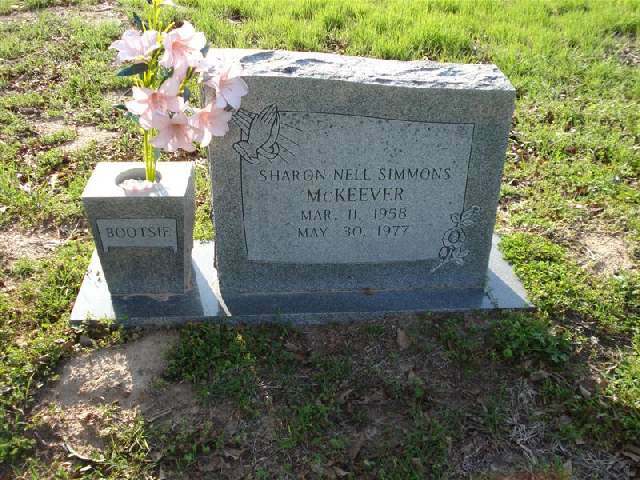 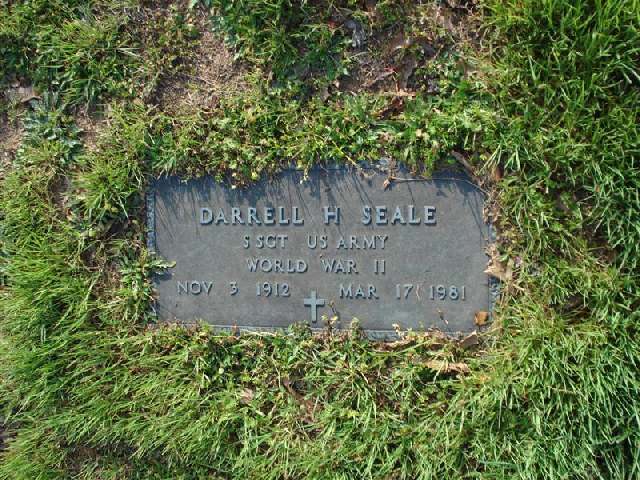 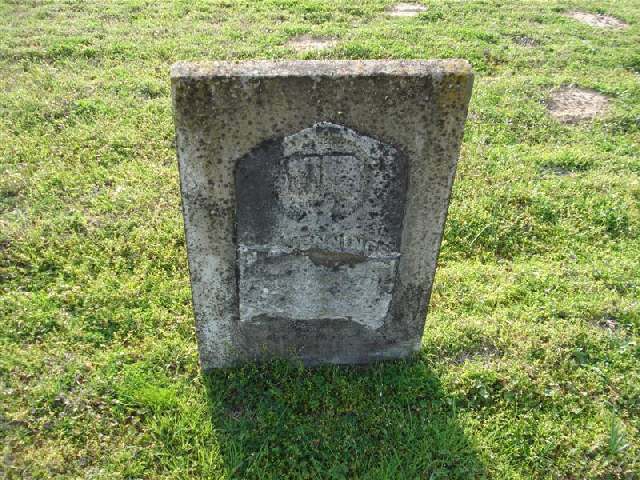 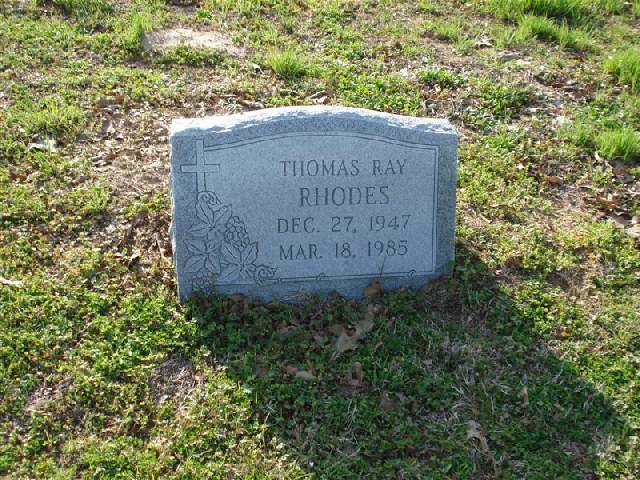 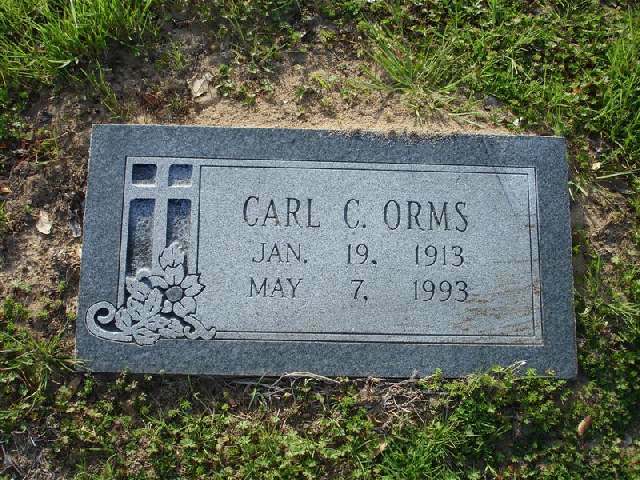 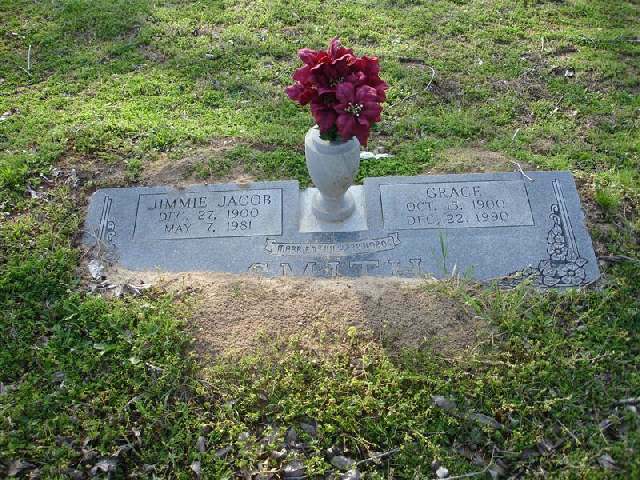 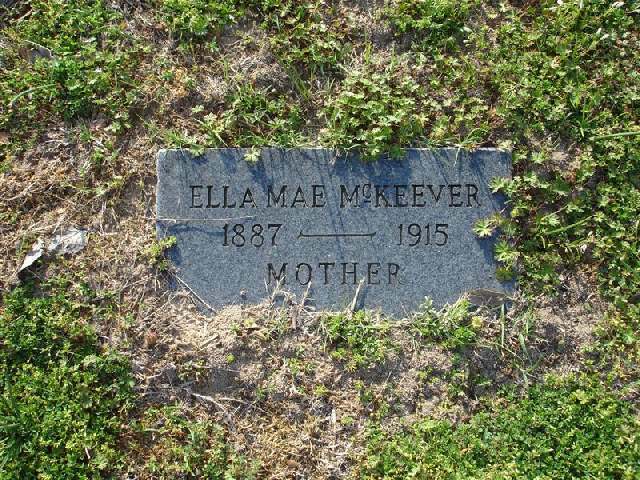 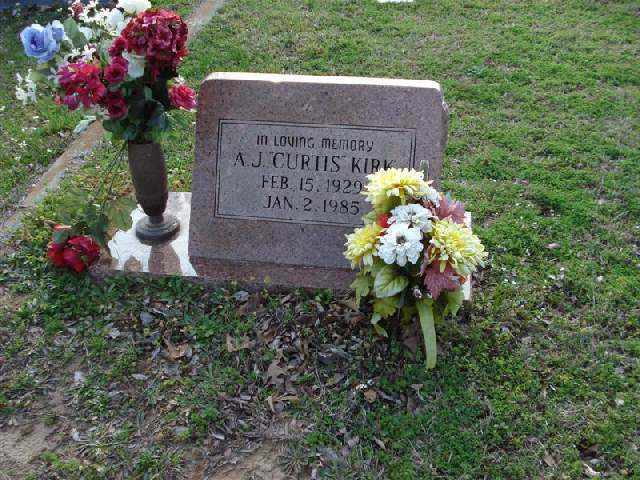 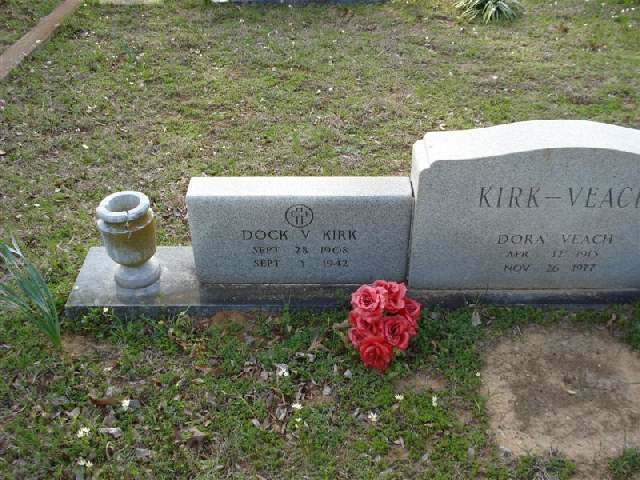 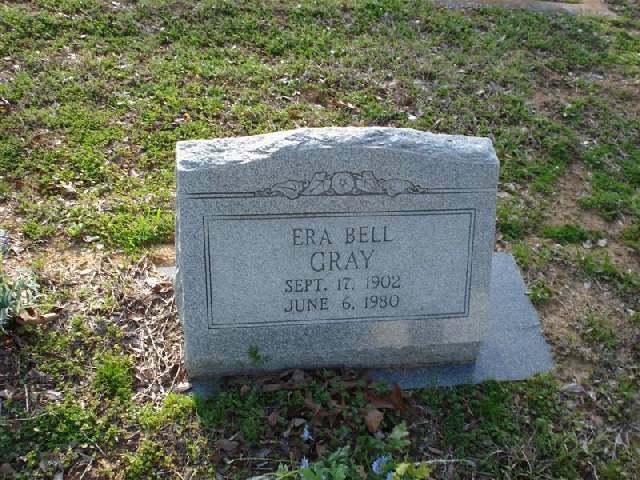 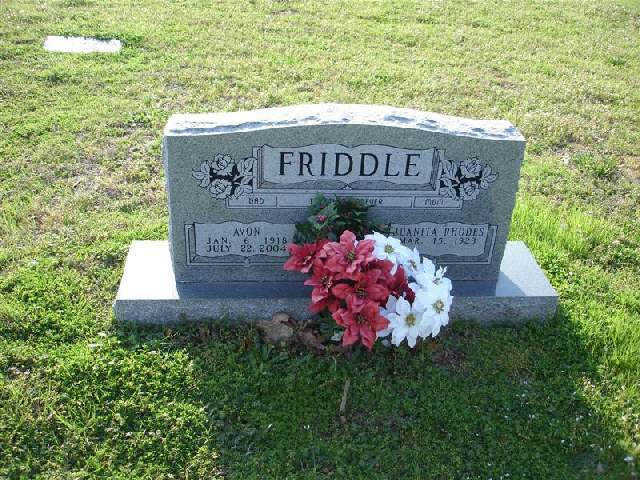 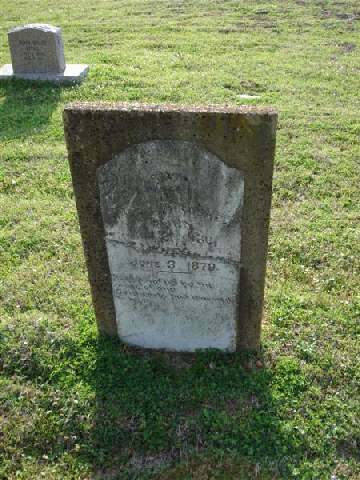 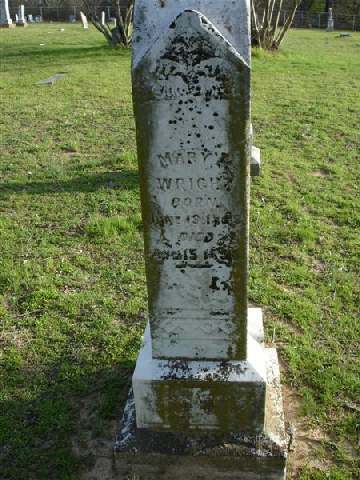 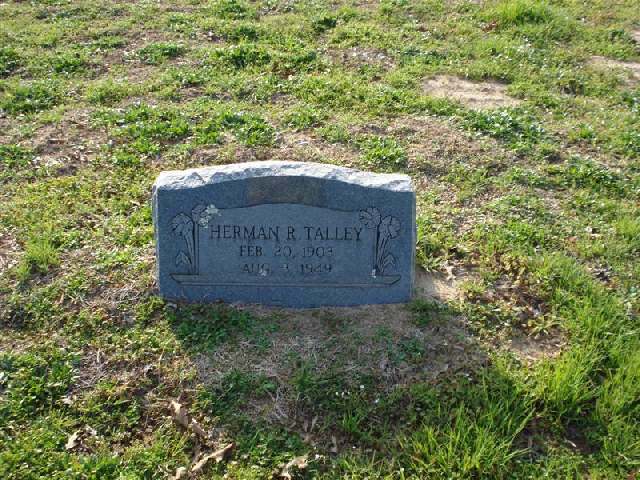 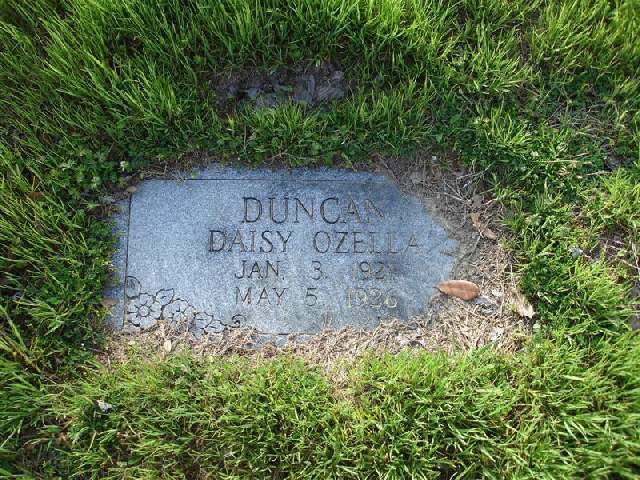 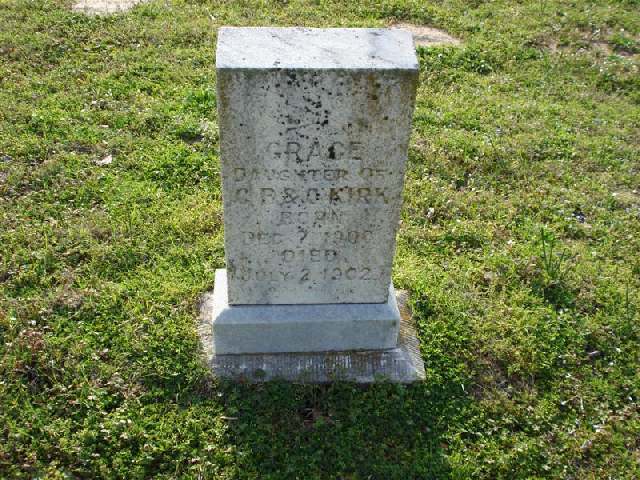 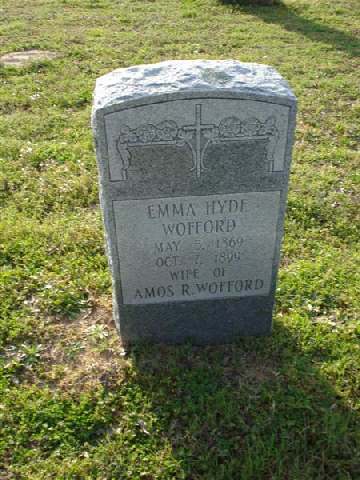 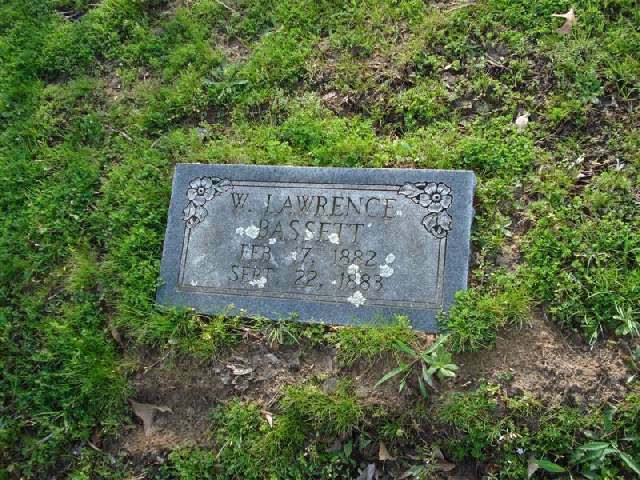 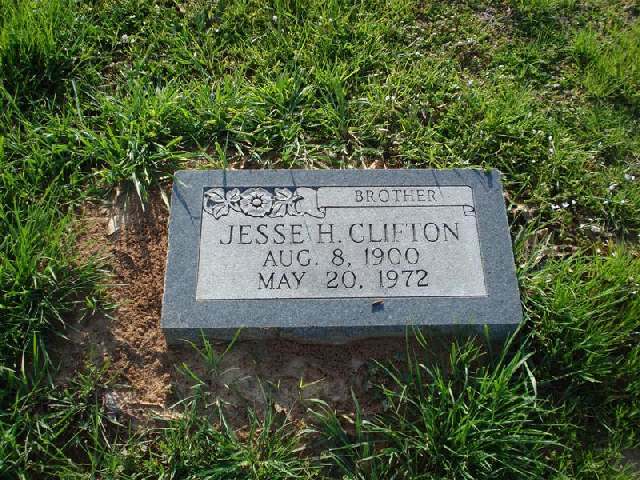 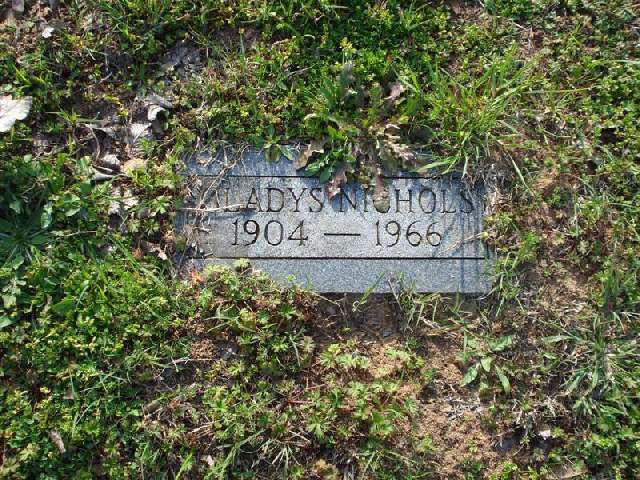 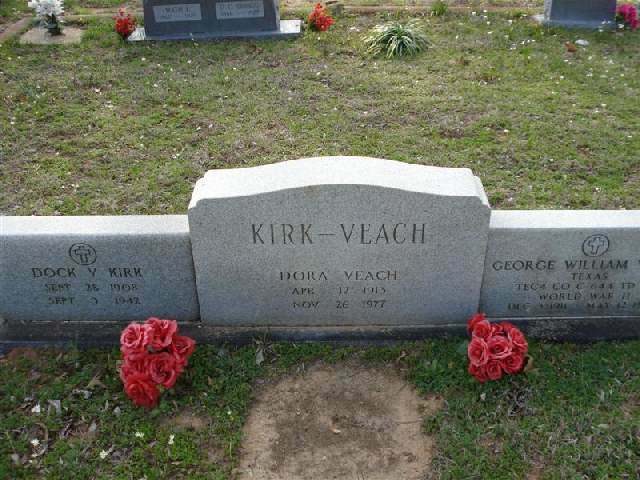 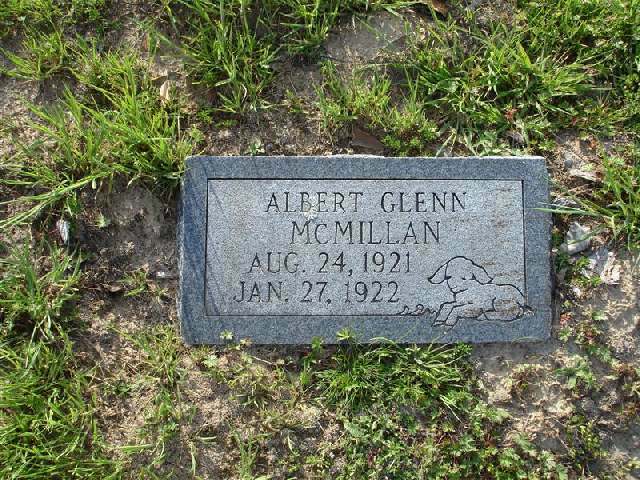 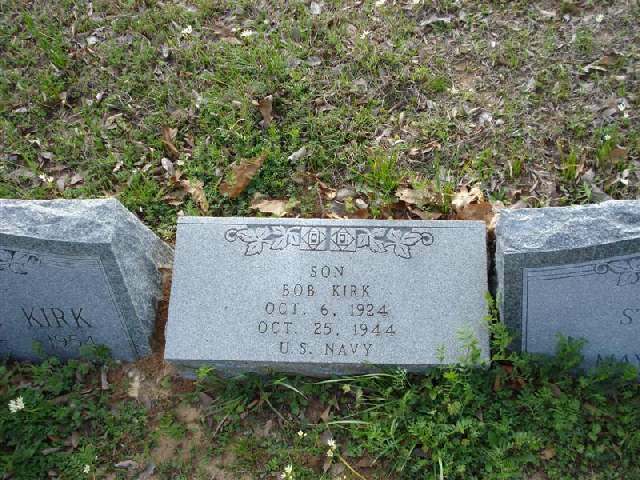 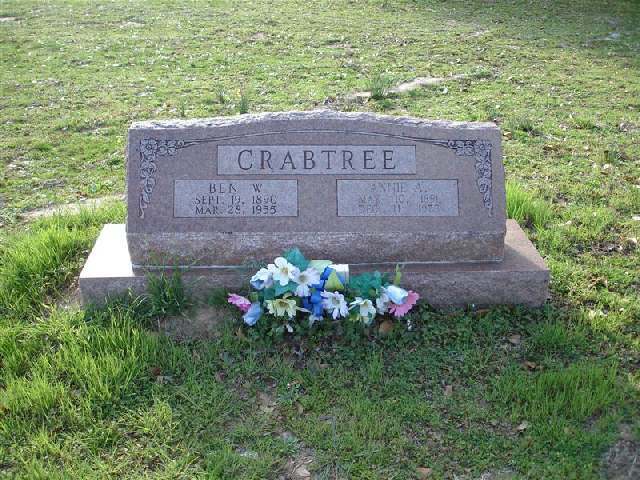 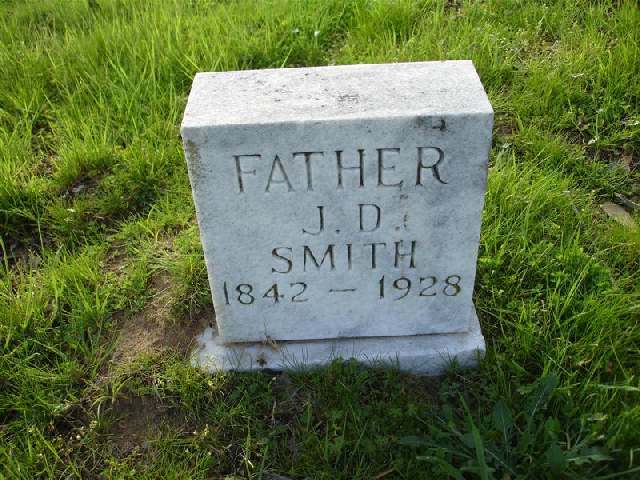 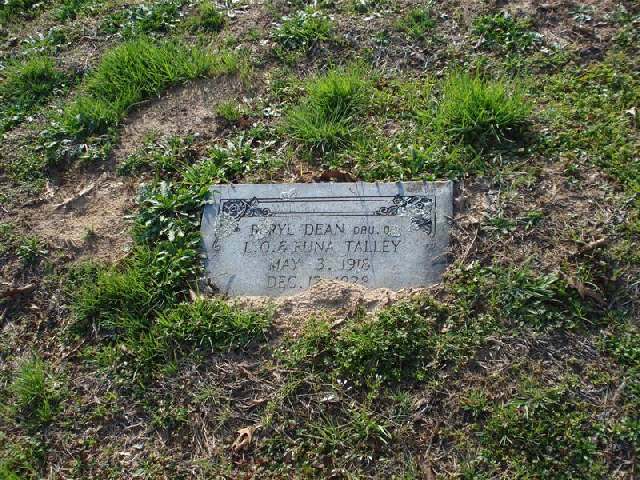 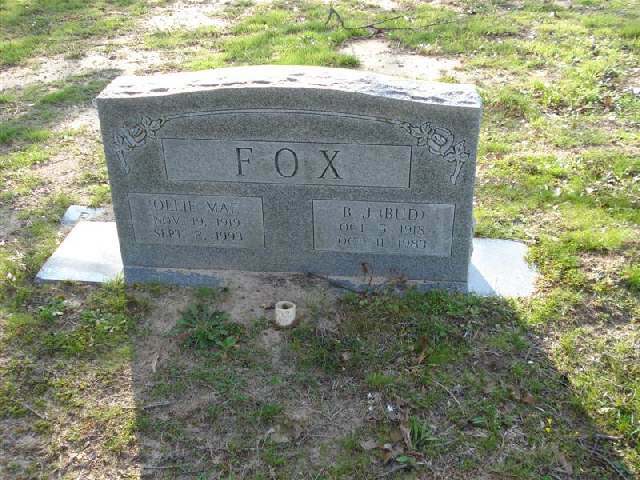 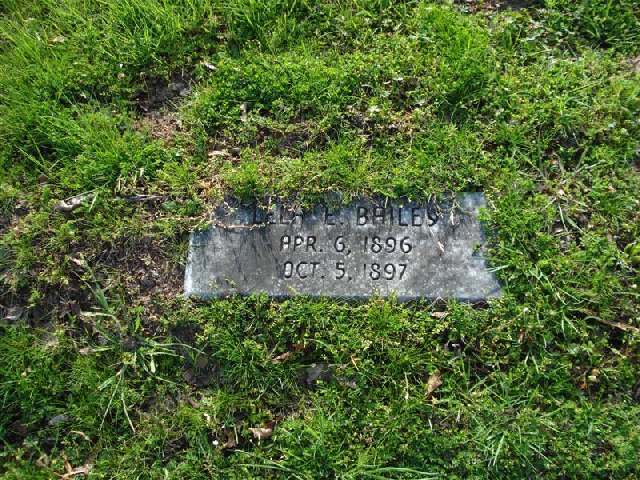 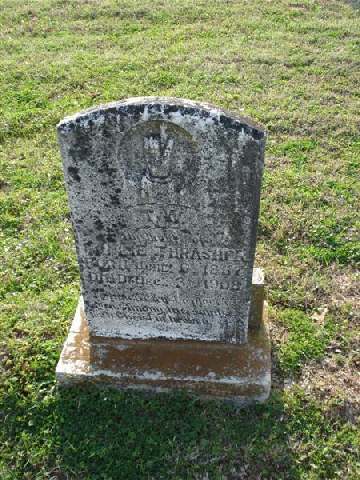 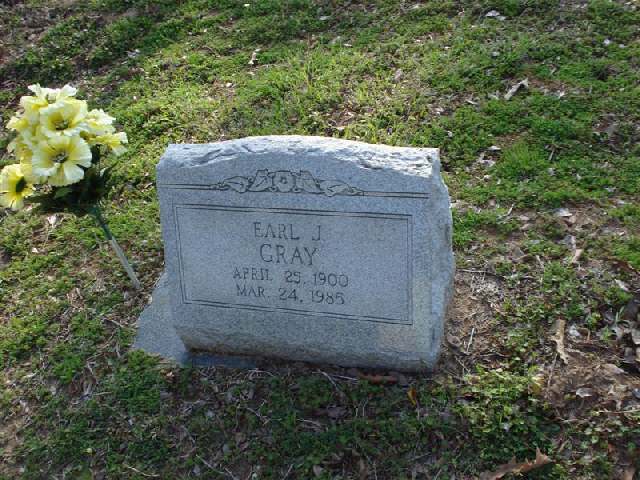 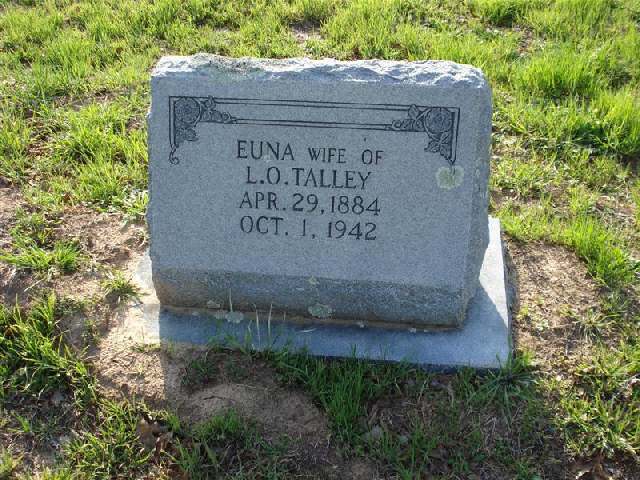 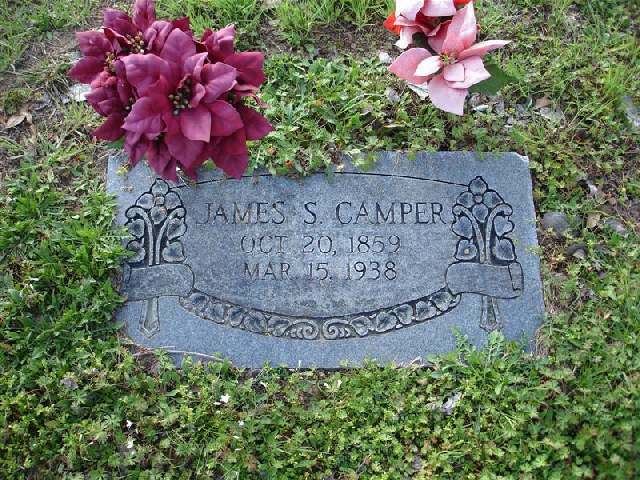 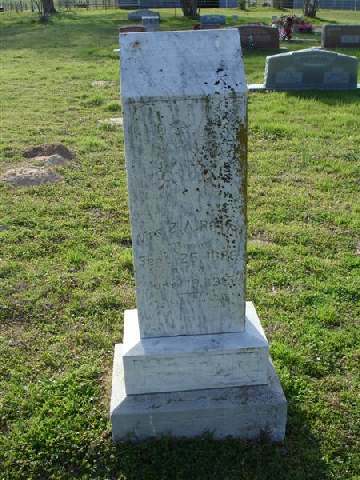 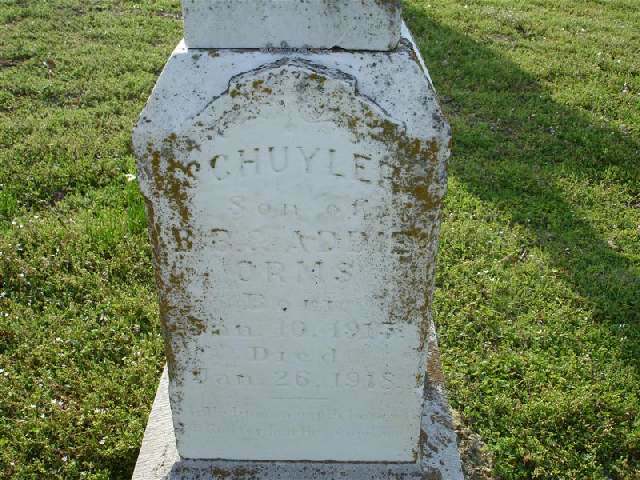 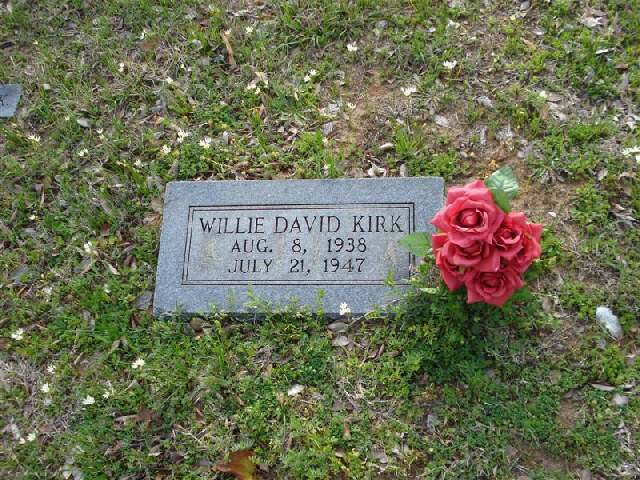 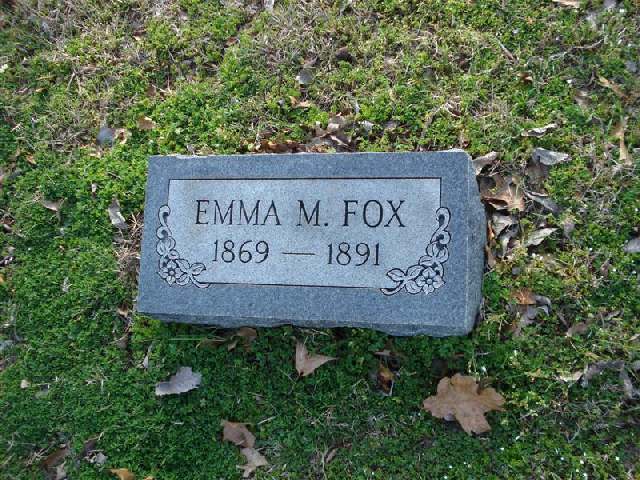 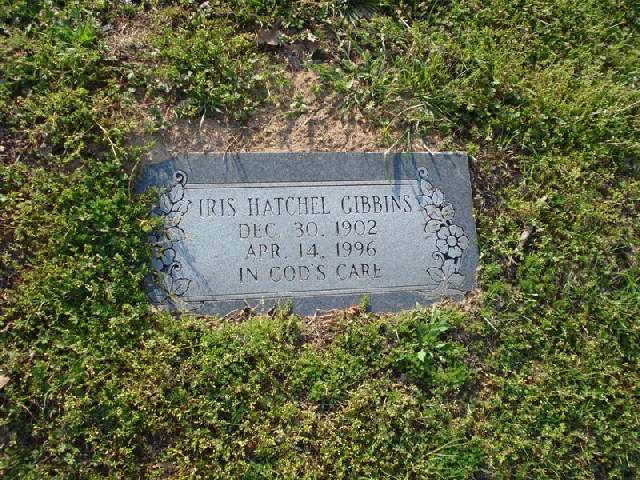 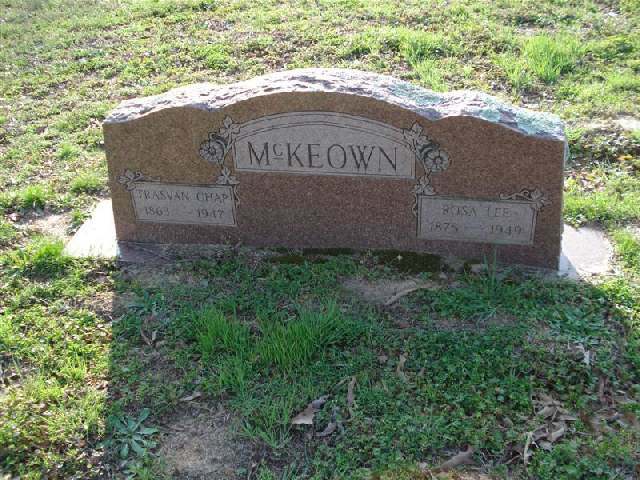 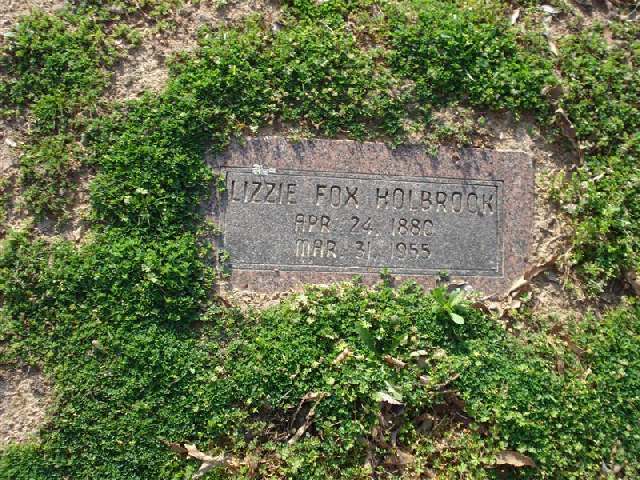 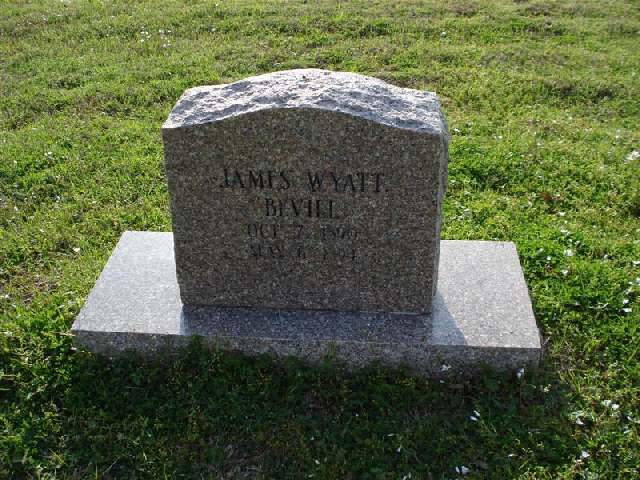 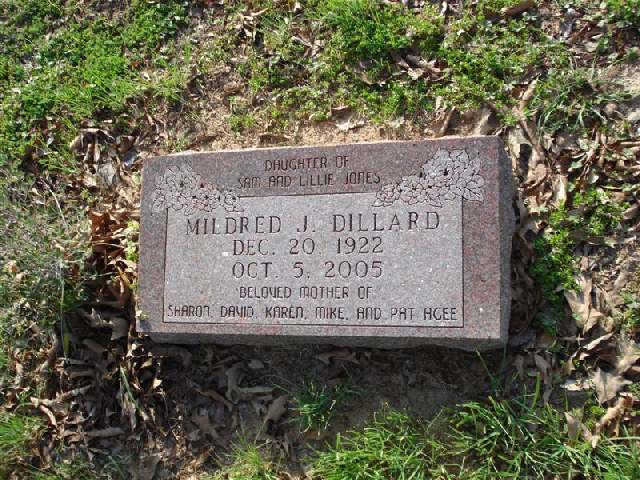 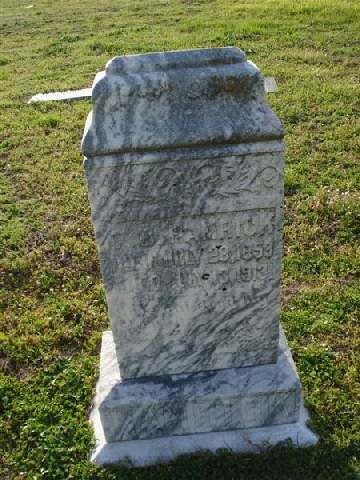 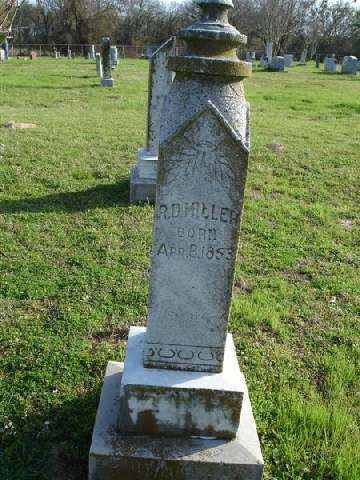 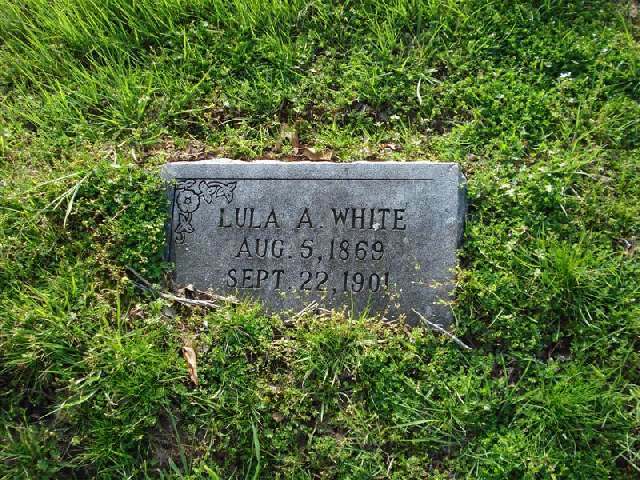 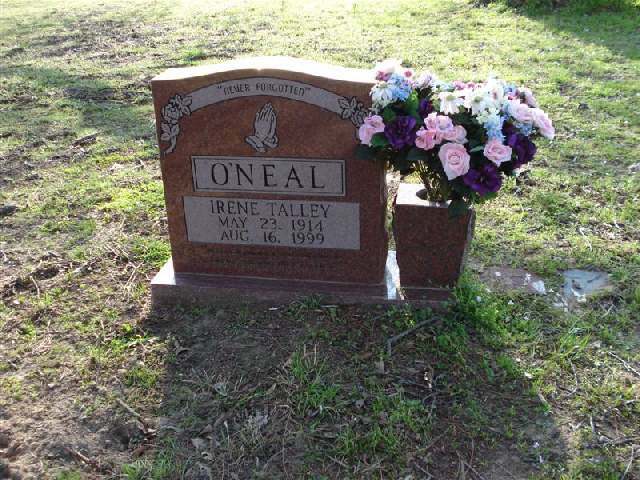 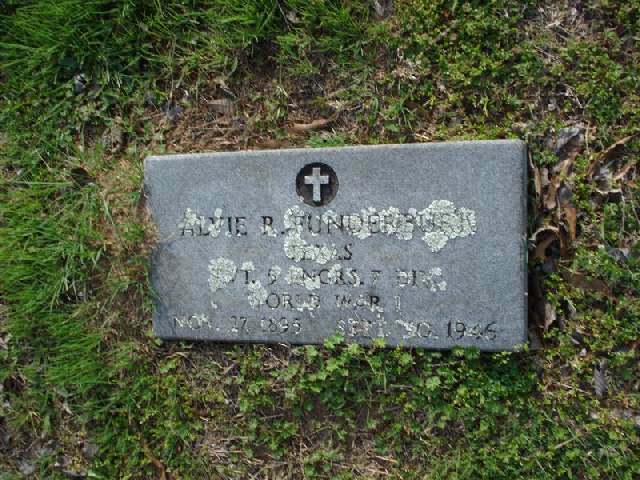 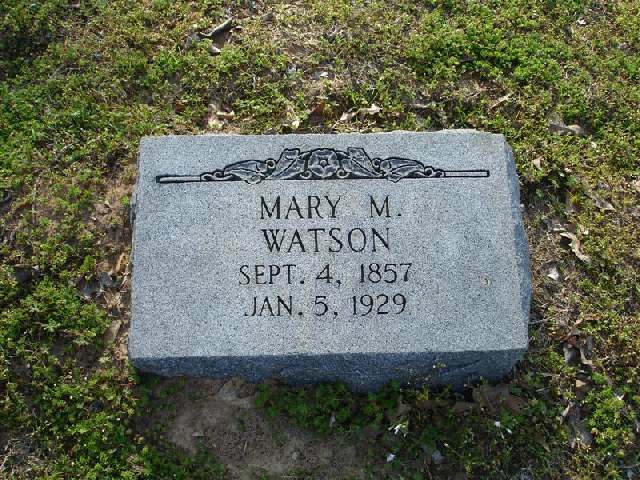 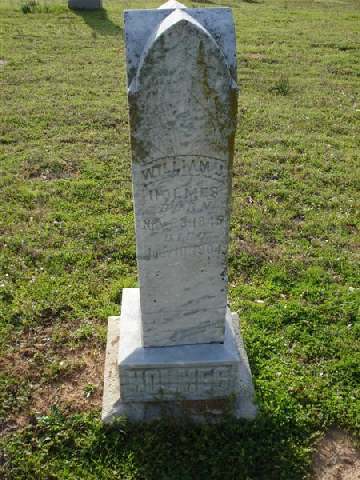 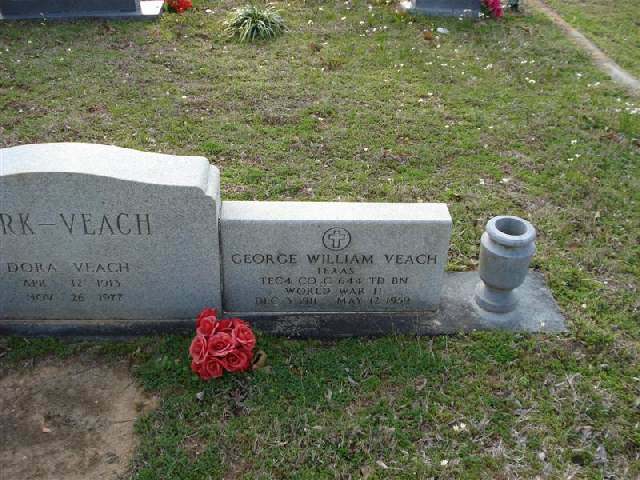 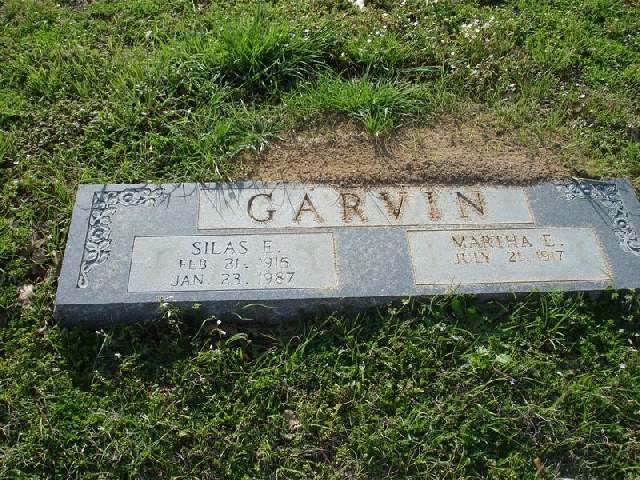 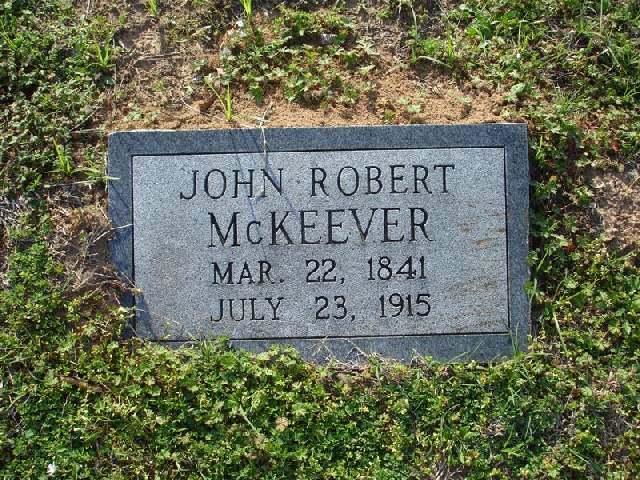 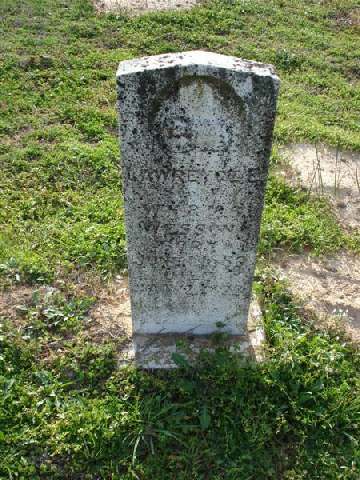 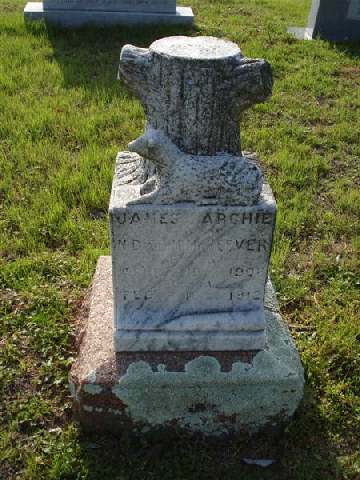 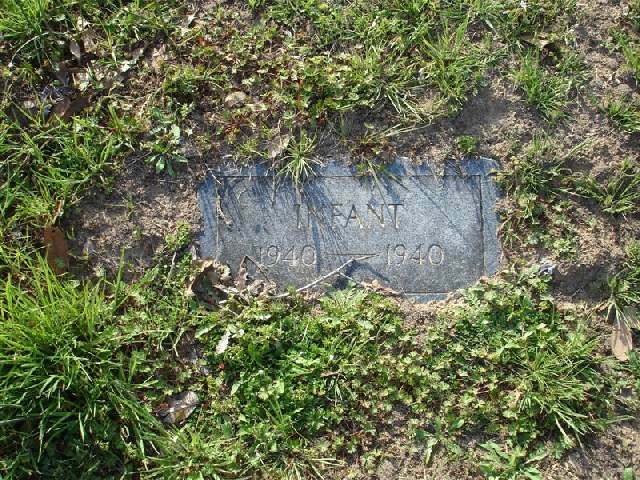 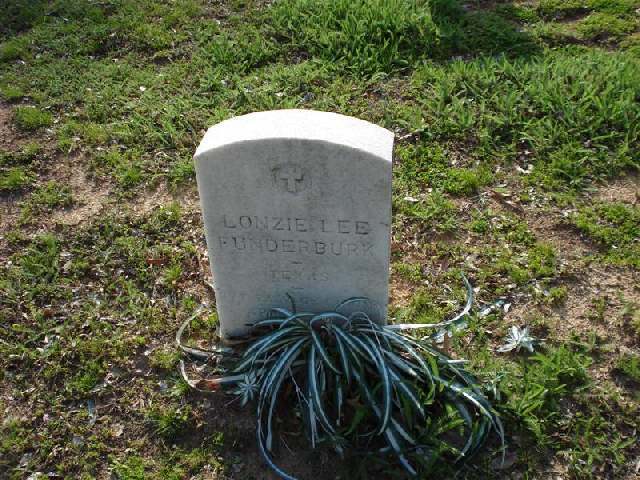 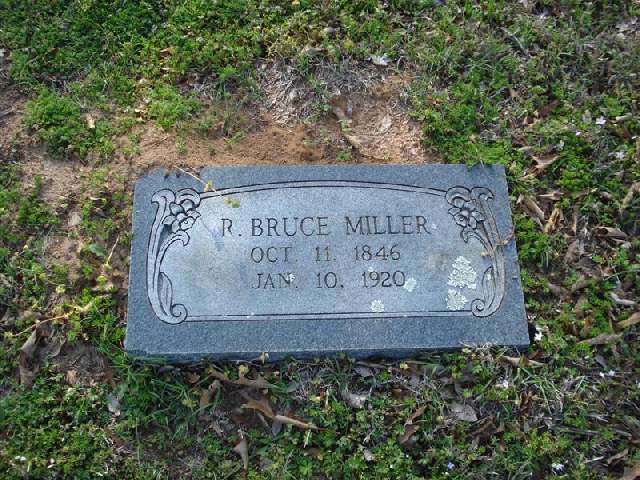 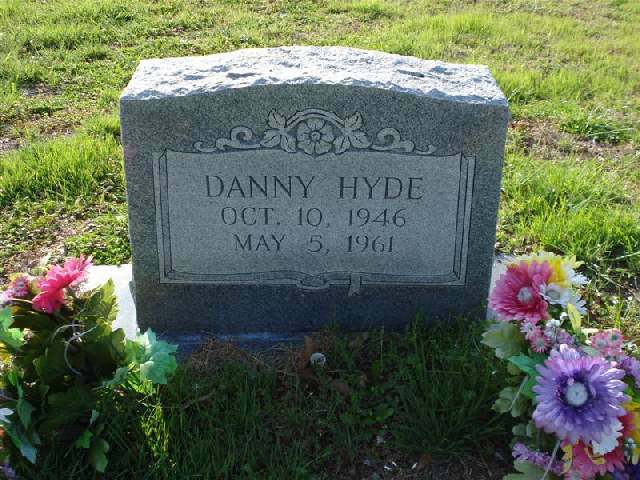 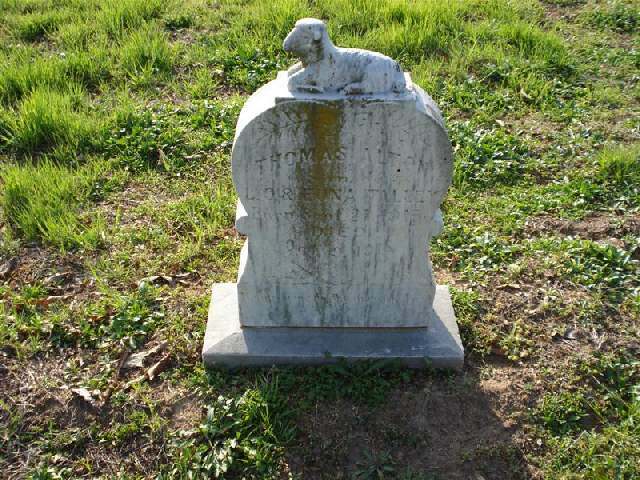 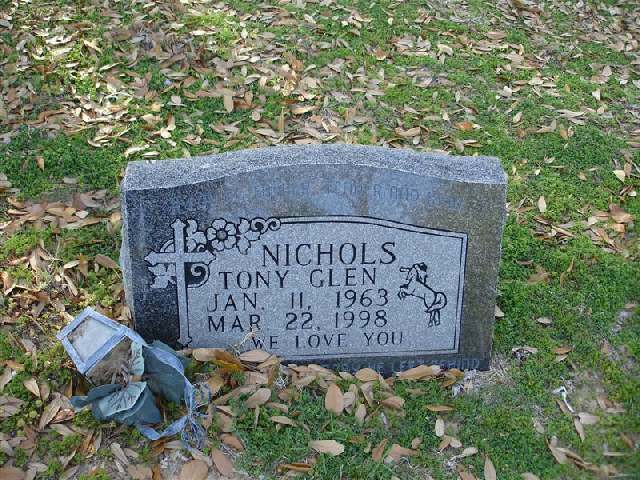 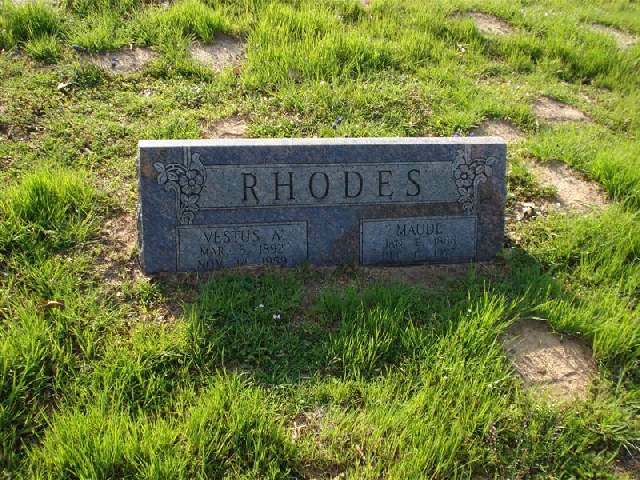 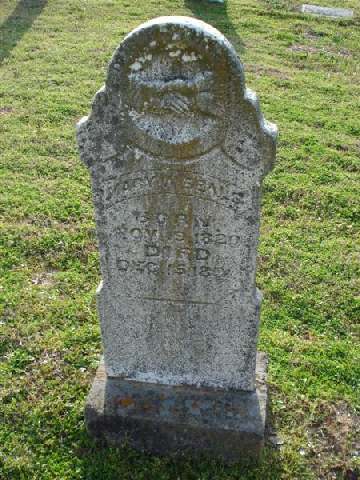 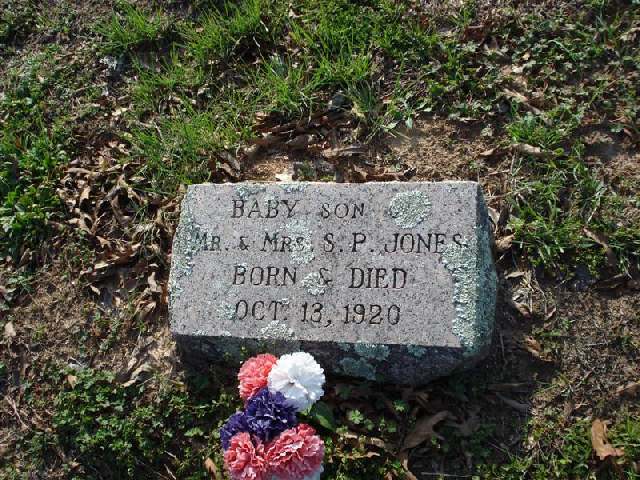 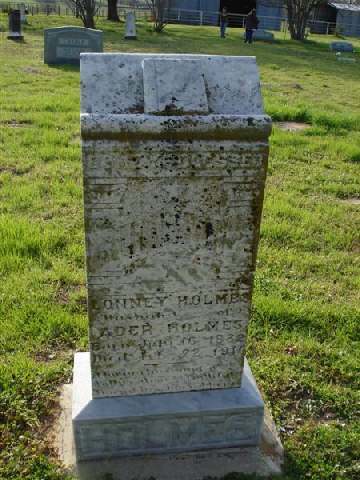 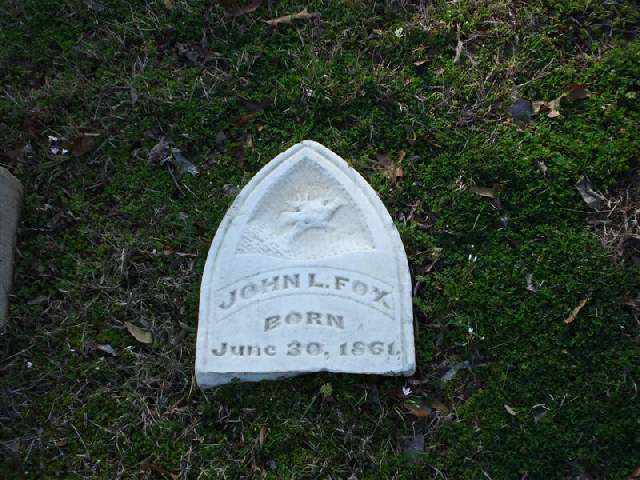 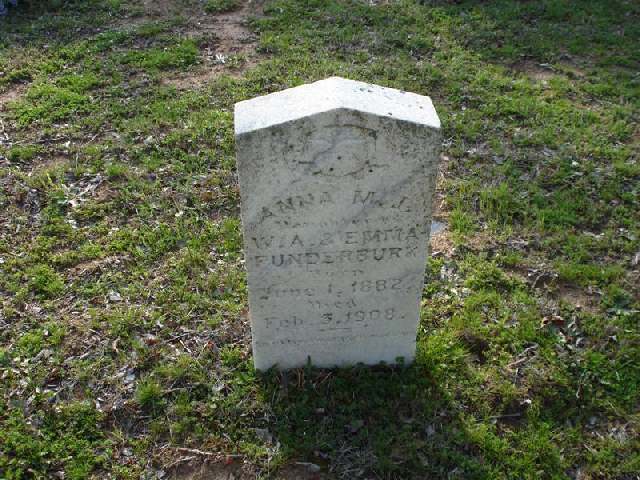 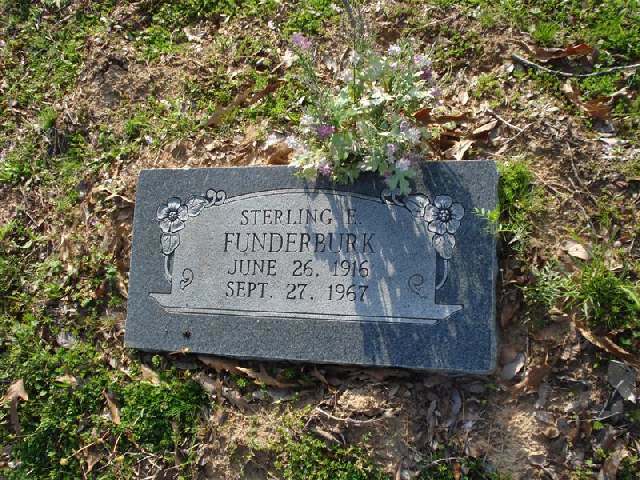 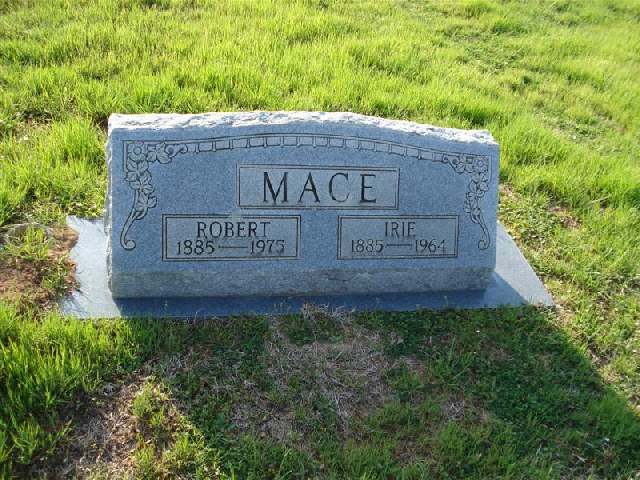 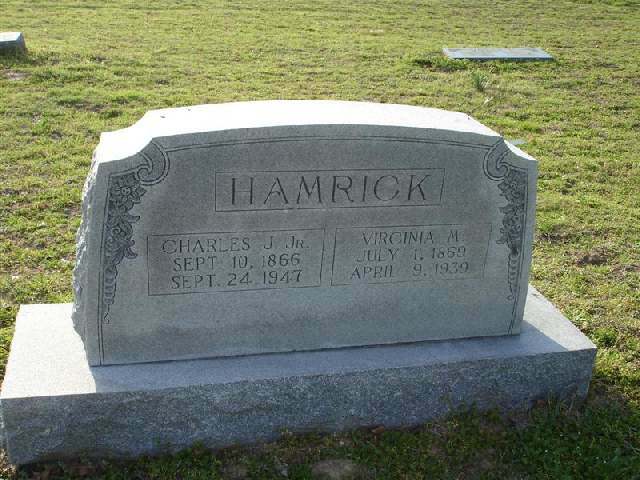 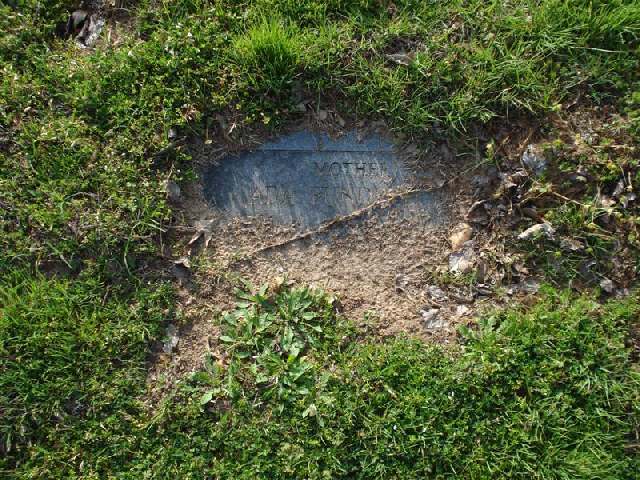 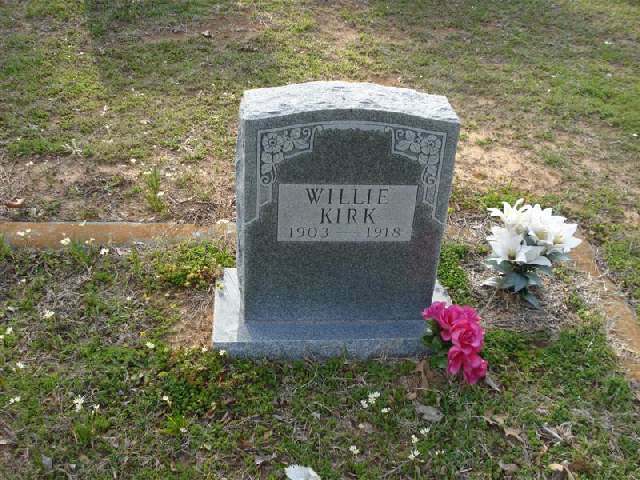 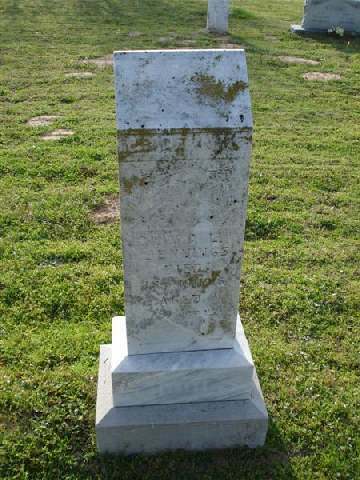 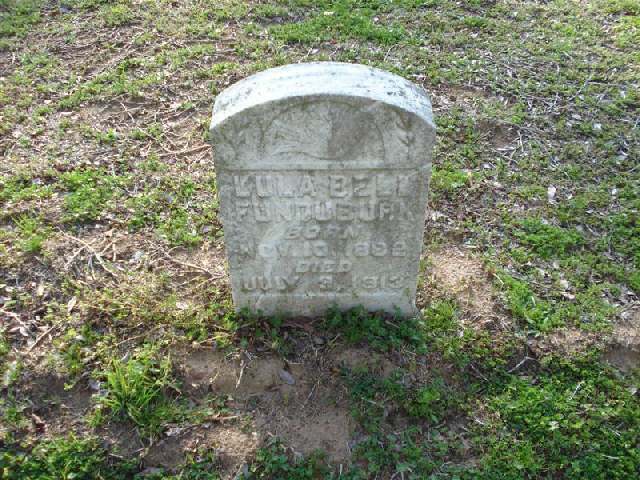 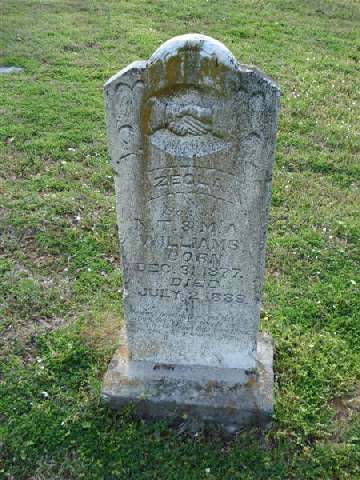 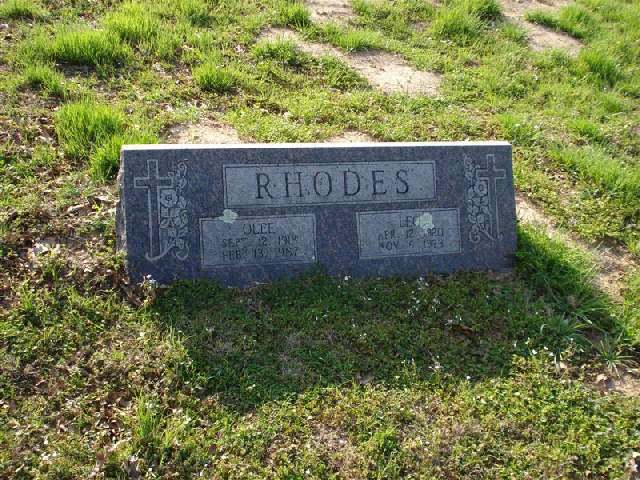 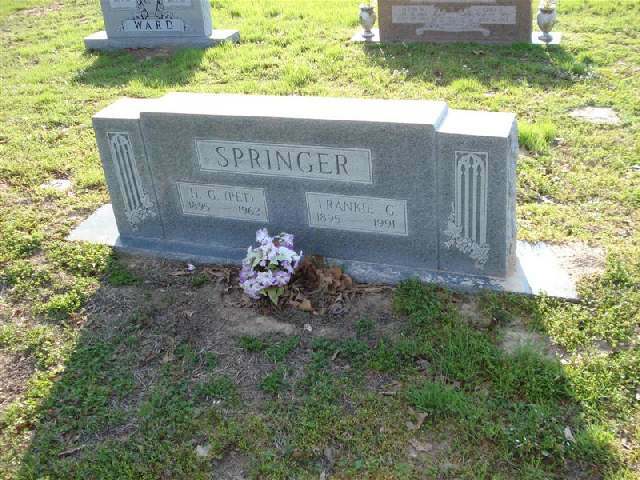 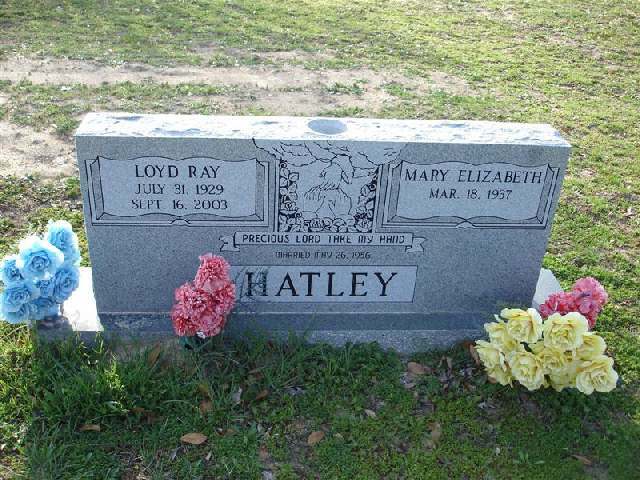 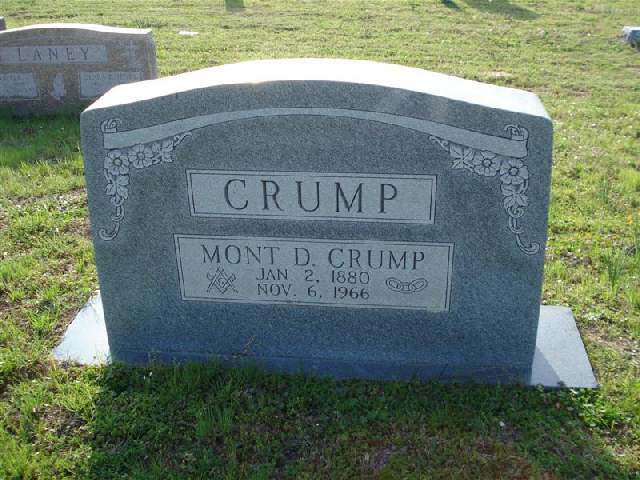 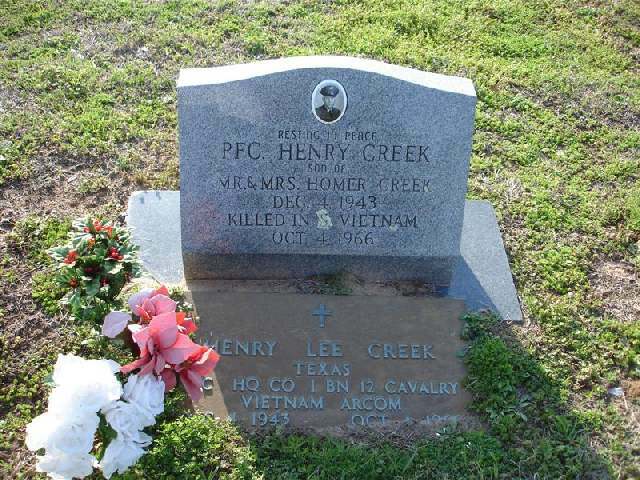 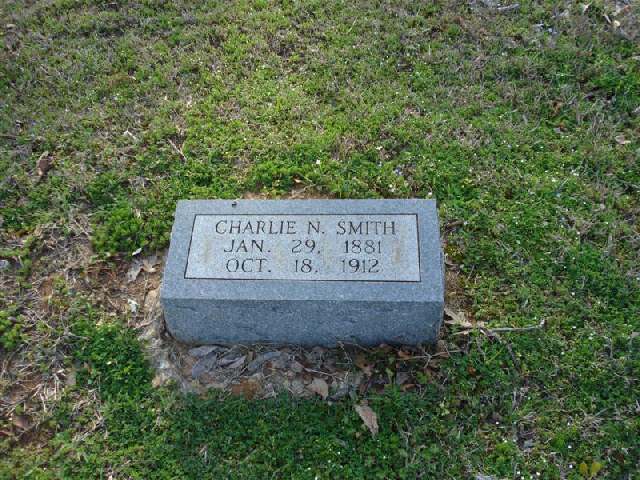 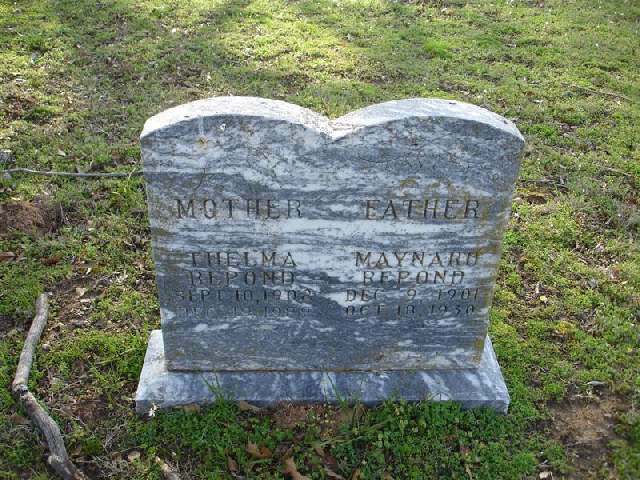 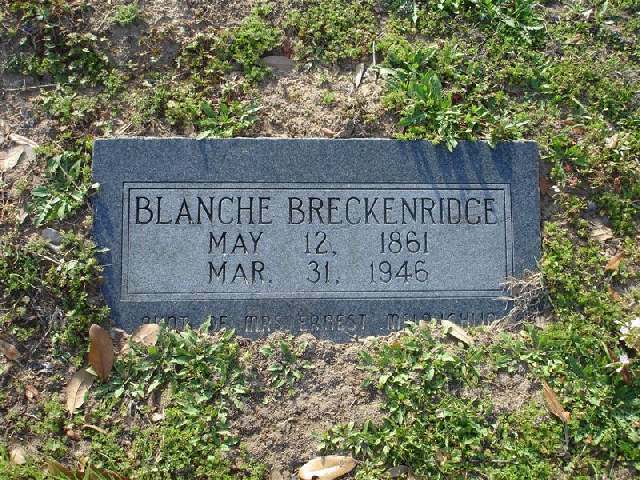 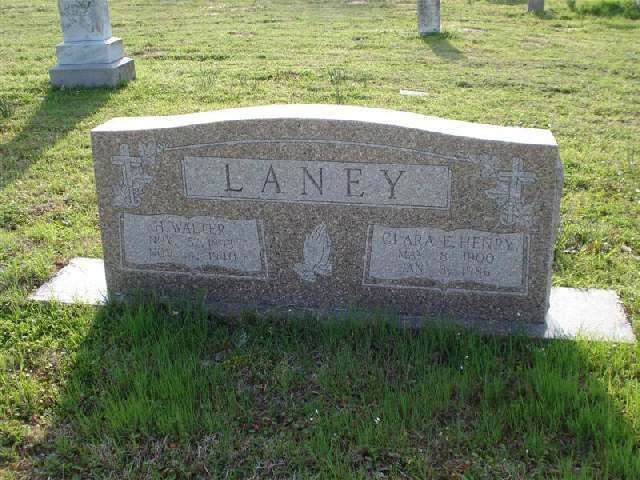 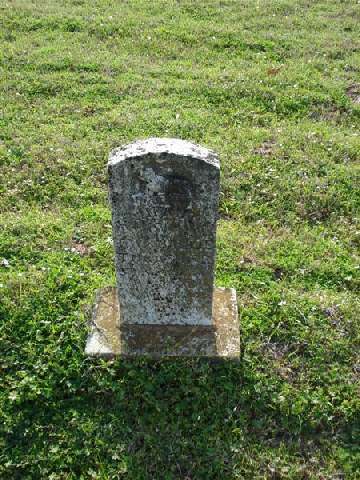 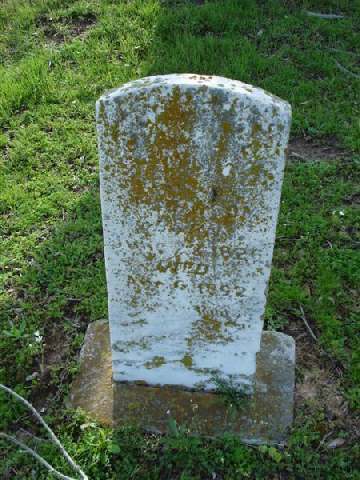 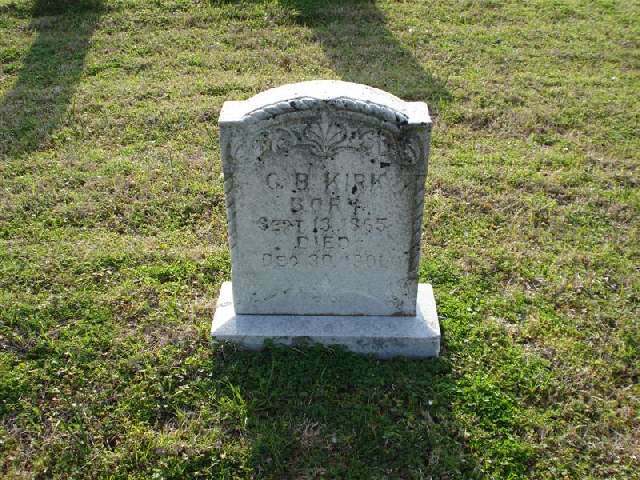 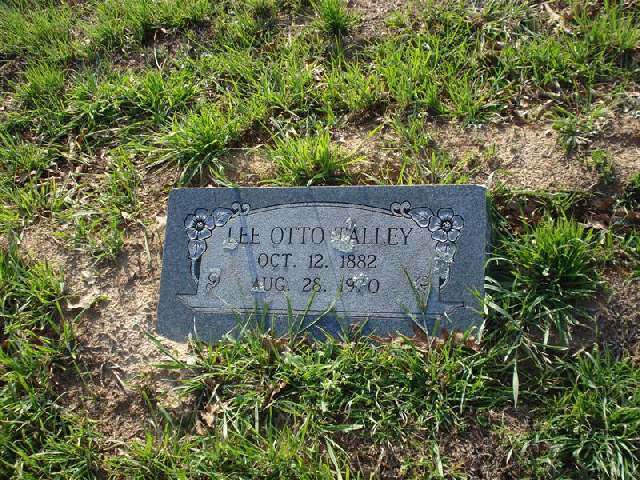 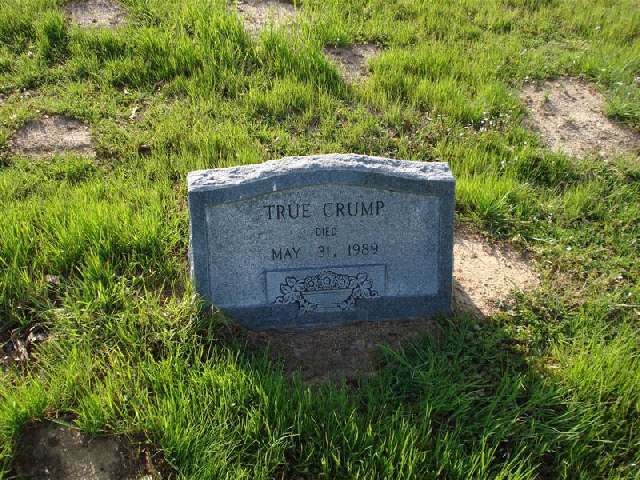 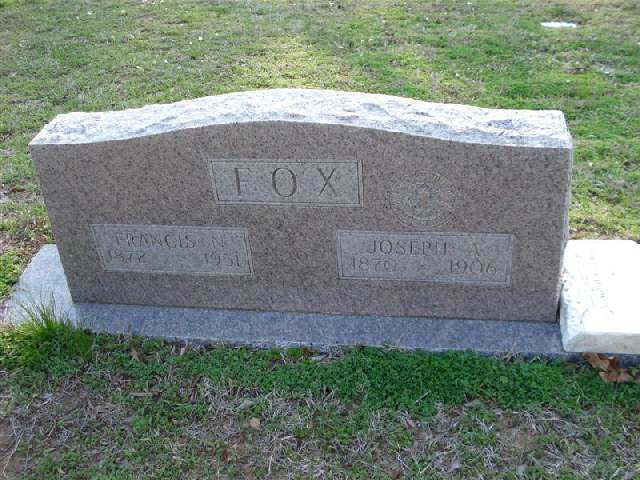 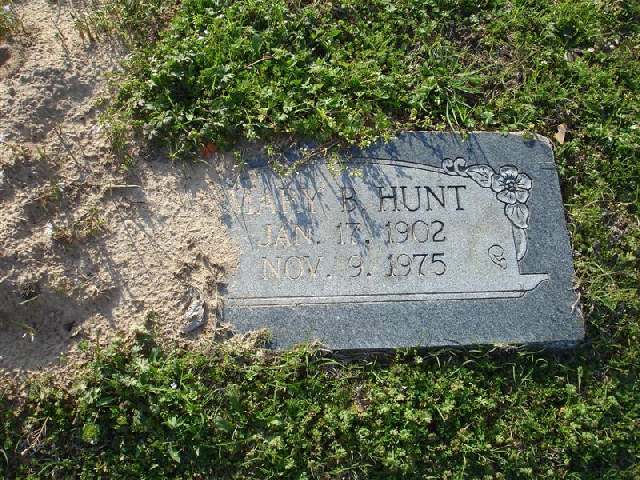 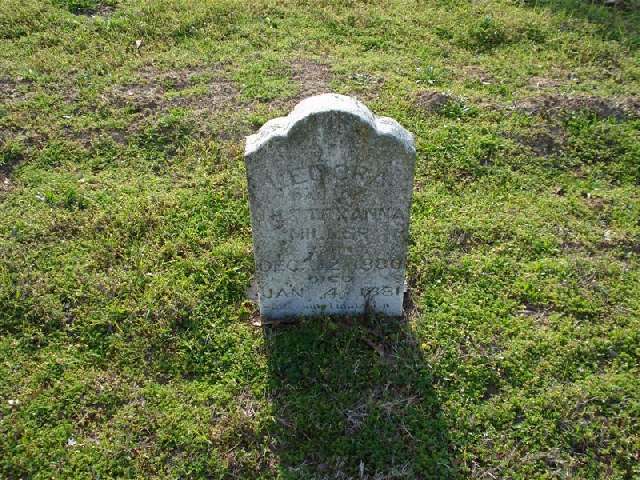 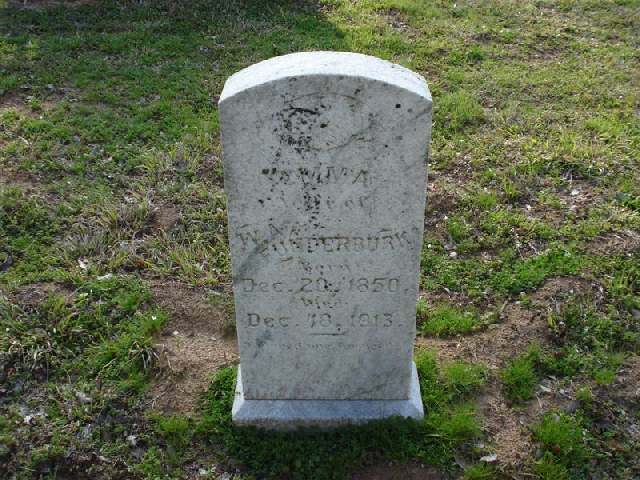 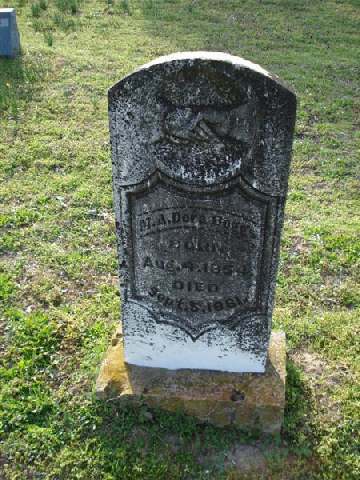 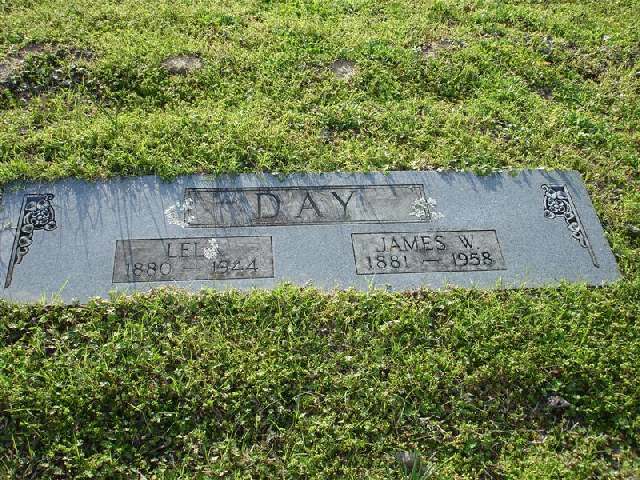 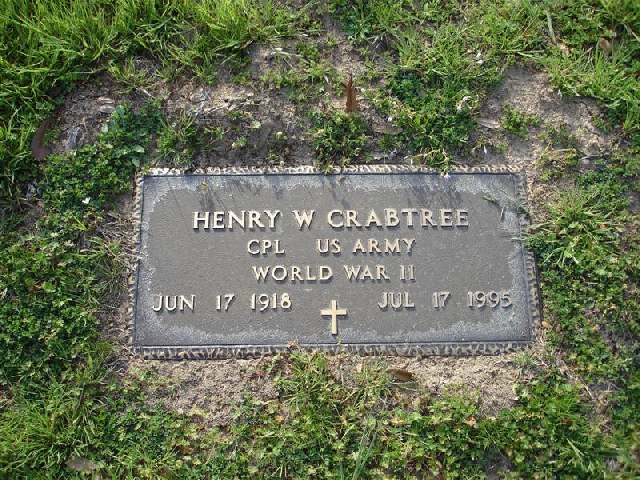 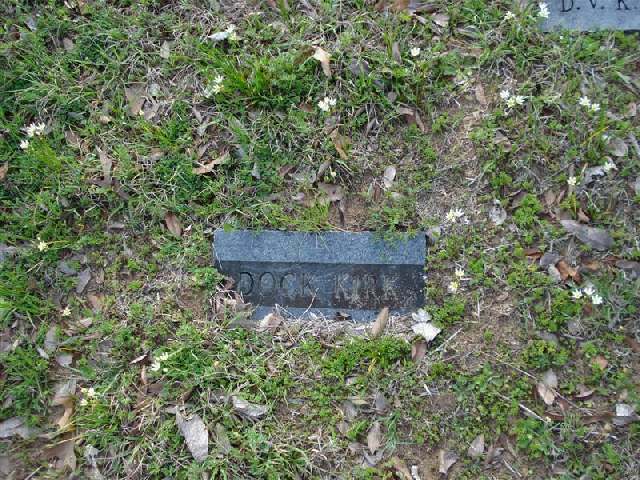 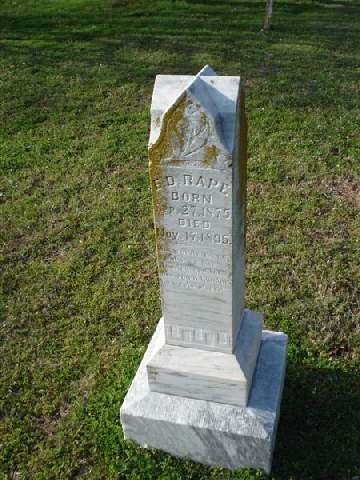 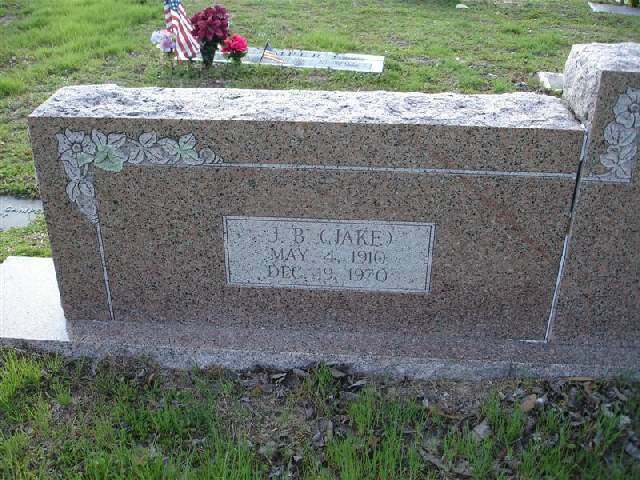 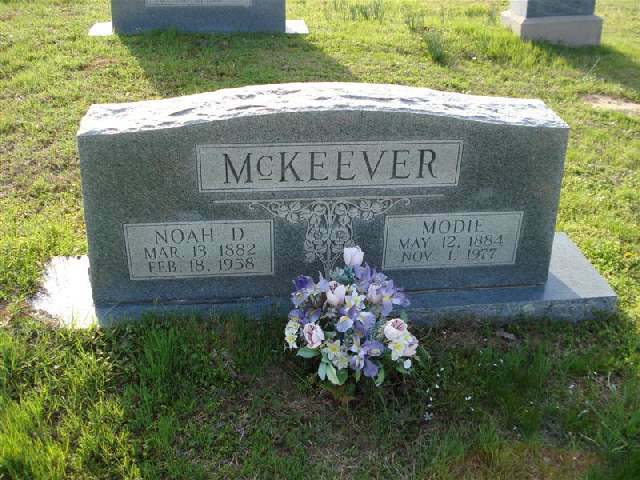 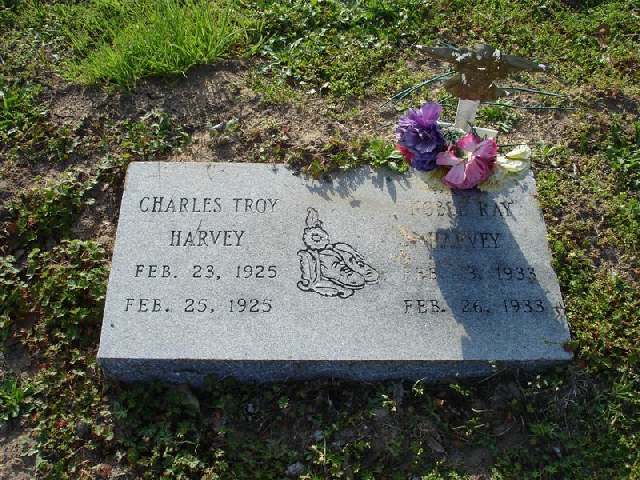 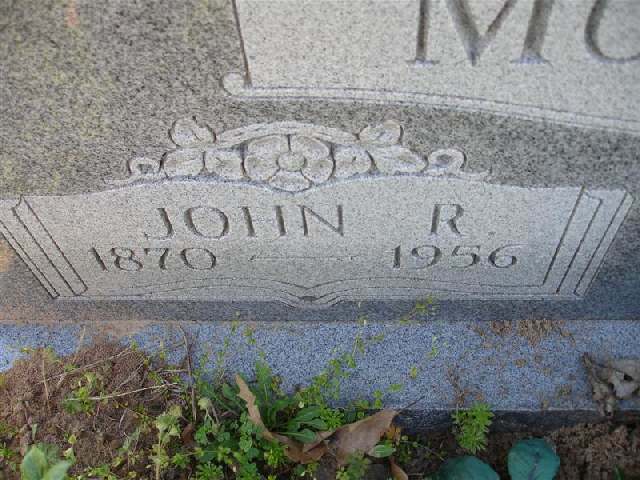 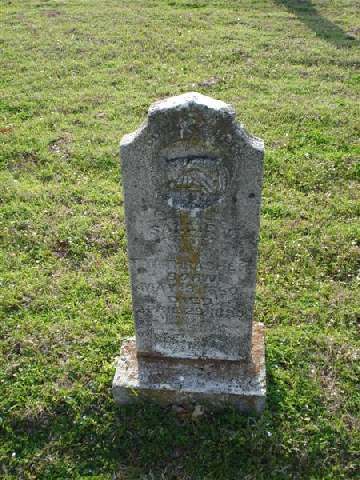 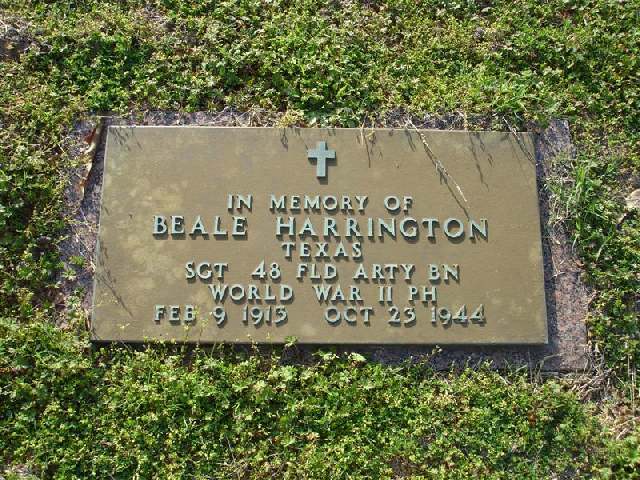 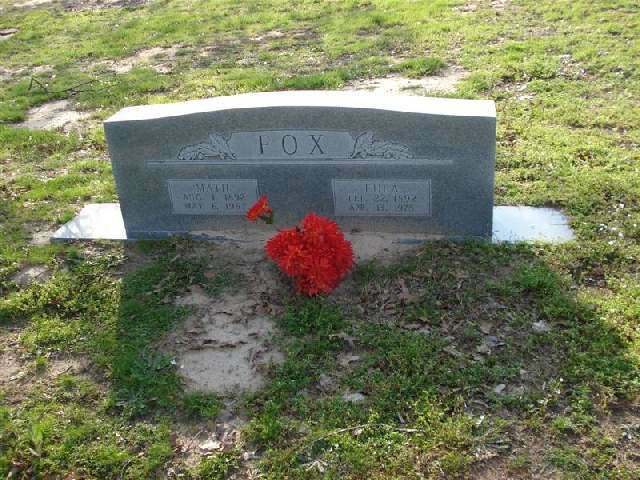 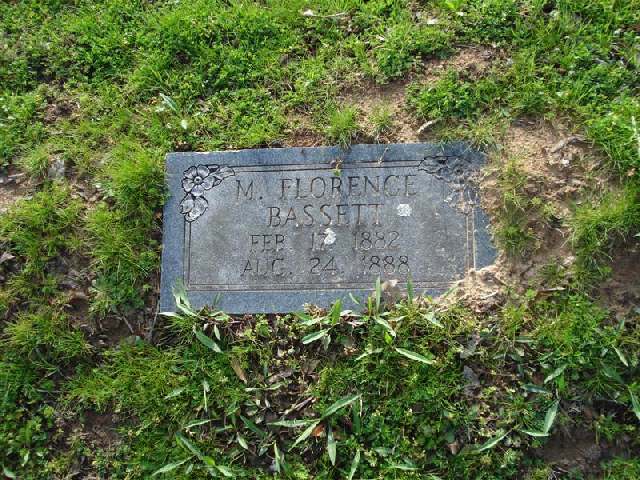 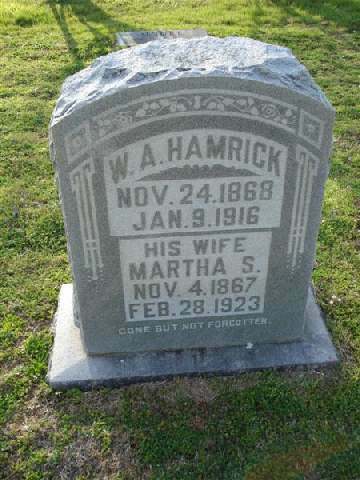 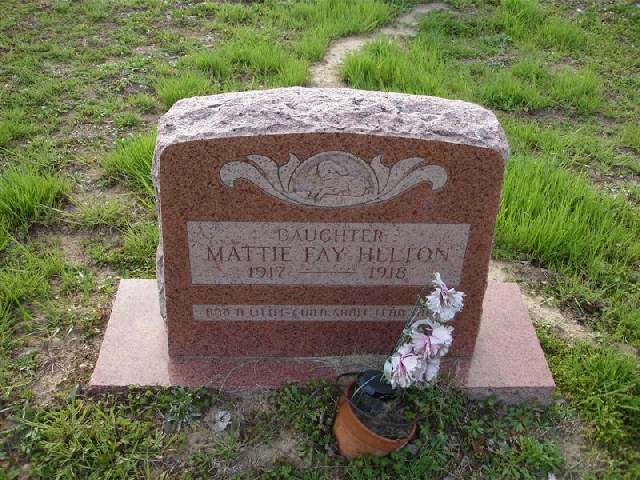 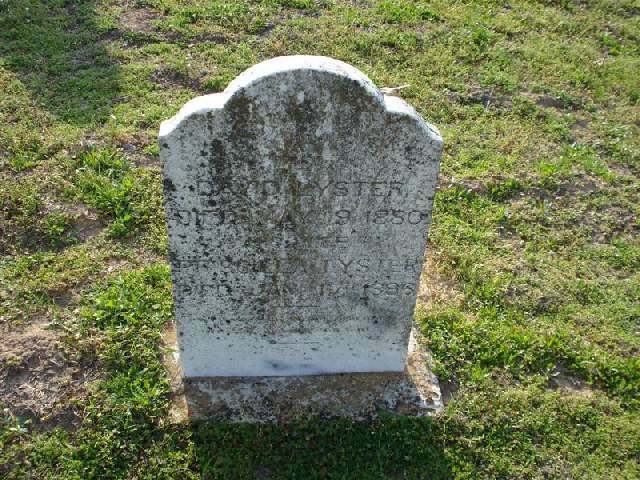 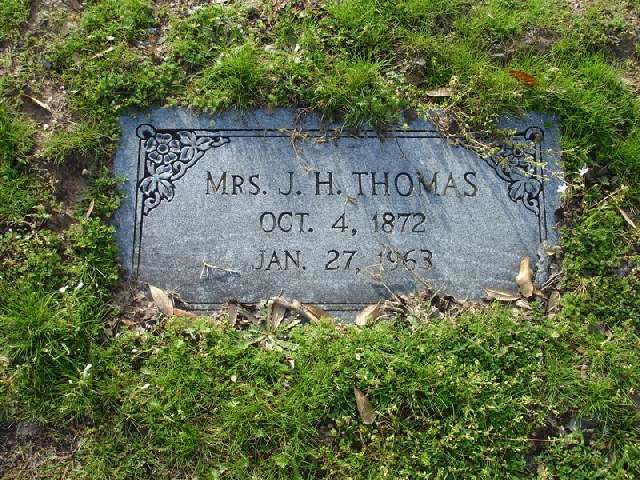 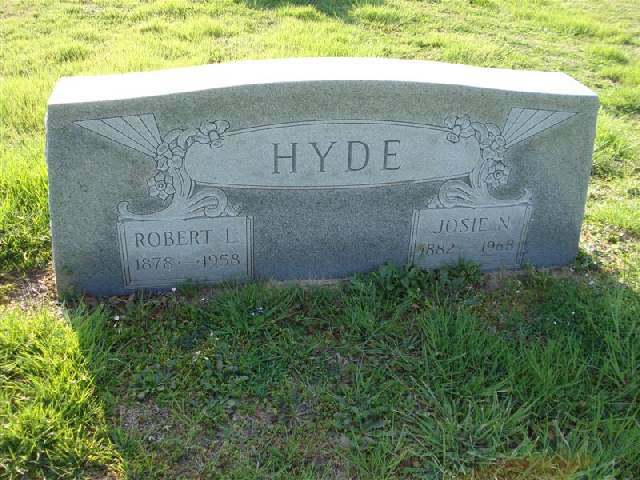 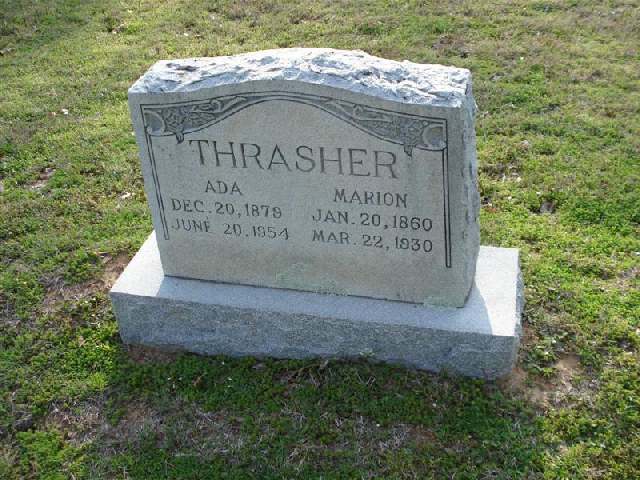 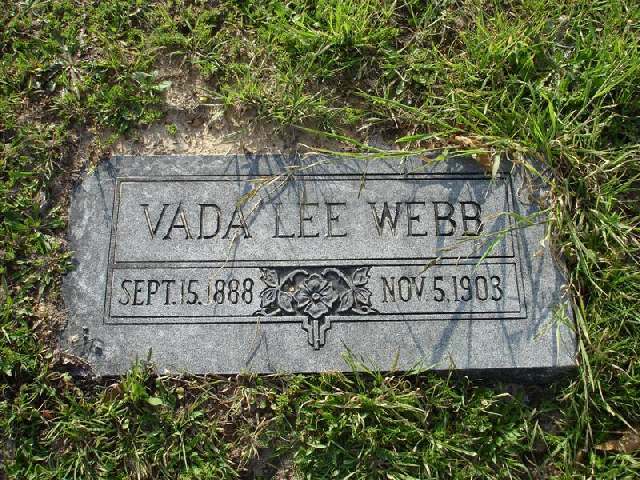 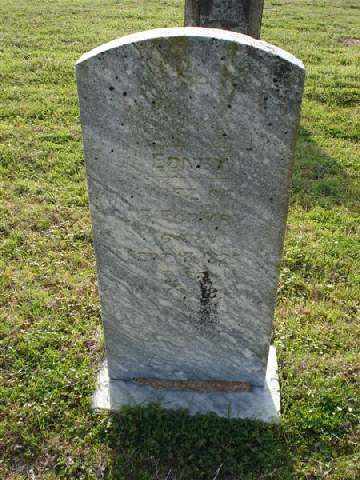 This is the oldest "documented" grave we know of in the cemetery. 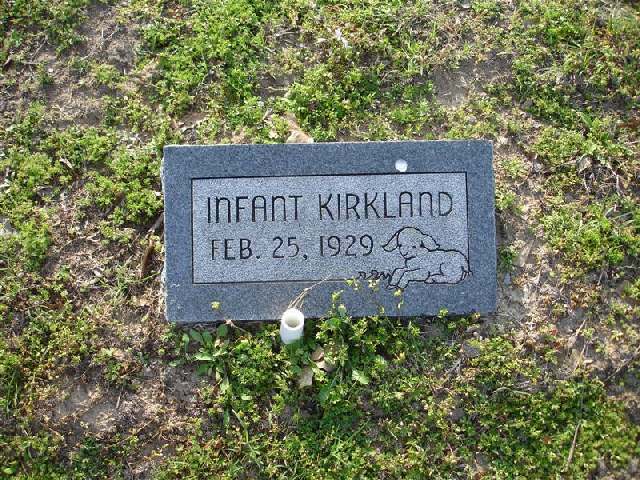 We have information of others being older but no public records have been located to serve as proof.